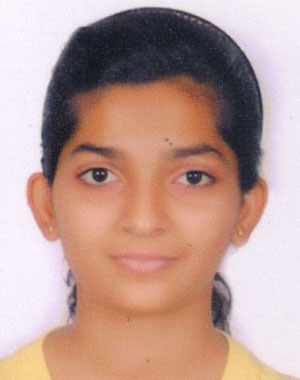 Sakshi Parikh Navkar School D.U. 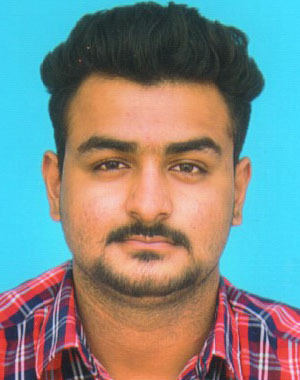 Brijesh Patel Narayan Guru L.J. 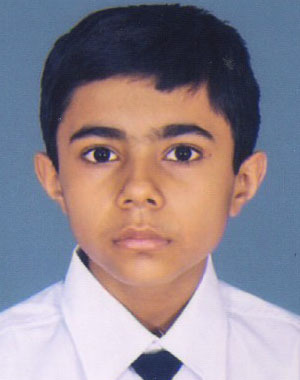 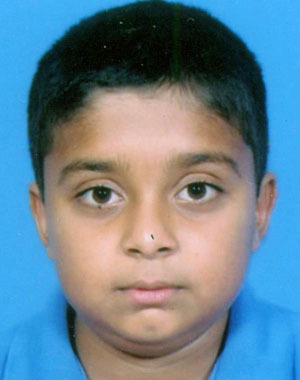 Muhhmad Naki Mansuri Tulip Intl School L.J. 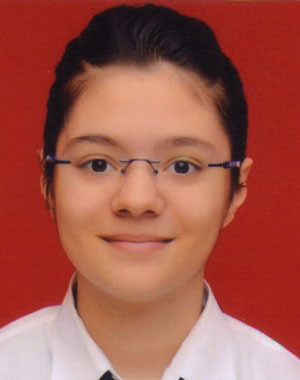 Yansi Salot Asia English School L.J. 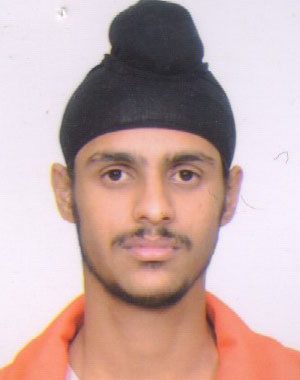 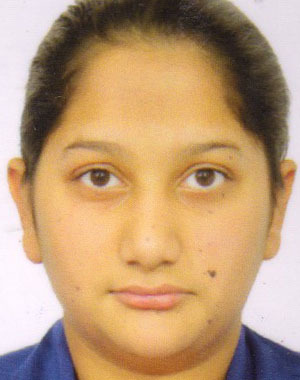 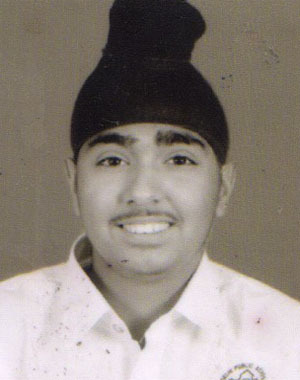 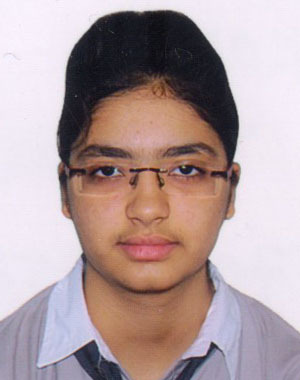 Gursimrankaur Oberoi Shanti Asiatic school L.J. 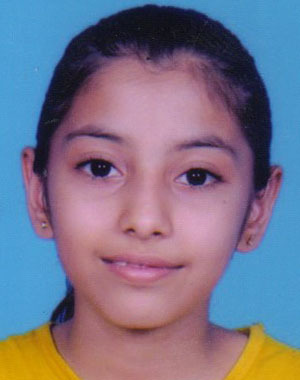 Harshit Trivedi A-One School L.J. 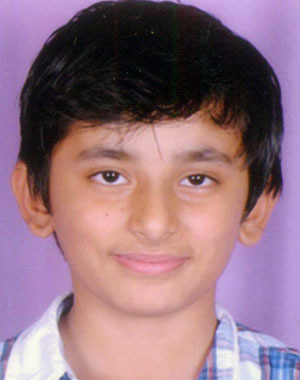 Siddhant Mehta Tulip Intl School G.U. 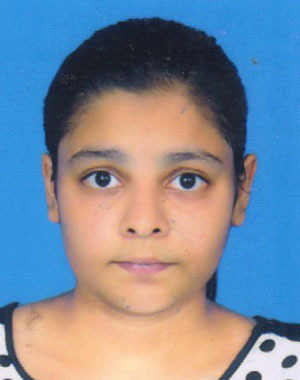 Fiza Bangali Little Flower G.U. 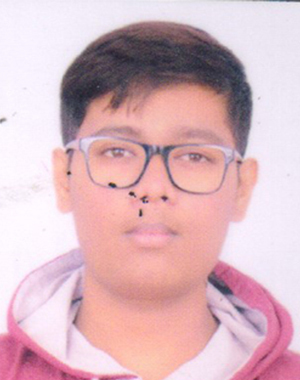 Etee Mehta St. Kabir School A.U. 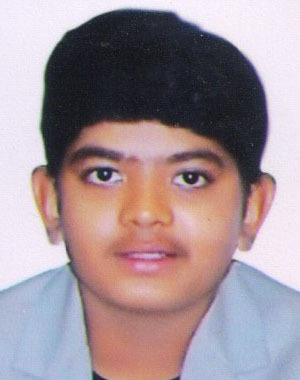 Vishwa Patel Nirma School A.U. 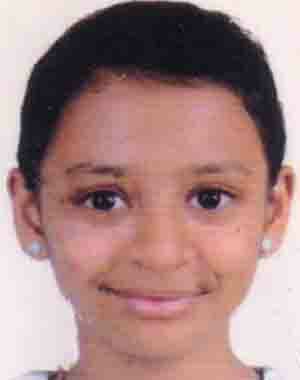 Aayushi Pandya St. Kabir School A.U. 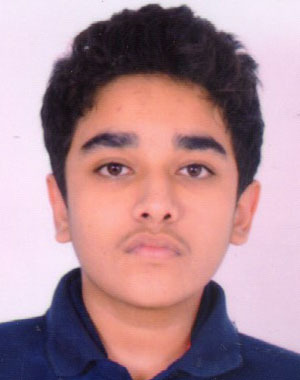 Abhijeet Parmar Mirambica School A.U. 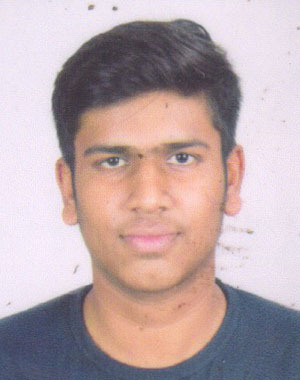 Akshat Sharma Anand Niketan School A.U. 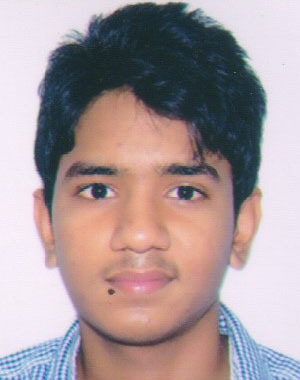 Anuj Shah Udgam School A.U. 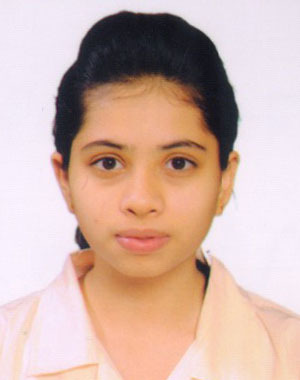 Ayantika Ghosh Rachana School A.U. 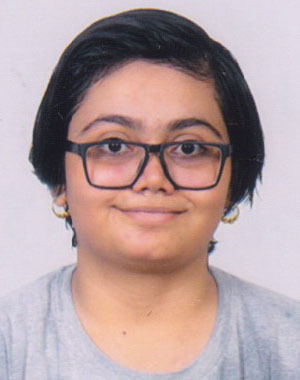 Ayushi Gadoya K G Dholakiya A.U. 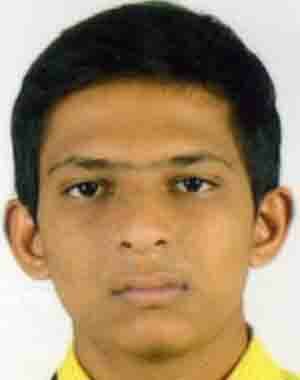 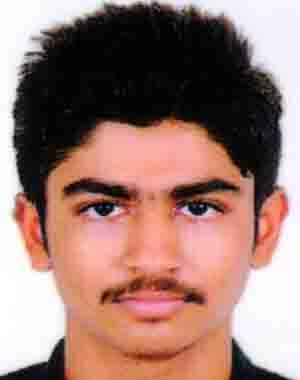 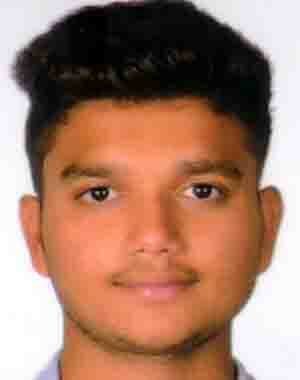 Devansh Patel Silveroak College A.U. 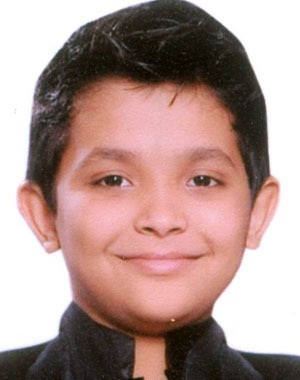 Dhairya Jain St. Kabir School A.U. 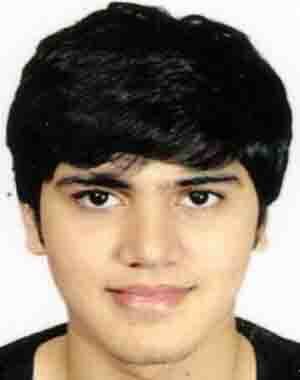 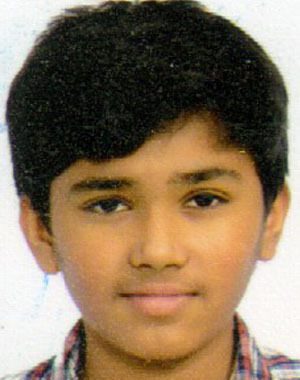 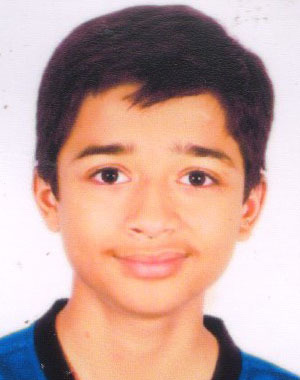 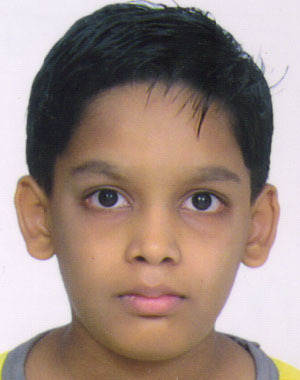 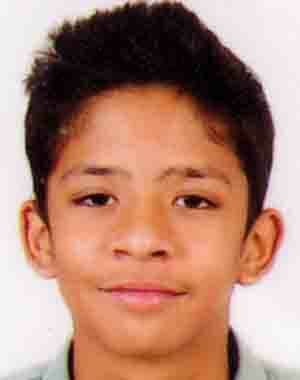 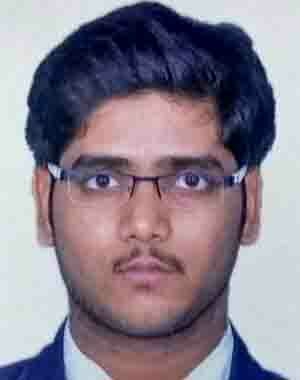 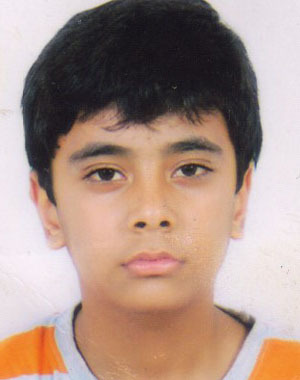 Dhruv Agarwal Ahmedabad Intl School A.U. 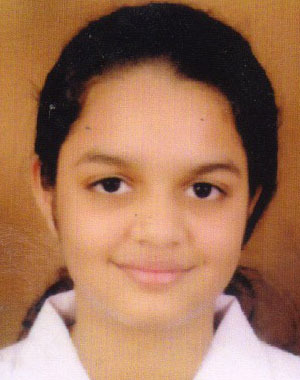 Drashti Jariwala St. Xavier's School A.U. 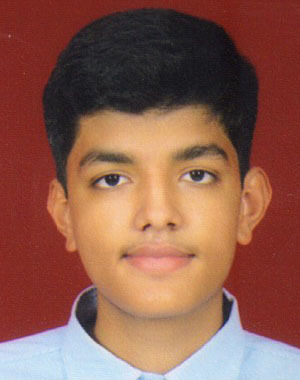 Foram Gandhi N. R. School A.U. 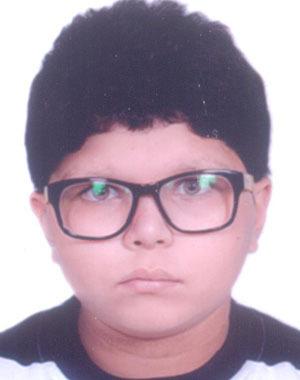 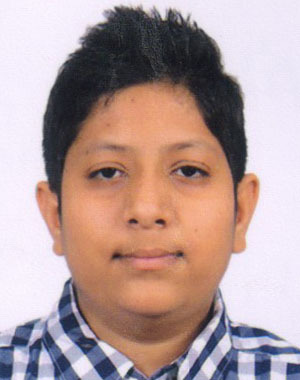 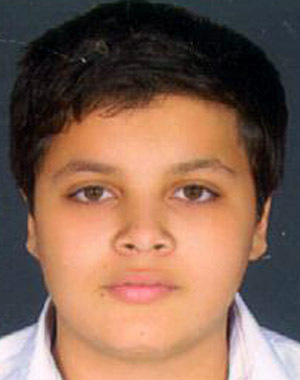 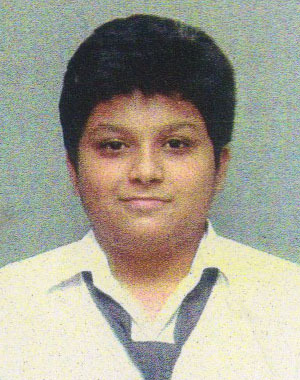 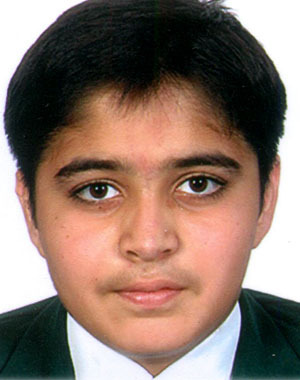 Furqaan Nadim Ahmed Jafri St. Xavier's School A.U. 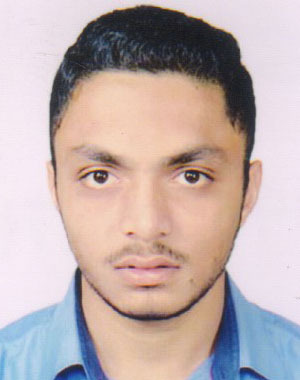 Harshank Shah Asia English School A.U. 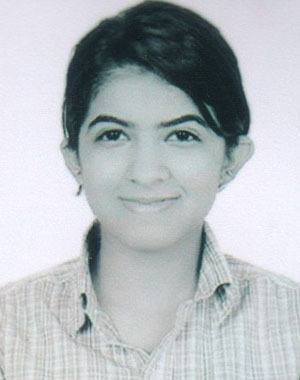 Heli Shah Zydus School A.U. 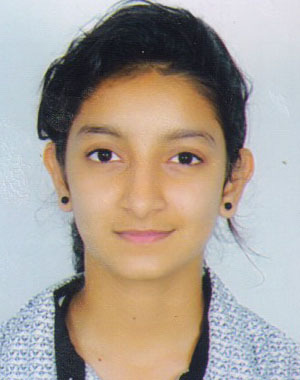 Isha Joshi Udgam School A.U. 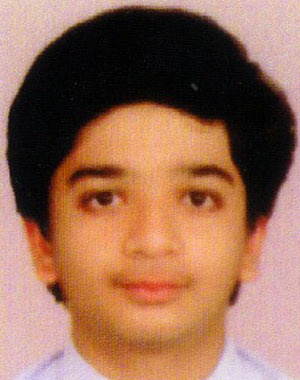 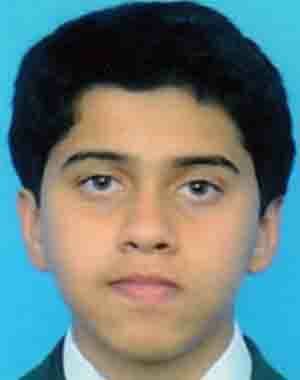 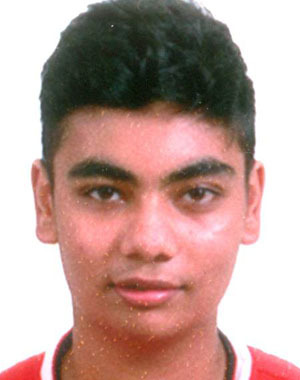 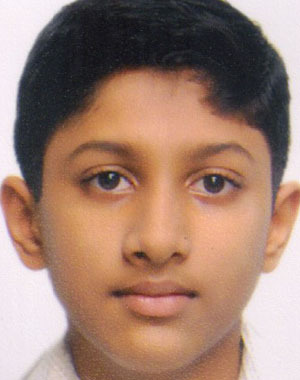 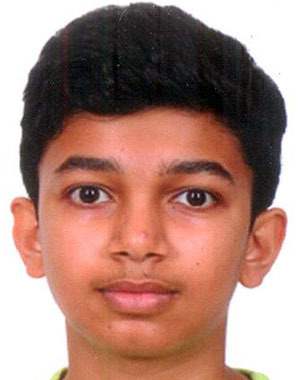 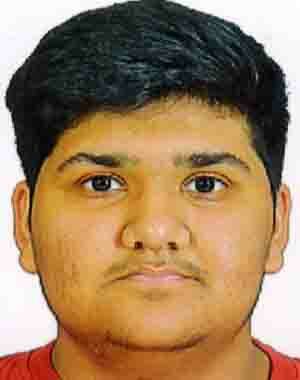 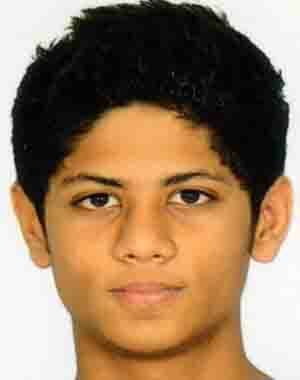 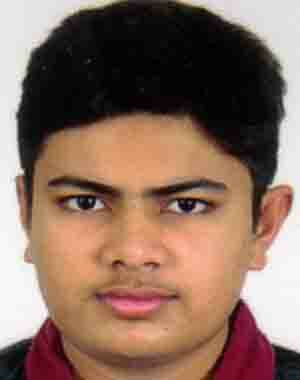 Ishan Davda St. Paul's School A.U. 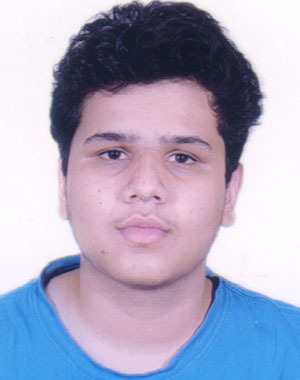 Jui Mehta Nirman School A.U. 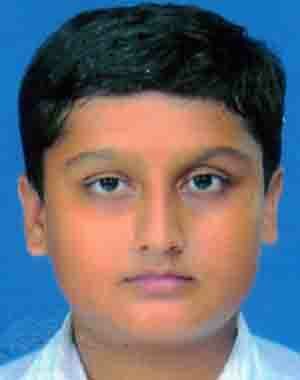 Kavish Shah St. Kabir School A.U. 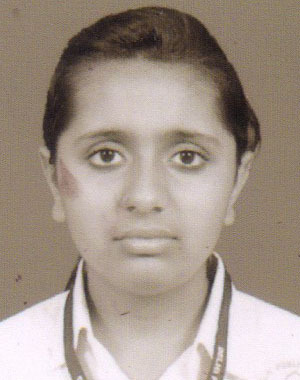 Kenisha Trivedi Anand Niketan School A.U. 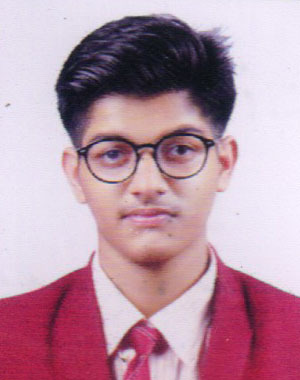 Khushi Kushwaha Udgam School A.U. 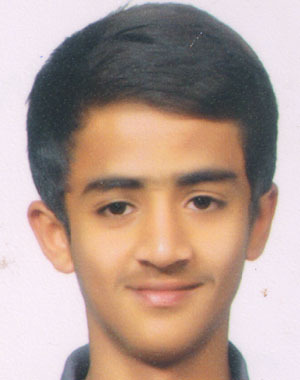 Labdhi Shah V. R. Shah School A.U. 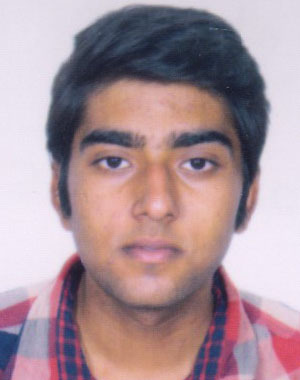 Maharshi Patel H. B. Kapadia A.U. 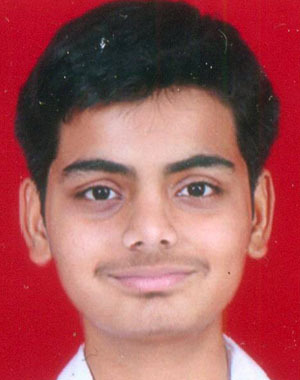 Manav Shah Eklavya School A.U. 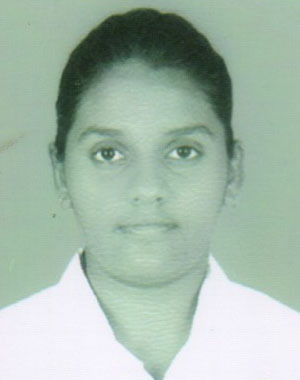 Megha Shah Navkar School A.U. 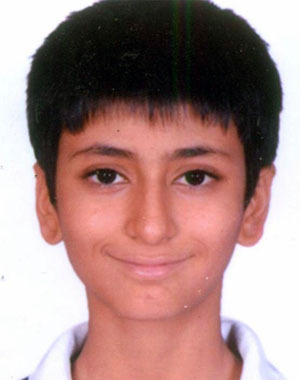 Mudrakshi Parekh Ahmedabad Intl School A.U. 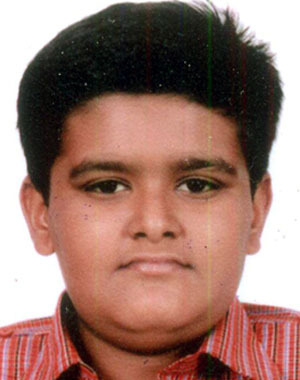 Nand Patel Satva Vikas School A.U. 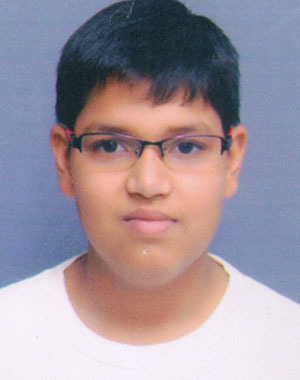 Nihal Shah Ahmedabad Intl School A.U. 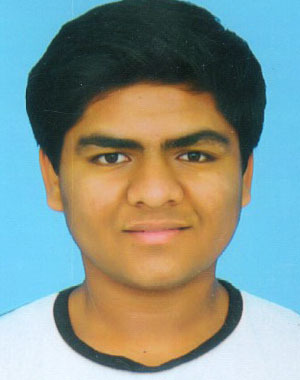 Nirmal Patel Indus University A.U. 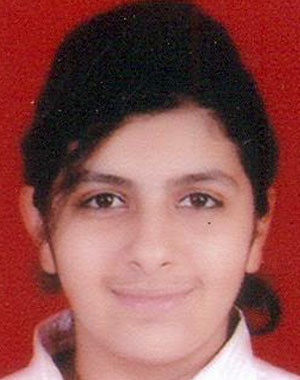 Nishi Gulabani Anand Niketan School A.U. 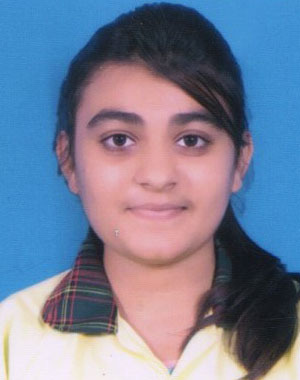 Nupur Jhaveri Navkar School A.U. 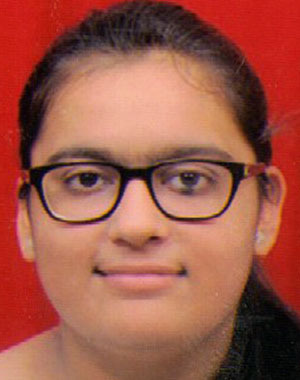 Pankti Trivedi Navkar School A.U. 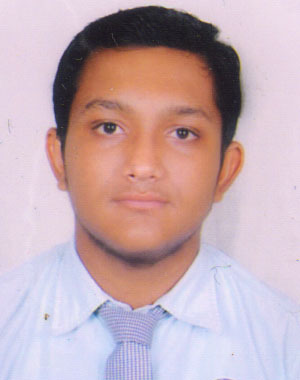 Paras Javeri M. K. High School A.U. 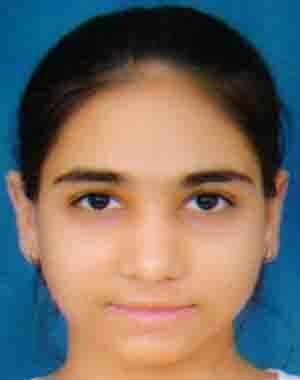 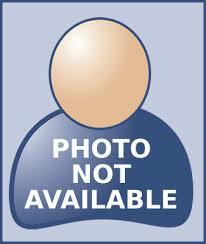 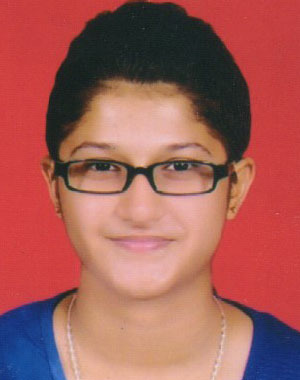 Pooja Shah M. K. High School A.U. 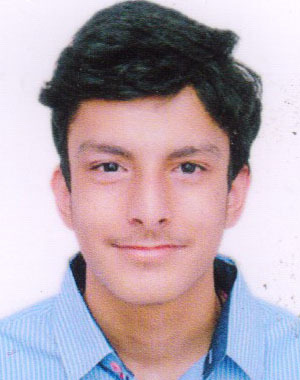 Priyank Chokshi Nirman School A.U. 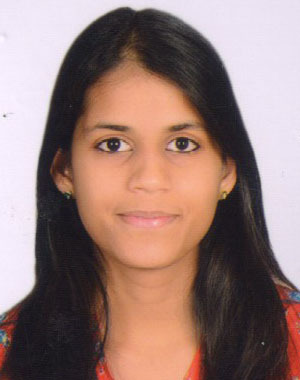 Pushti Gandhi Sardar Patel A.U. 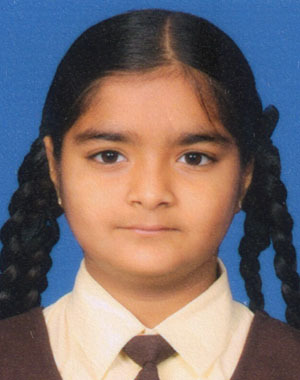 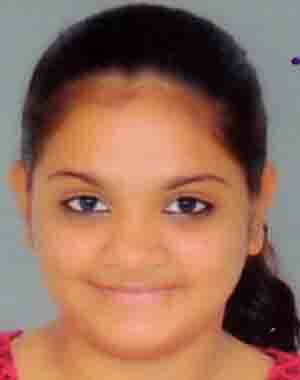 Ritika Laddha St. Kabir School A.U. 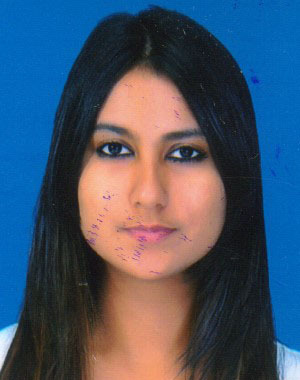 Ritu Mishra Nirman School A.U. 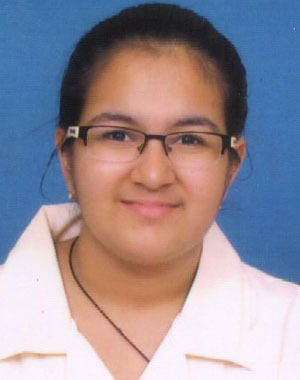 Riya Nanavati Ahmedabad Intl School A.U. 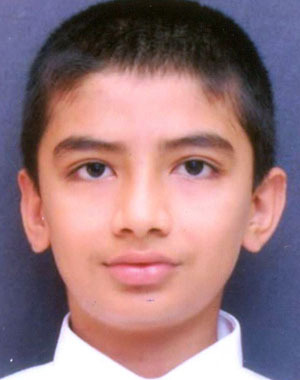 Rohan Samdani St. Kabir School A.U. 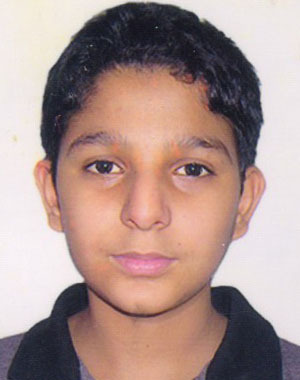 Rushabh Shah Divine Child A.U. 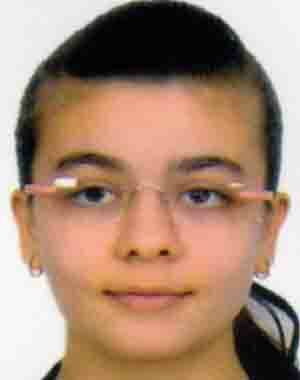 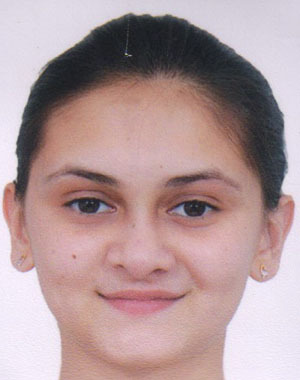 Rutva Seth A-One School A.U. 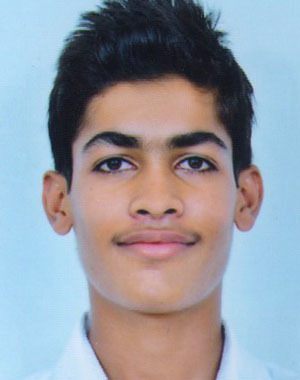 Rutvi Shah Navkar School A.U. 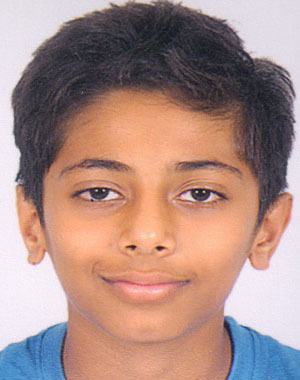 Rutvik Bhavsar Tripada Intl School A.U. 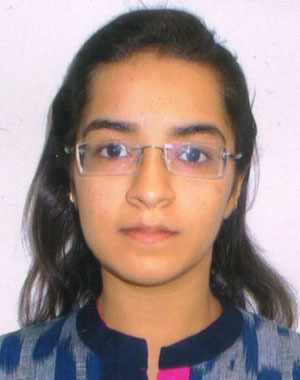 Sakshi Thadani Mt. 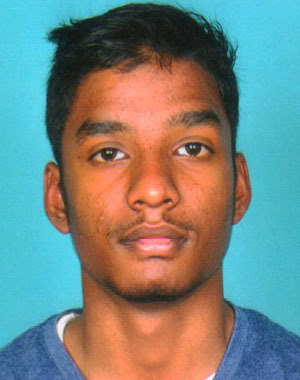 Carmel School A.U. 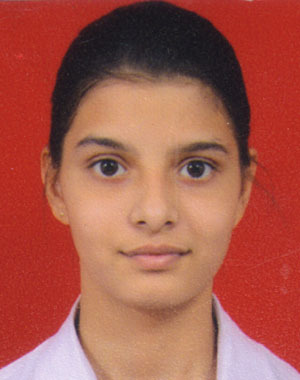 Sanyukta Nandedkar Florescent School A.U. 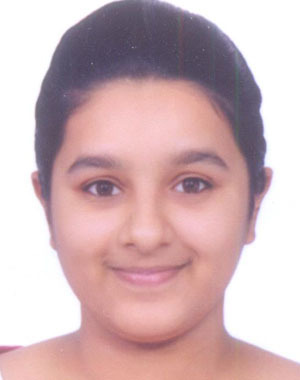 Saumya Kapadia Jain Intl School A.U. 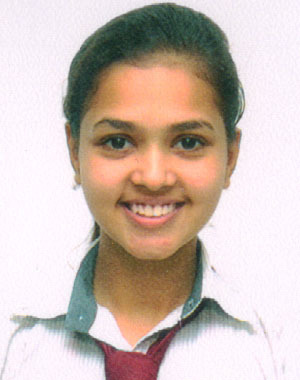 Shanayaa Patel St. Xavier's School A.U. 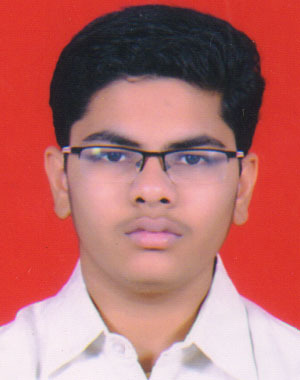 Shenal Jhaveri Udgam School A.U. 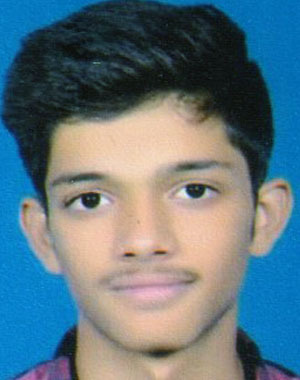 Shrey Gohil M. K. High School A.U. 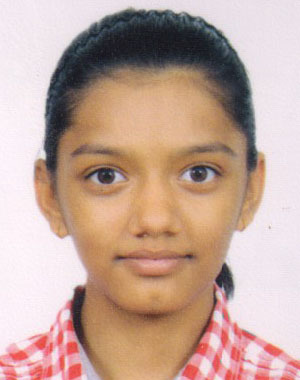 Shriya Agrawal Ahmedabad Intl School A.U. 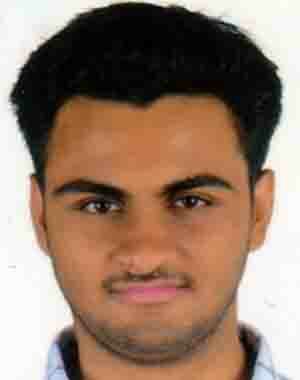 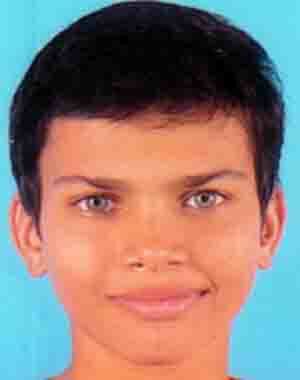 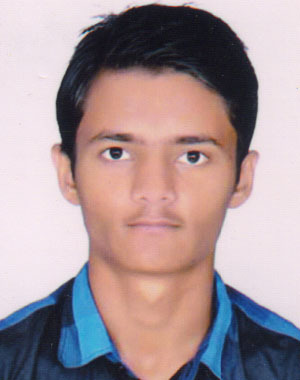 Swapnil Thaker C. N. Vidyalay A.U. 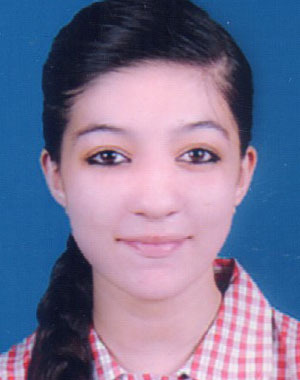 Twisha Patni A-One School A.U. 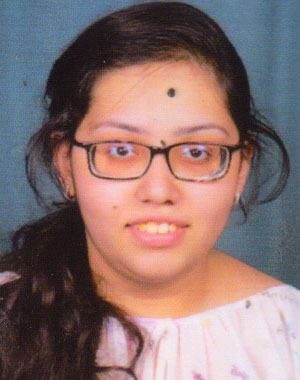 Vanshika Dulani Anand Niketan School A.U. 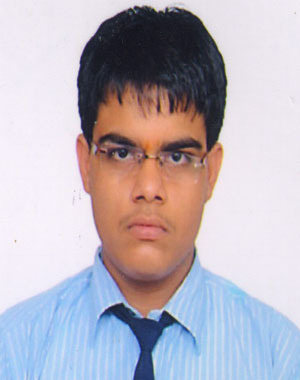 Vrajesh Patel Anand Niketan School A.U. 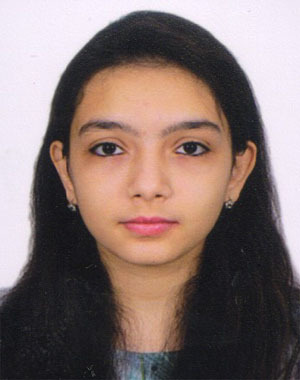 Anoushka Shah St. Xavier's School A.U. 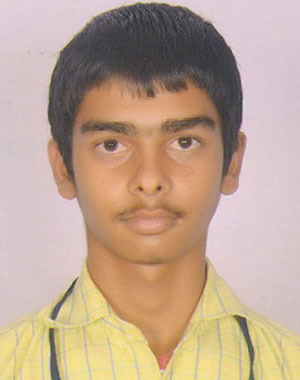 Shantanu Patel Udgam School A.U. 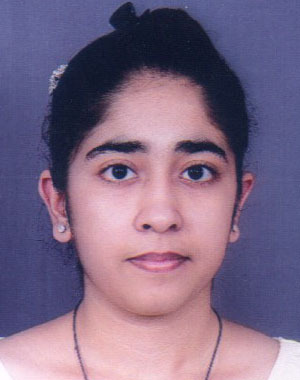 Shikha Vyas St. Mary's School A.U. 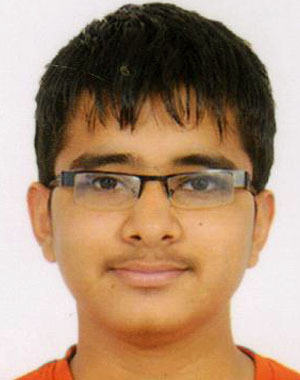 Sidhant Arora Ahmedabad Intl School A.U. 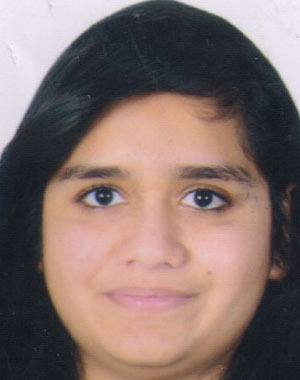 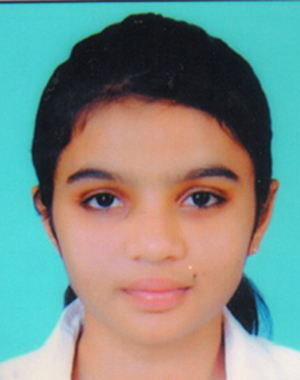 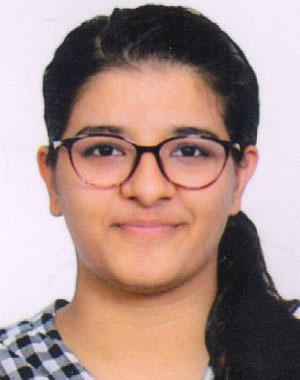 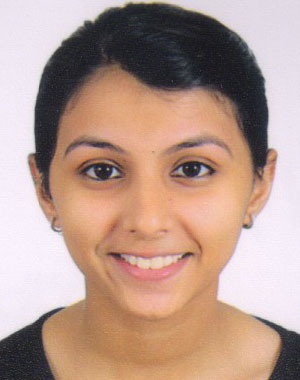 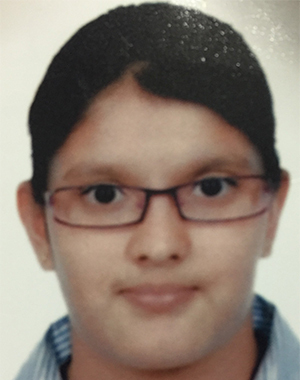 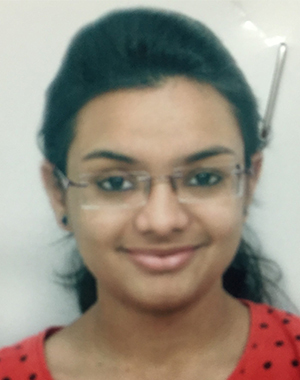 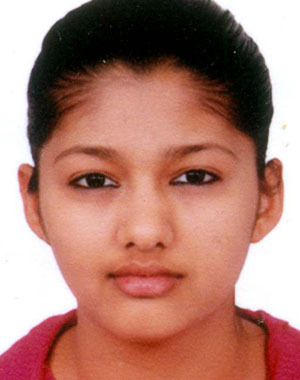 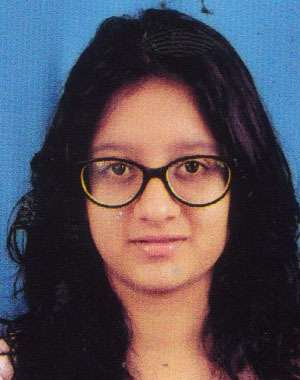 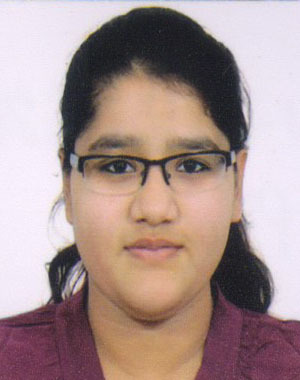 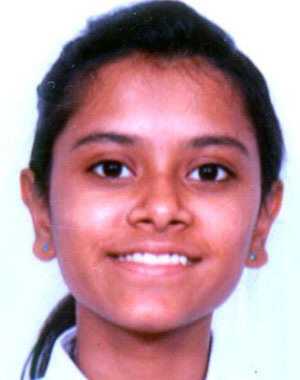 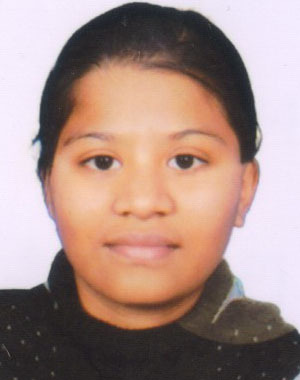 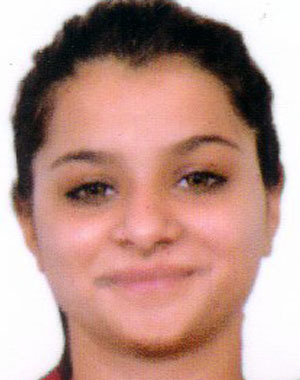 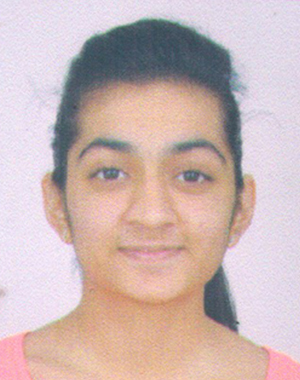 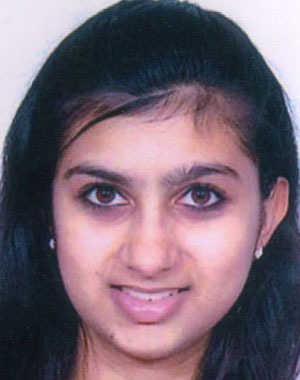 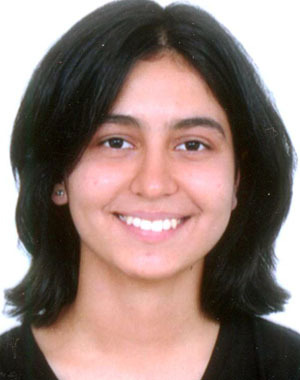 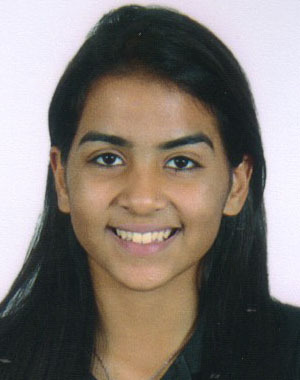 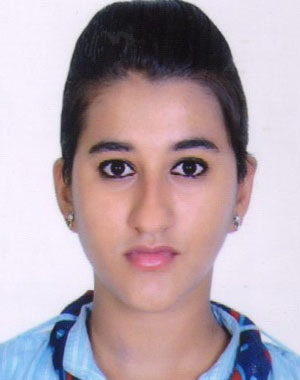 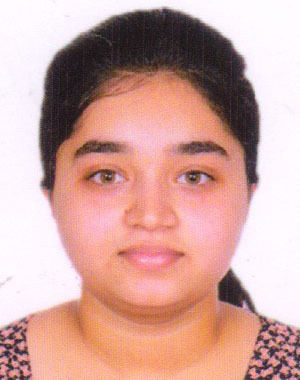 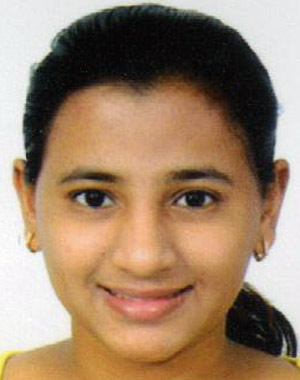 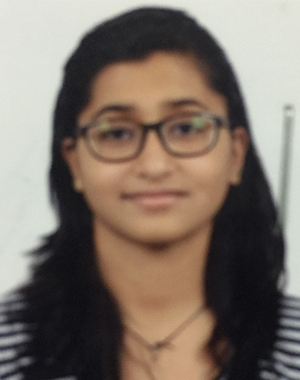 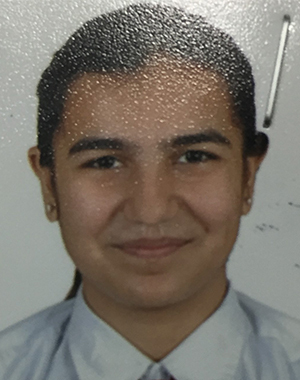 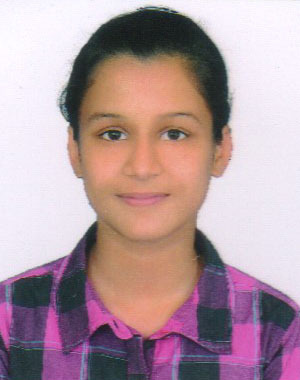 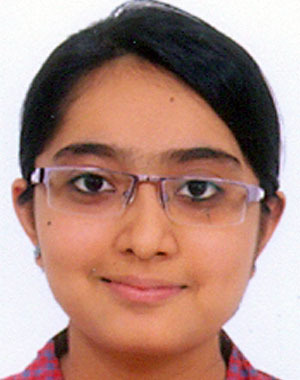 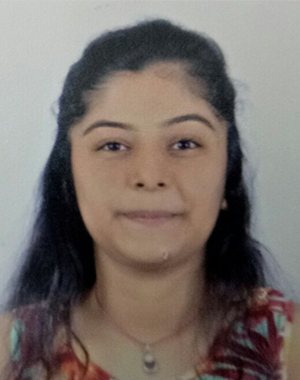 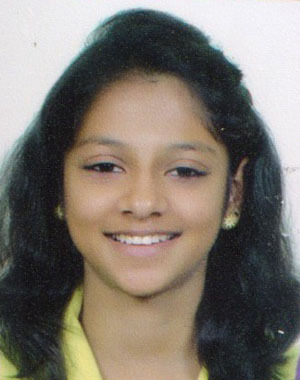 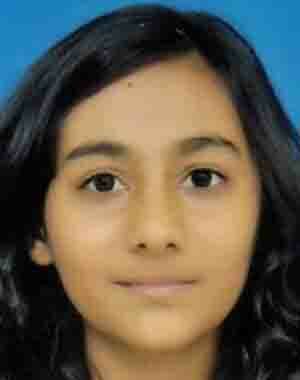 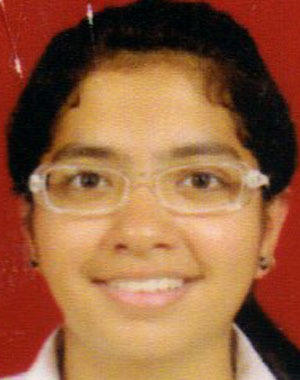 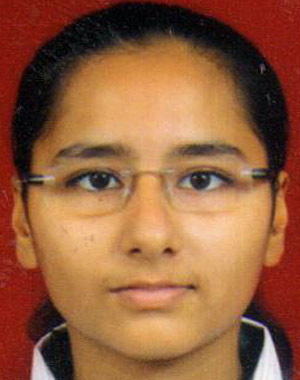 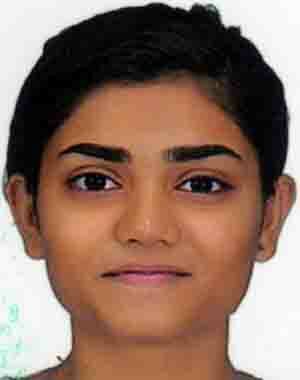 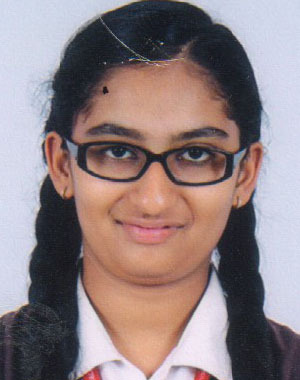 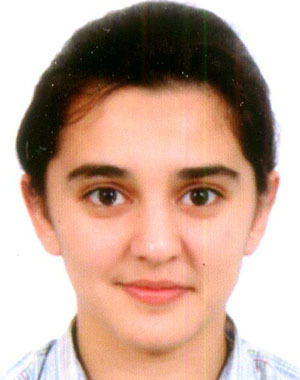 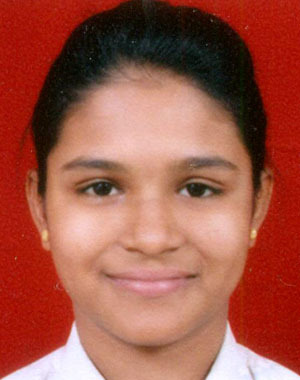 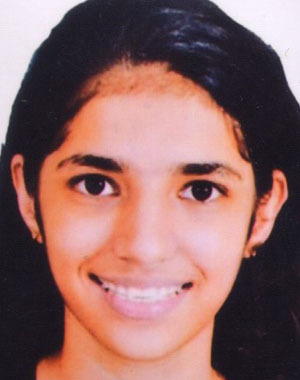 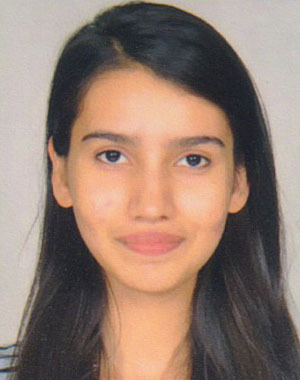 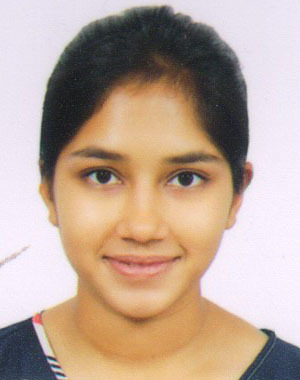 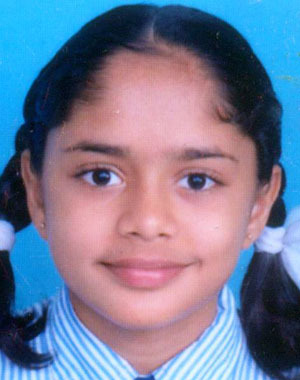 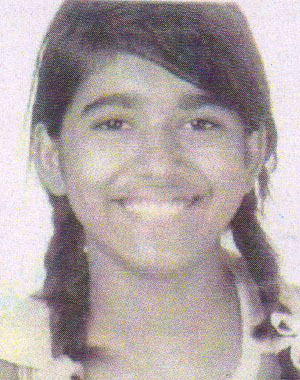 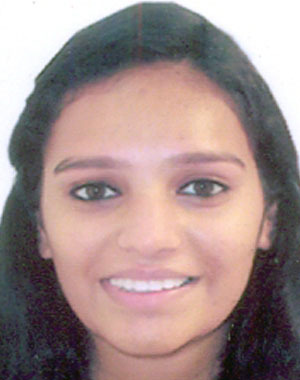 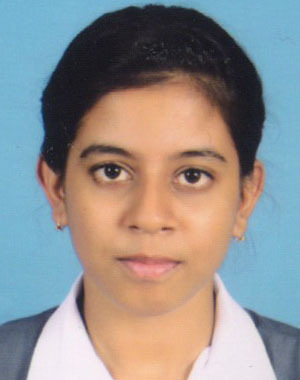 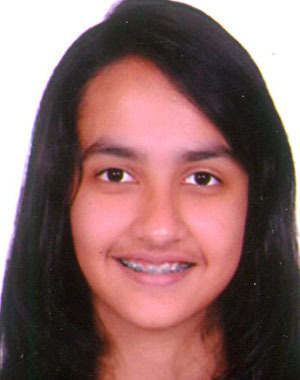 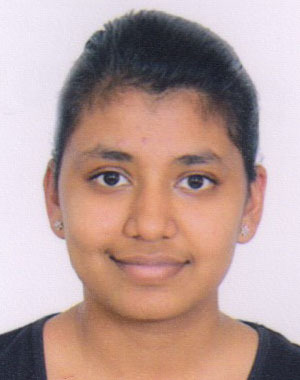 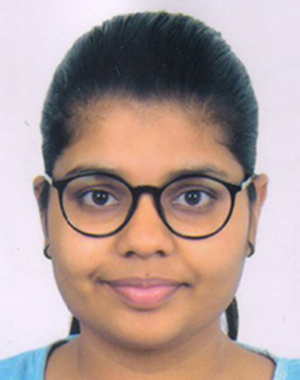 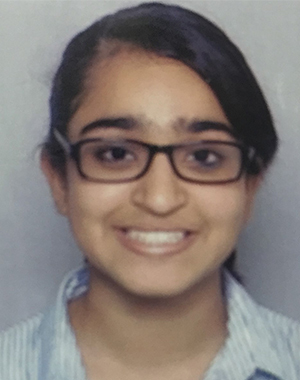 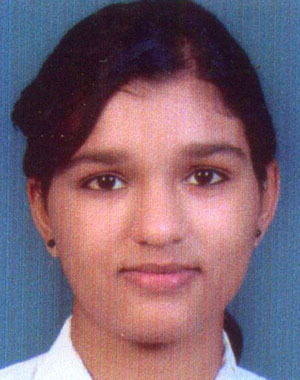 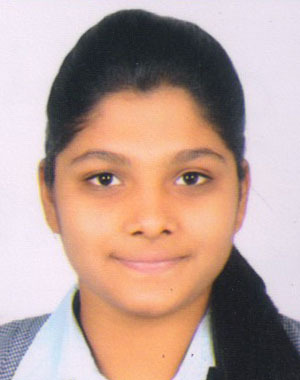 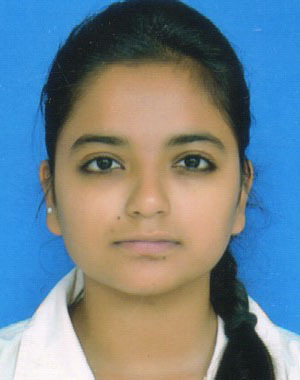 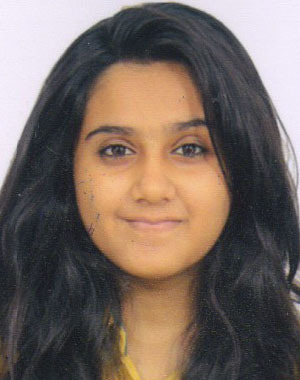 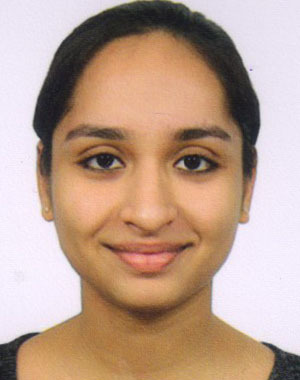 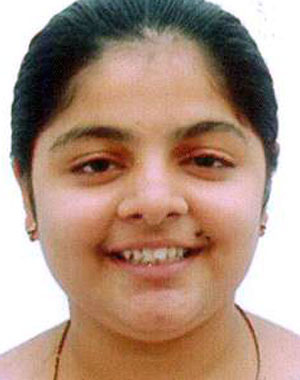 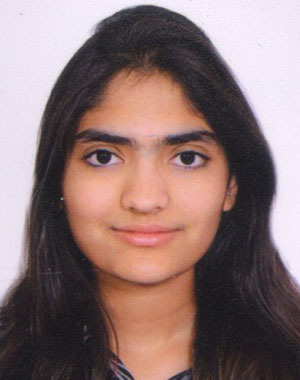 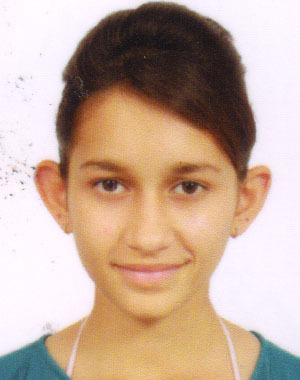 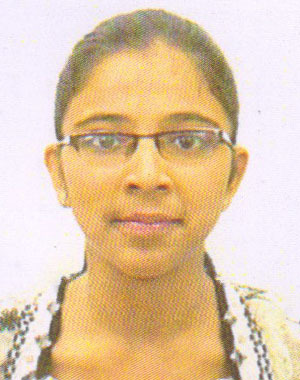 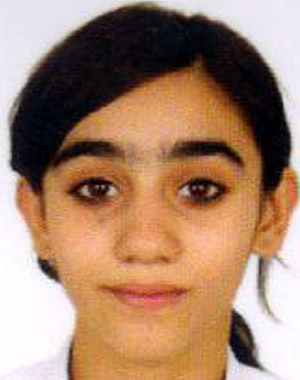 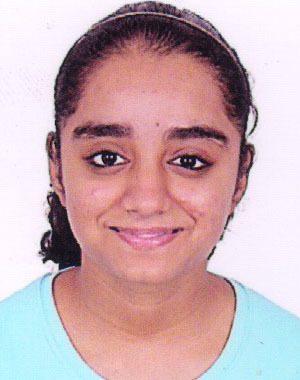 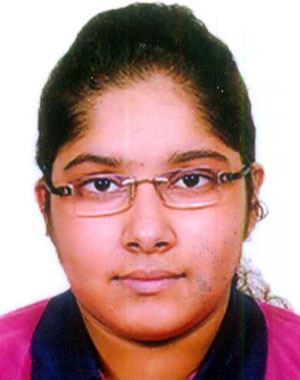 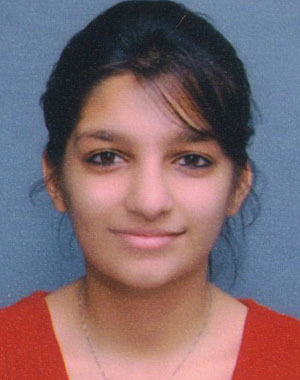 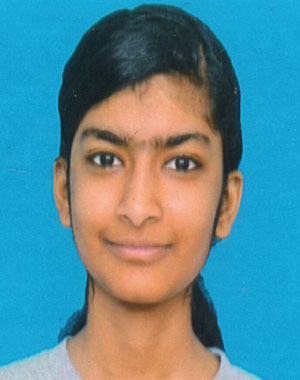 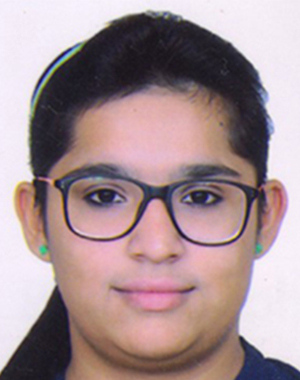 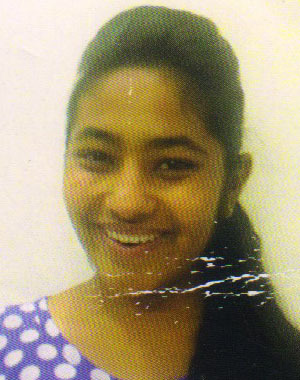 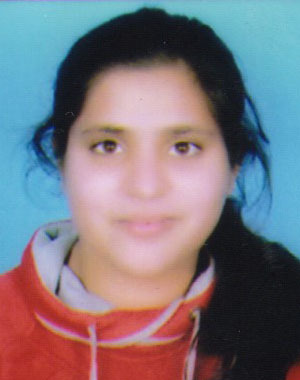 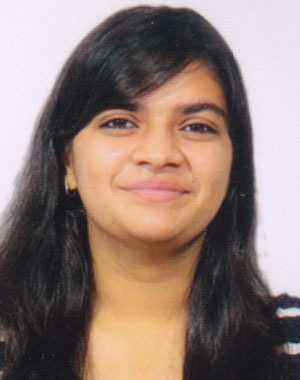 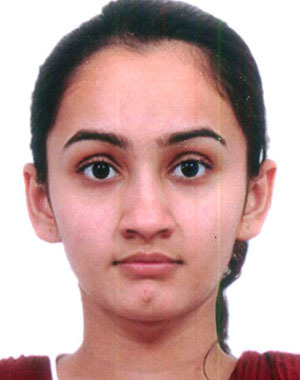 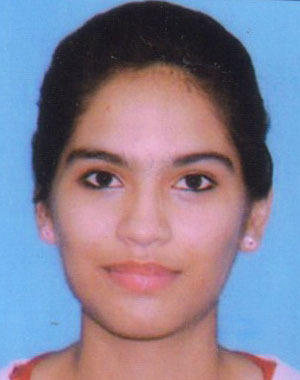 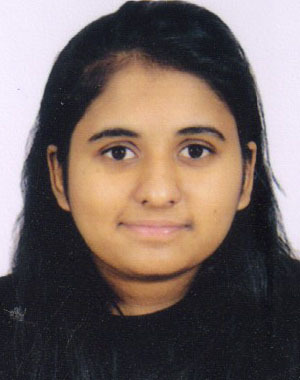 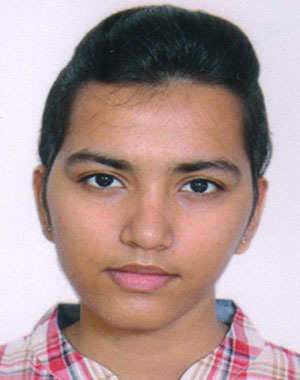 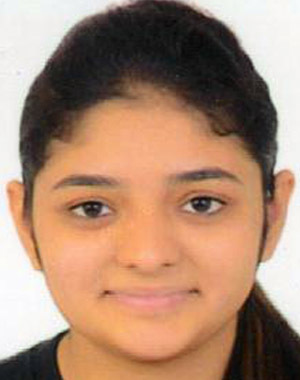 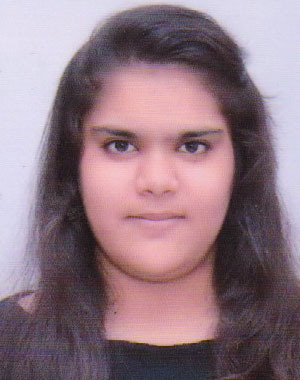 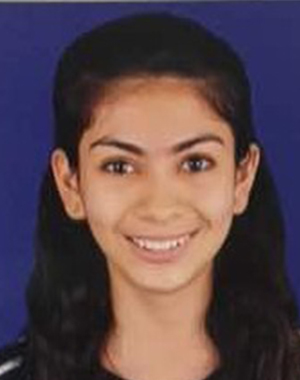 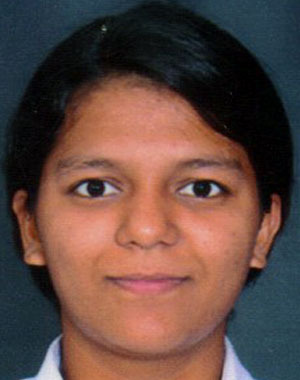 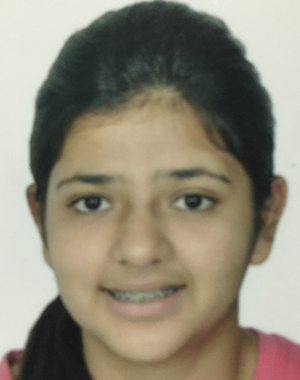 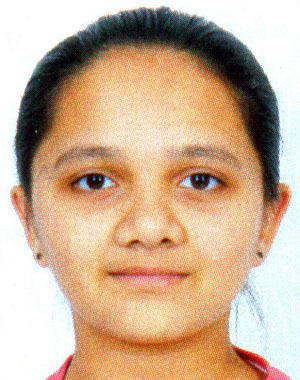 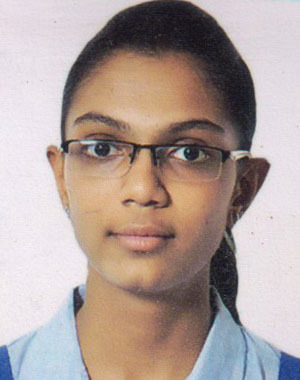 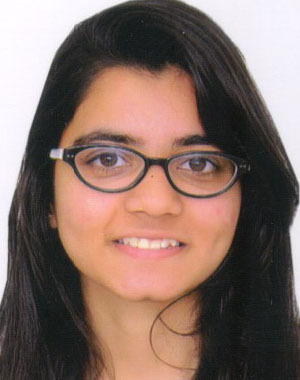 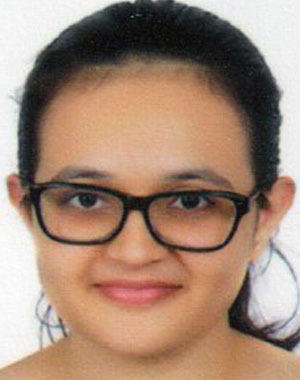 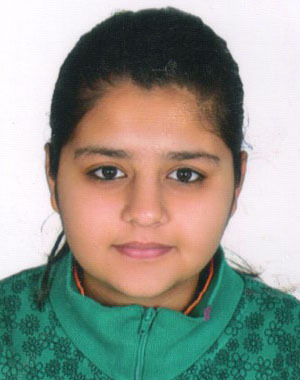 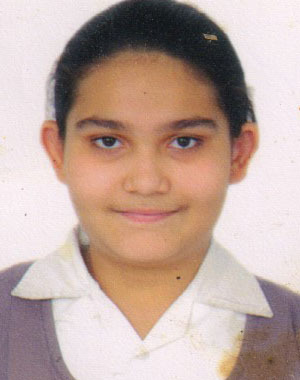 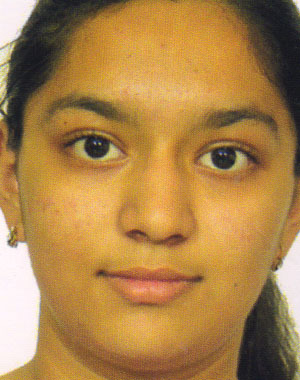 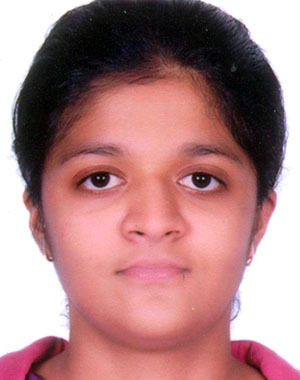 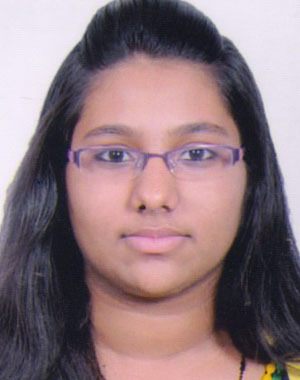 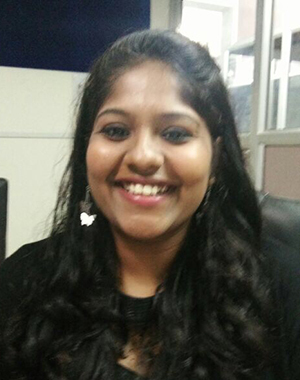 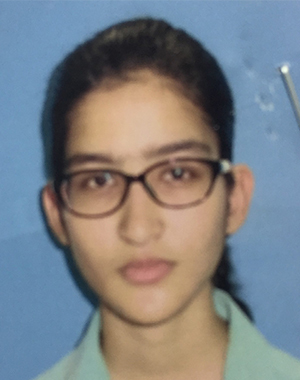 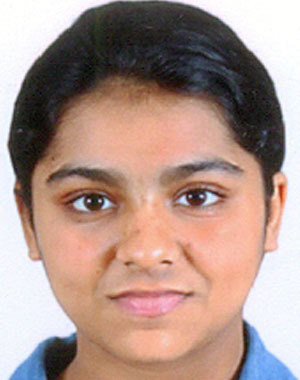 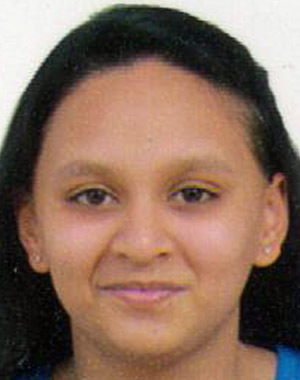 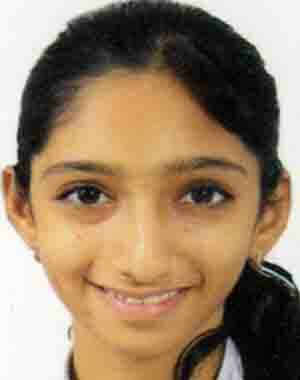 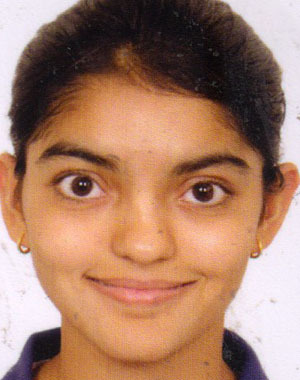 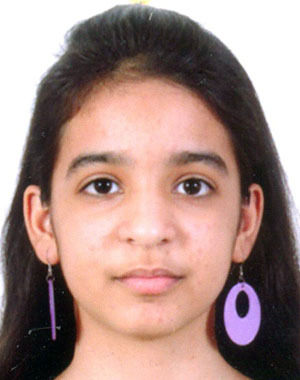 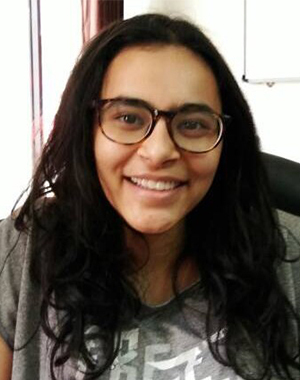 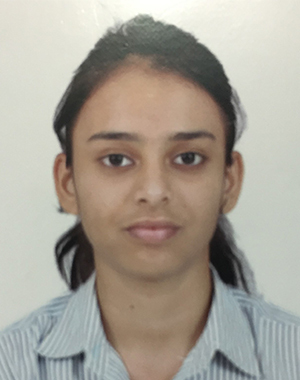 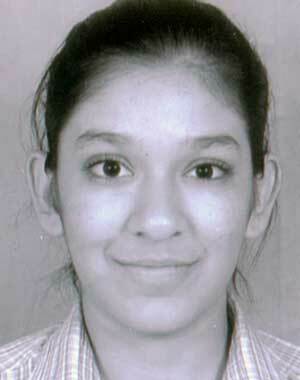 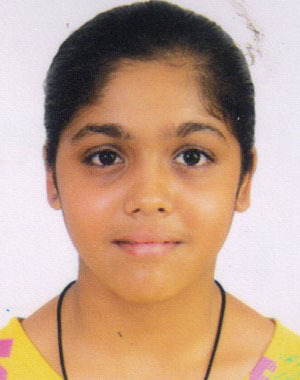 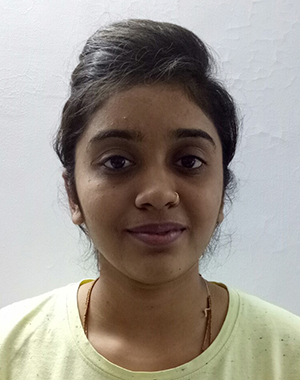 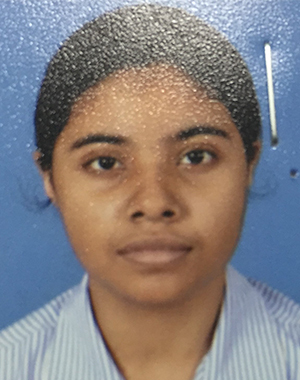 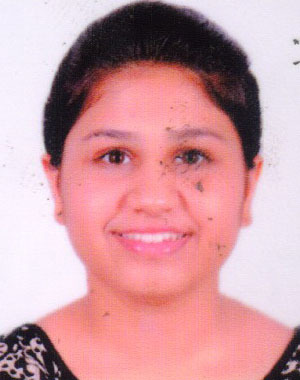 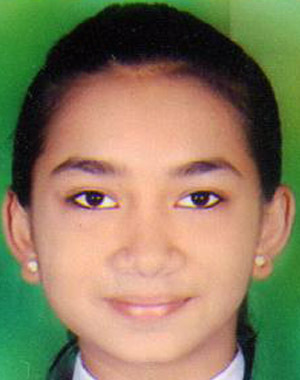 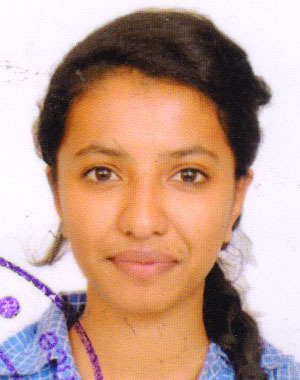 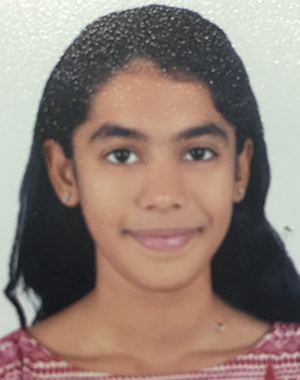 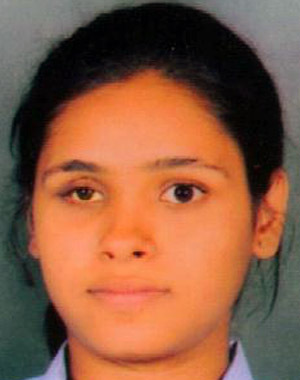 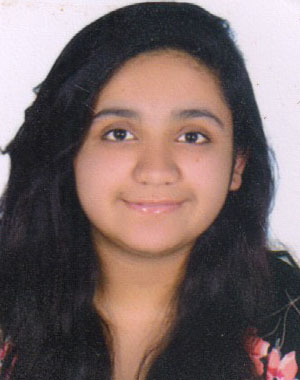 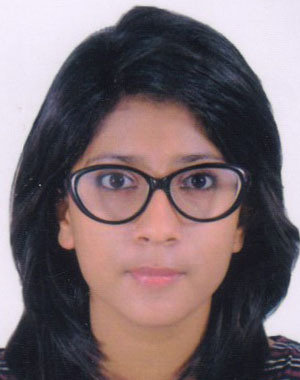 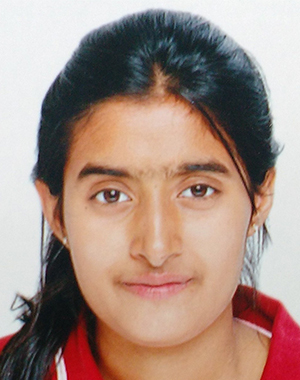 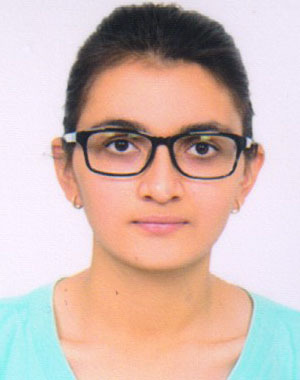 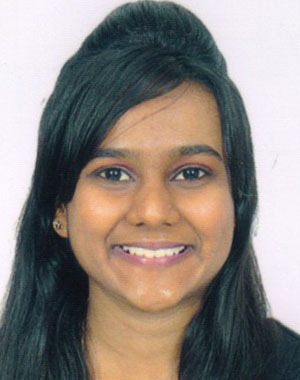 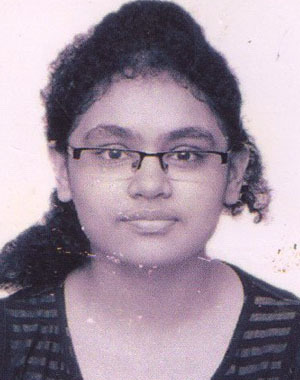 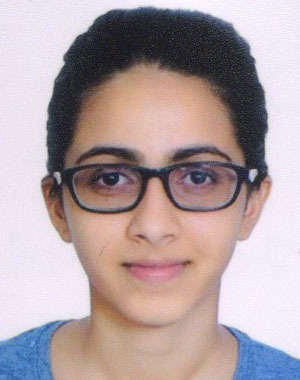 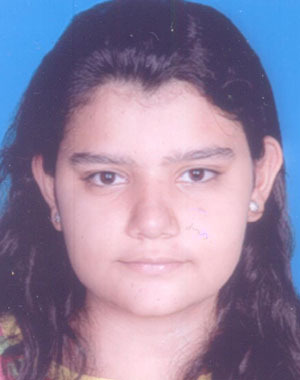 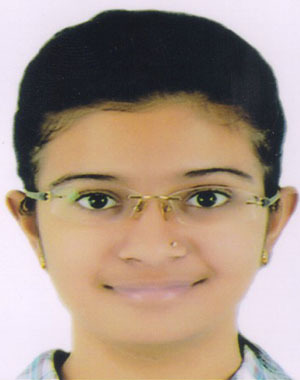 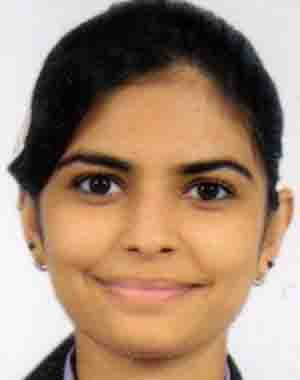 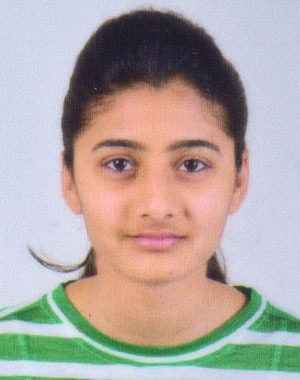 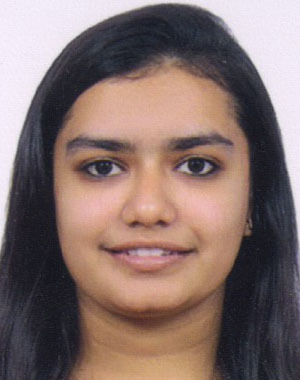 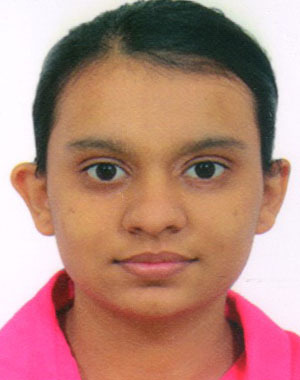 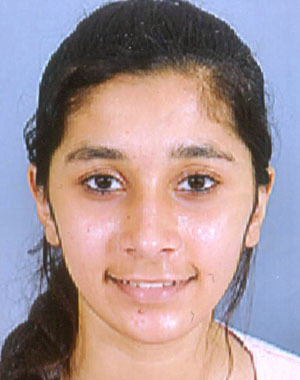 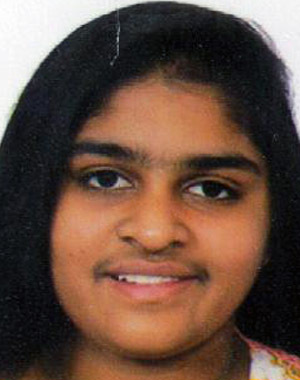 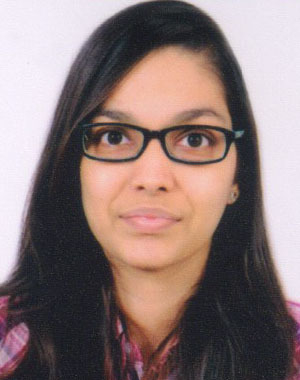 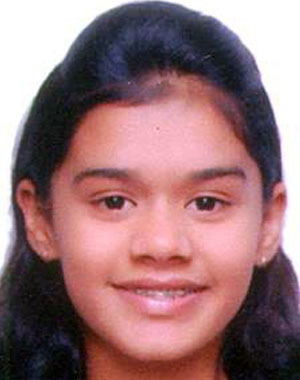 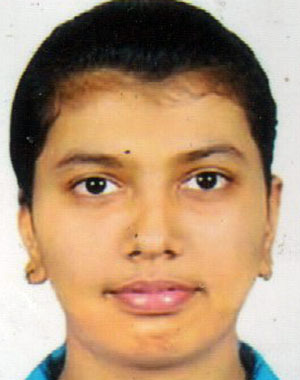 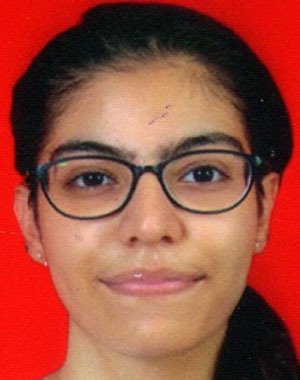 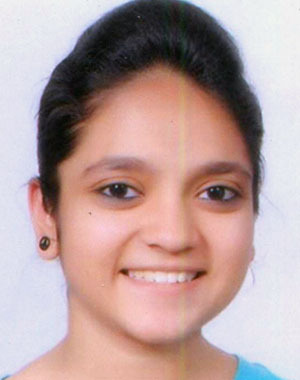 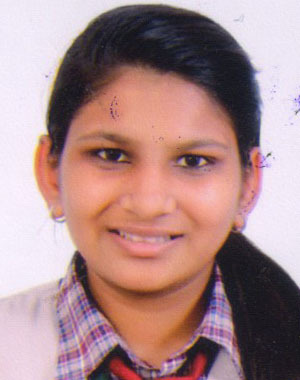 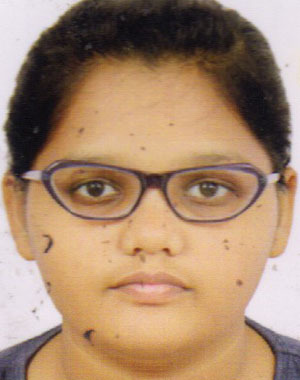 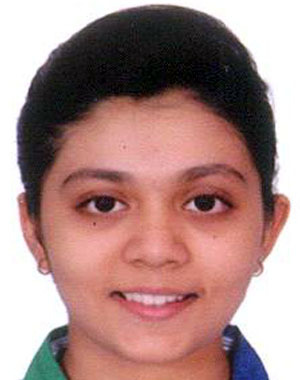 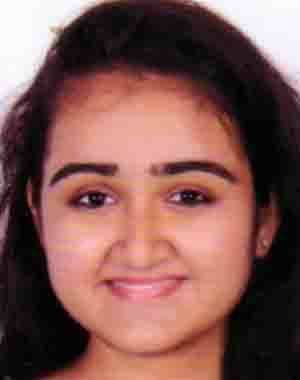 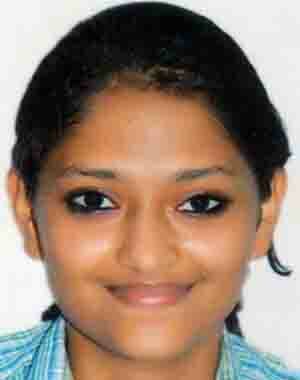 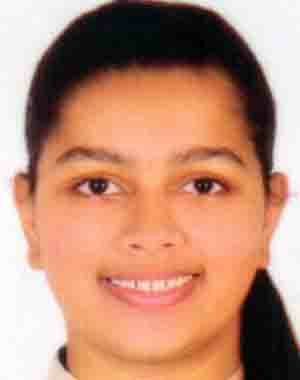 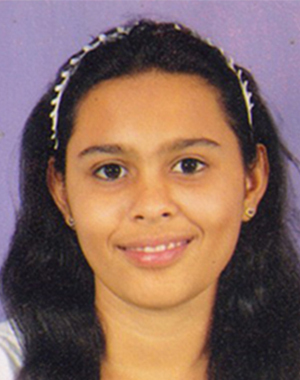 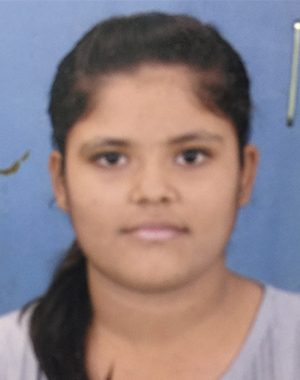 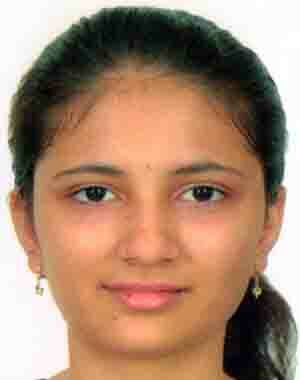 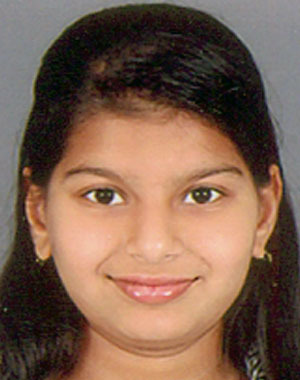 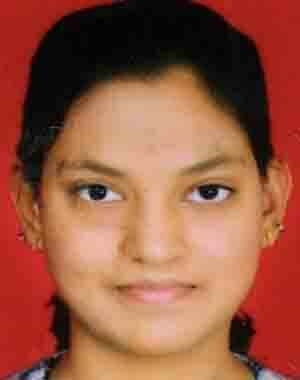 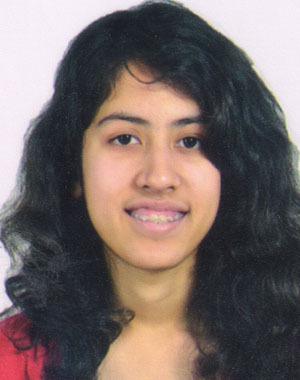 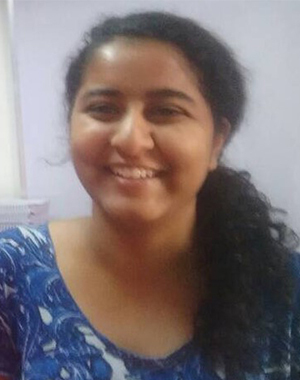 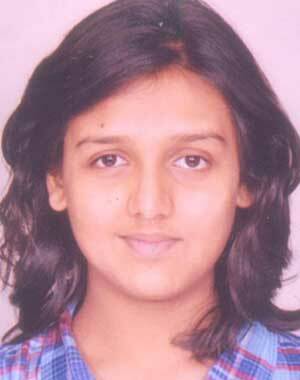 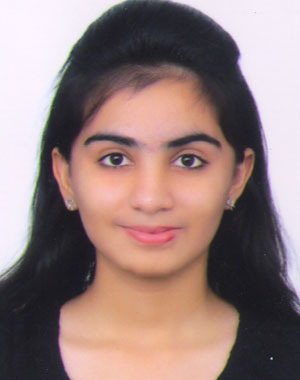 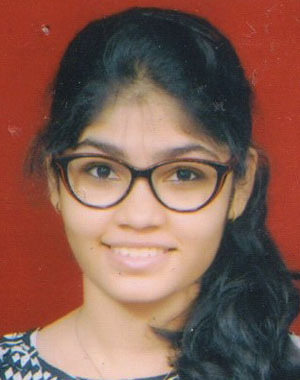 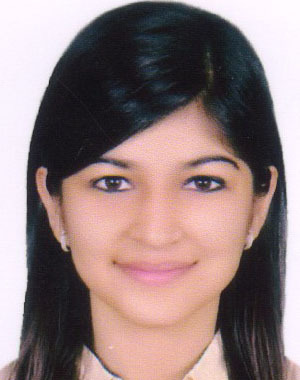 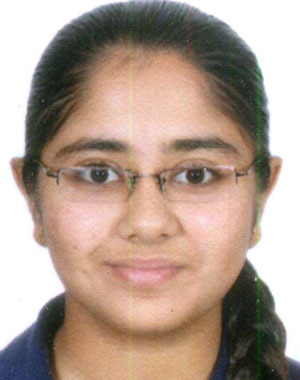 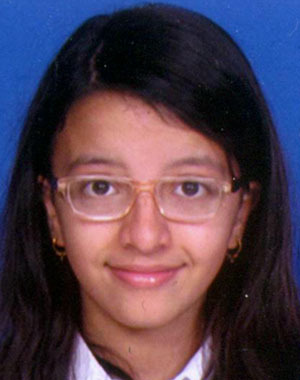 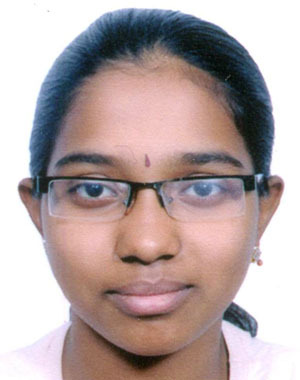 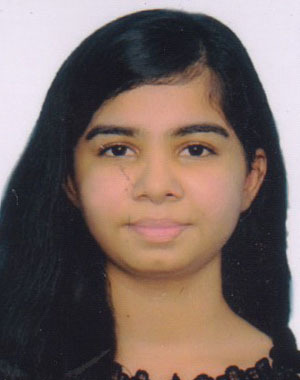 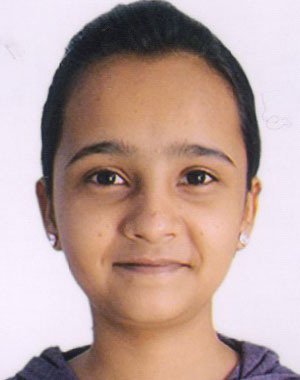 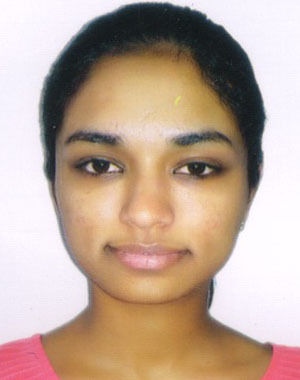 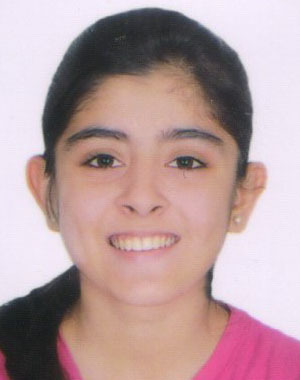 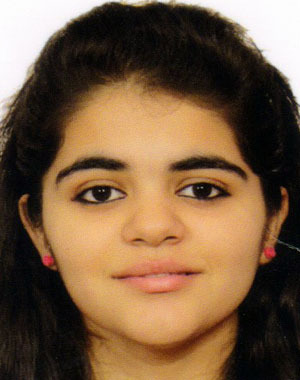 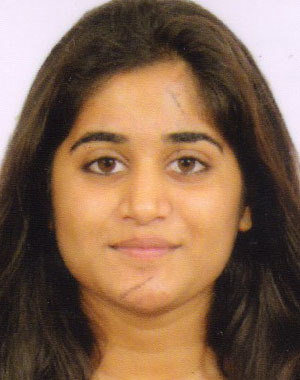 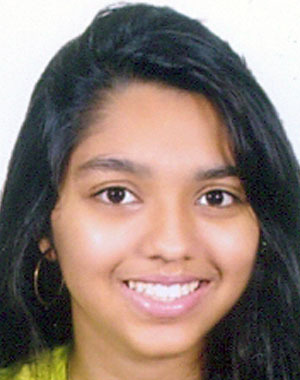 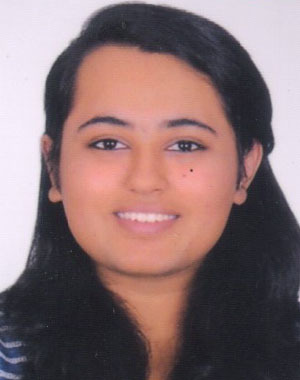 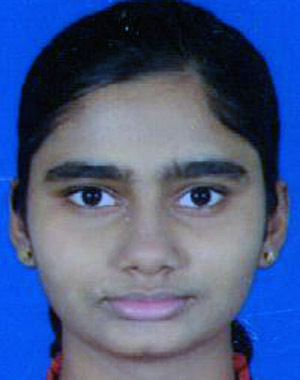 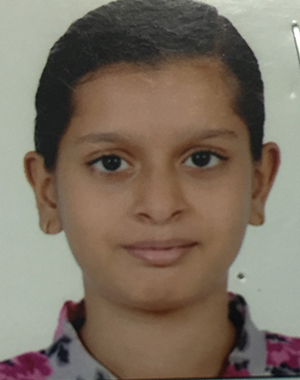 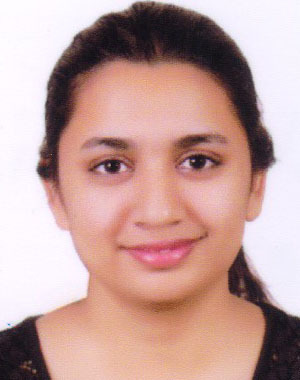 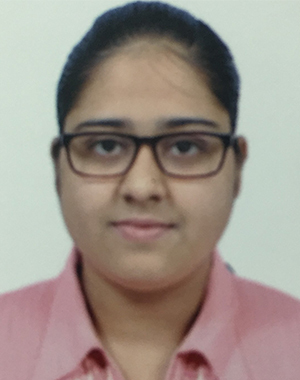 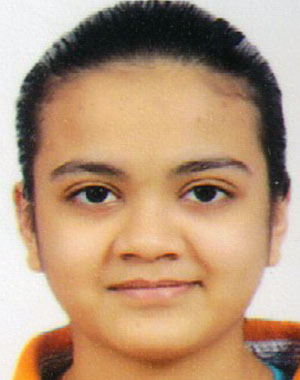 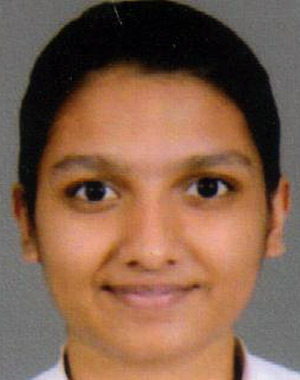 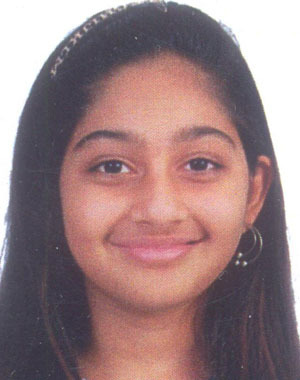 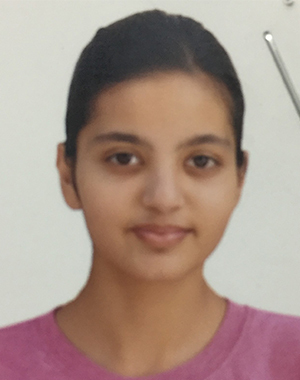 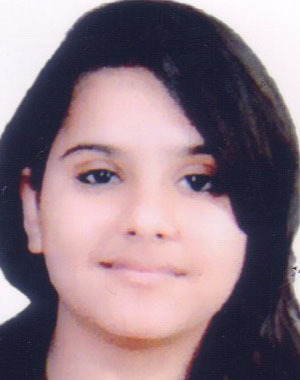 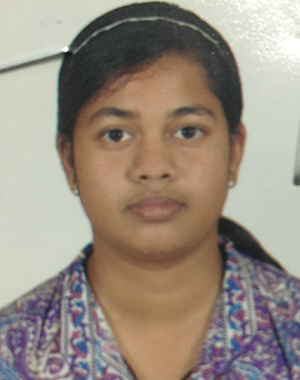 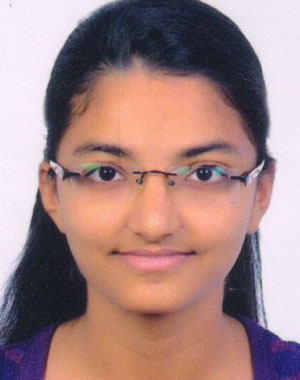 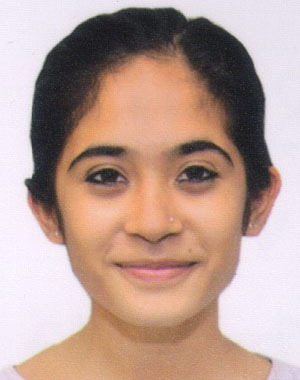 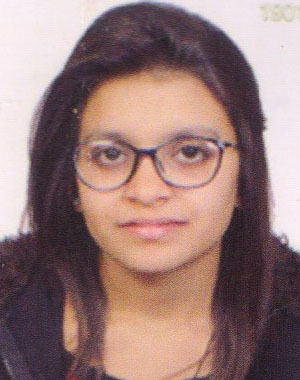 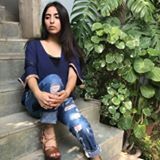 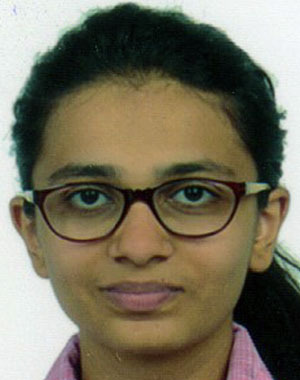 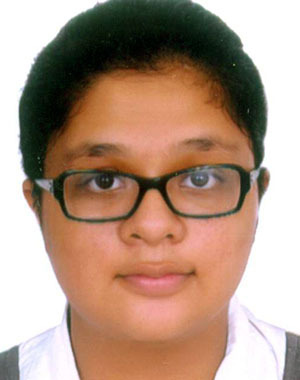 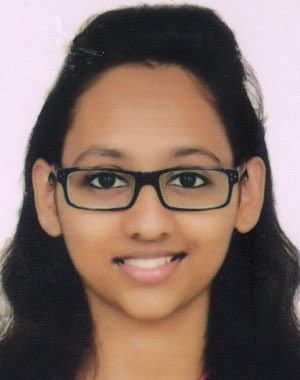 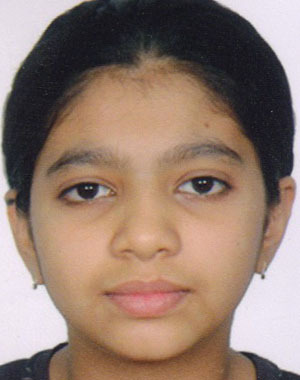 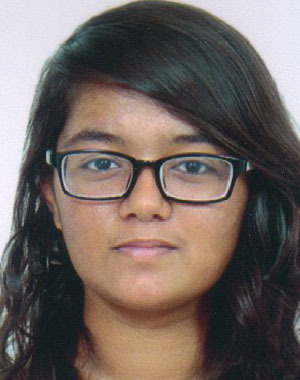 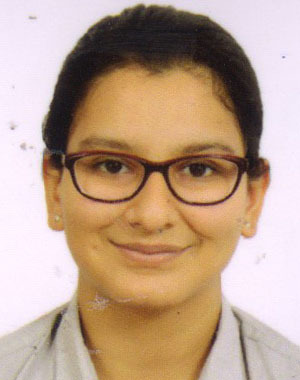 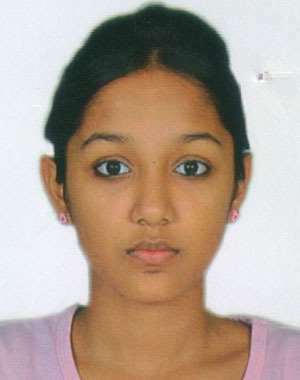 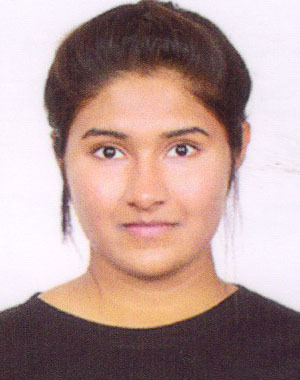 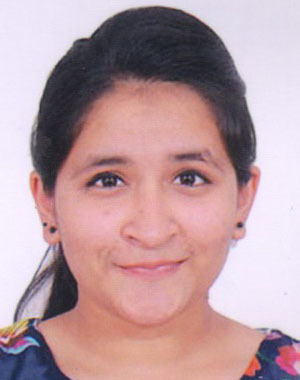 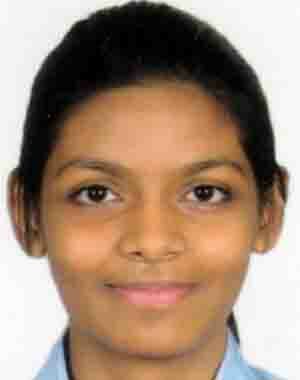 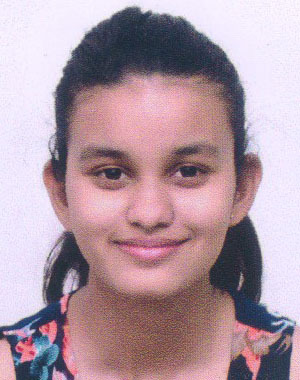 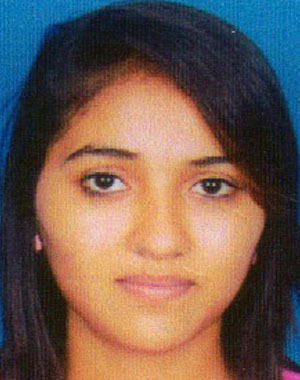 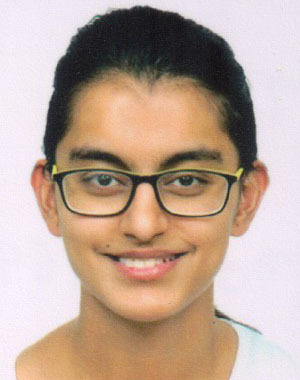 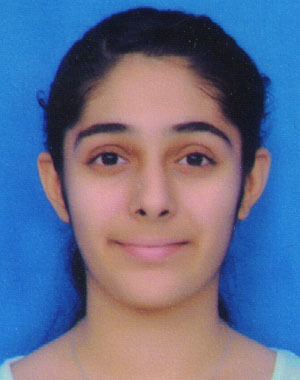 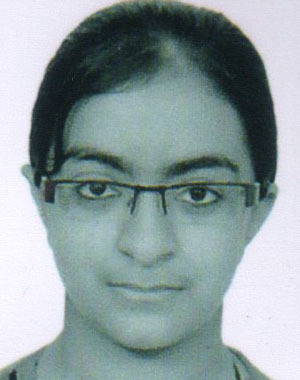 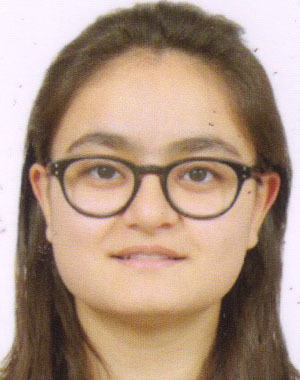 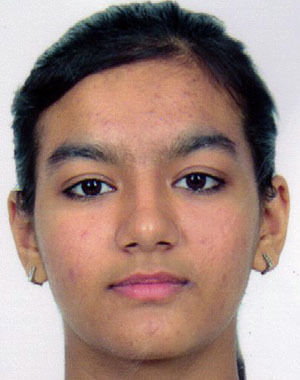 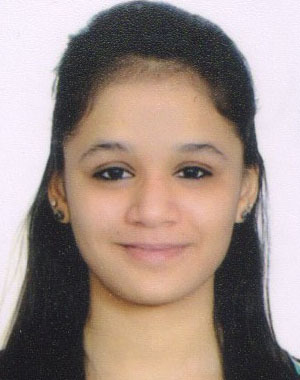 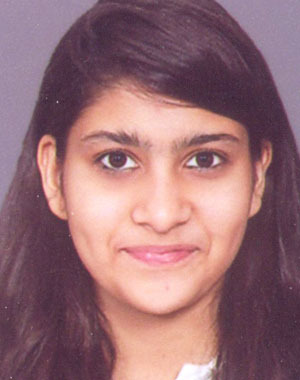 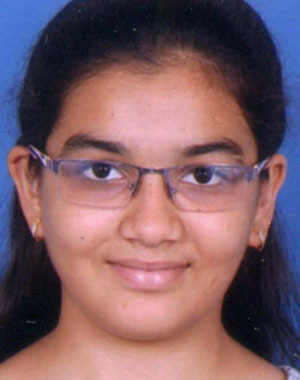 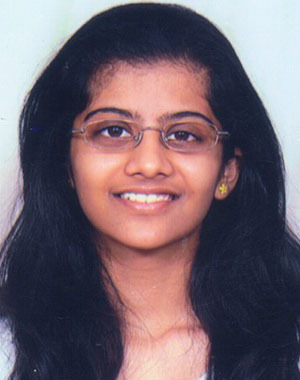 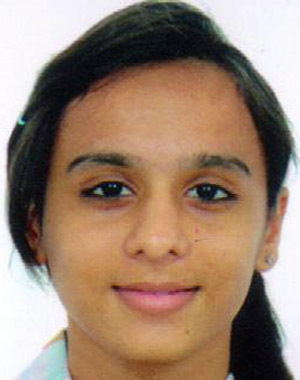 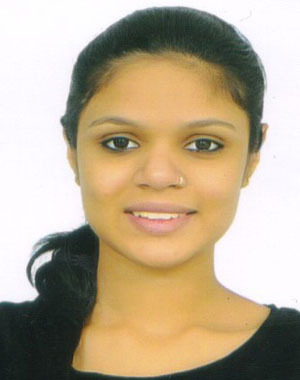 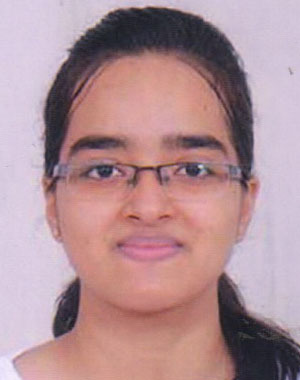 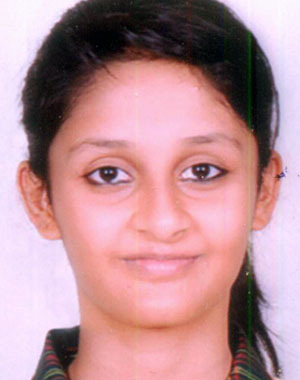 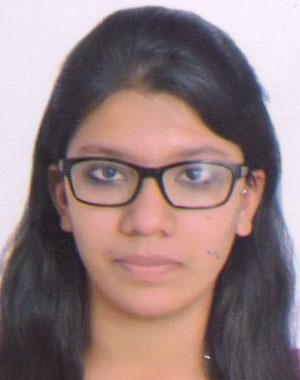 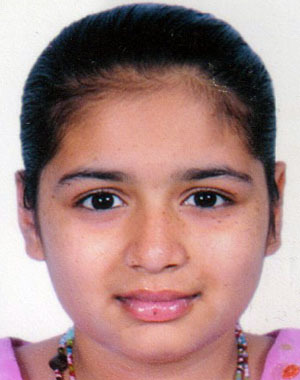 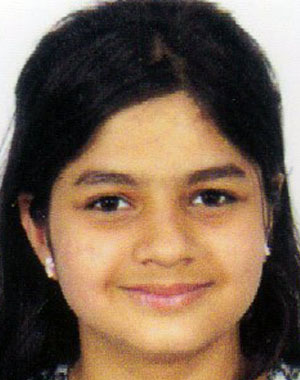 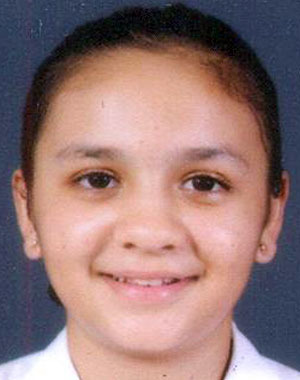 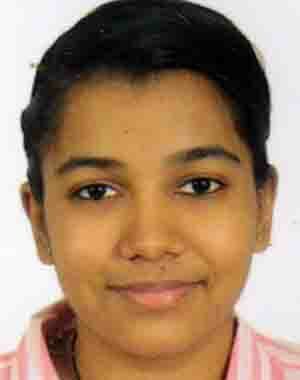 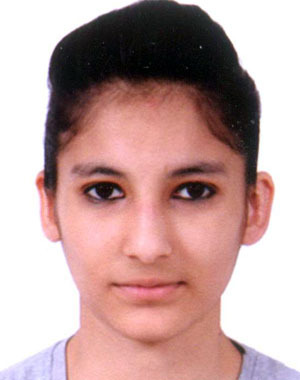 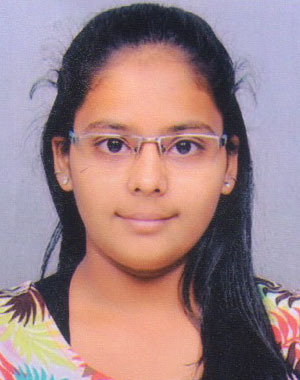 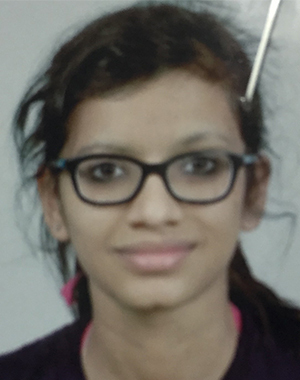 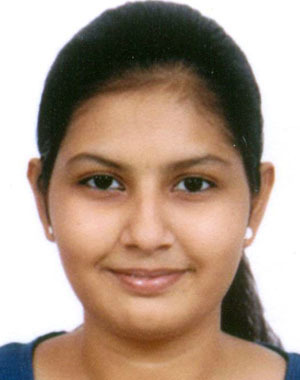 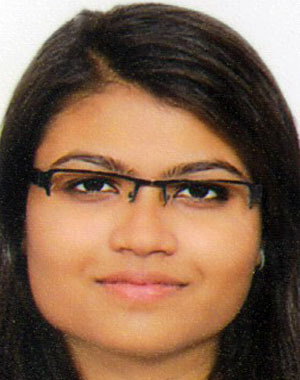 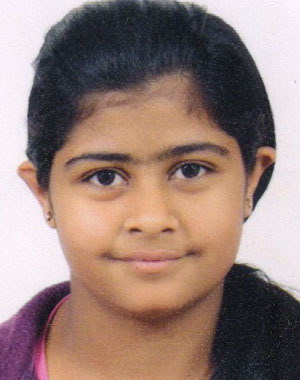 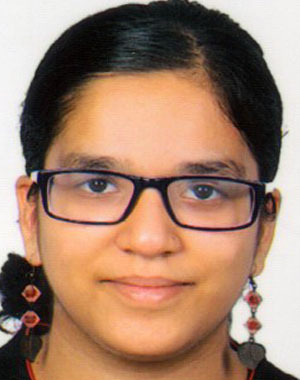 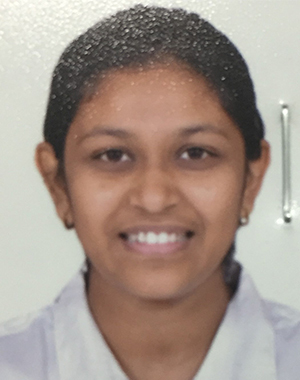 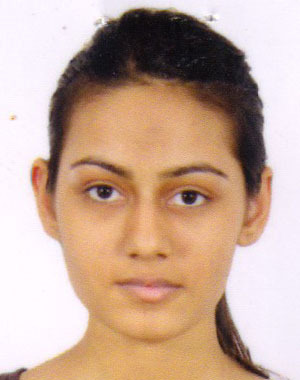 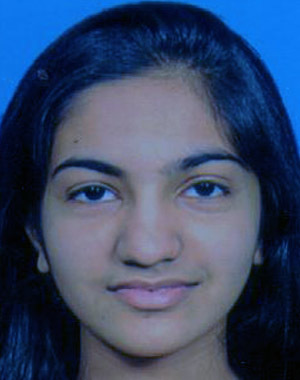 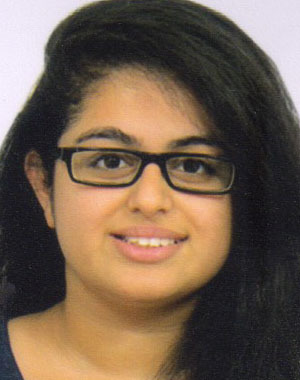 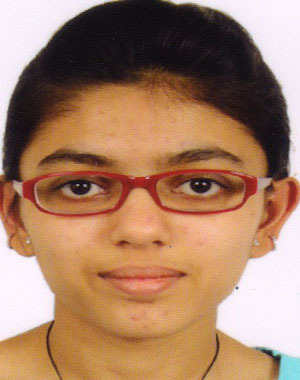 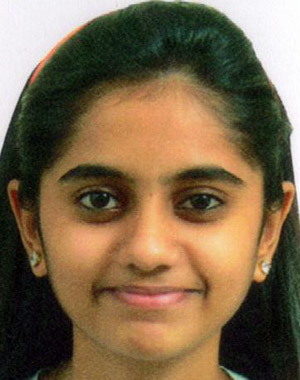 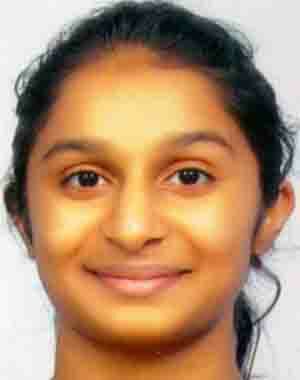 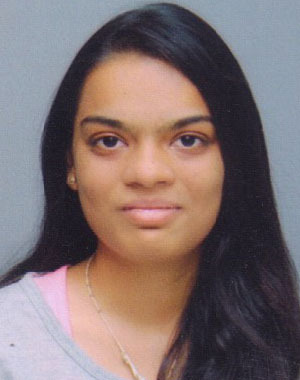 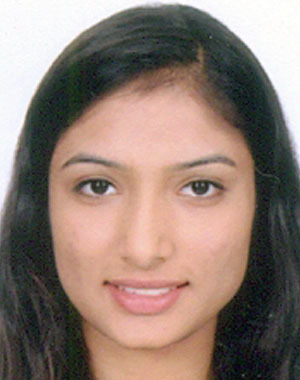 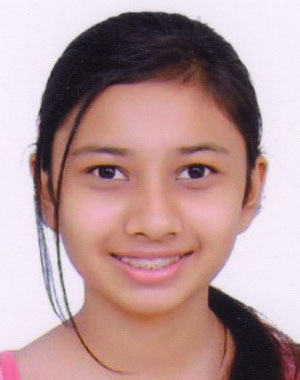 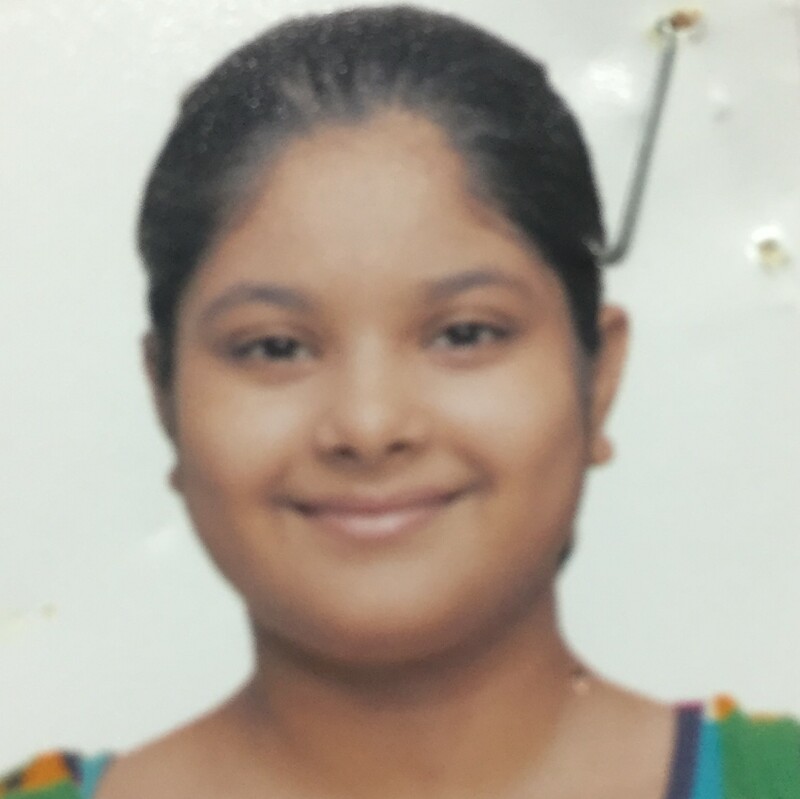 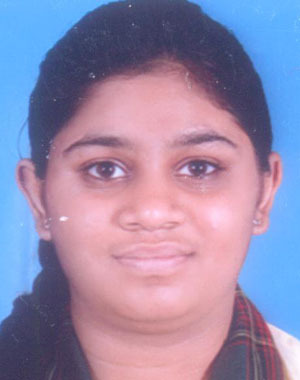 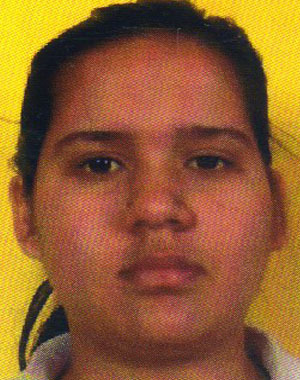 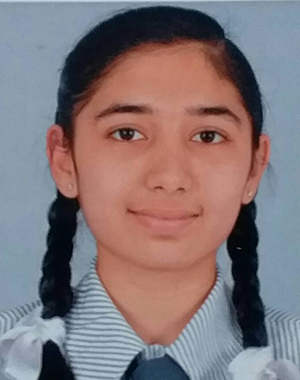 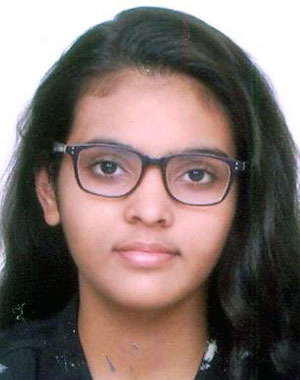 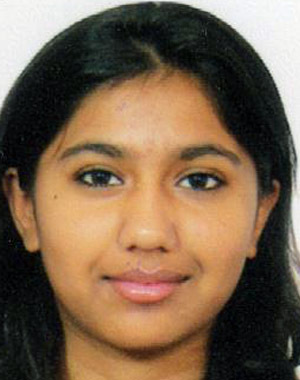 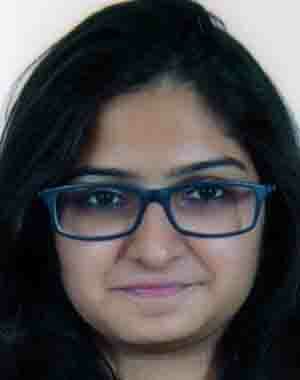 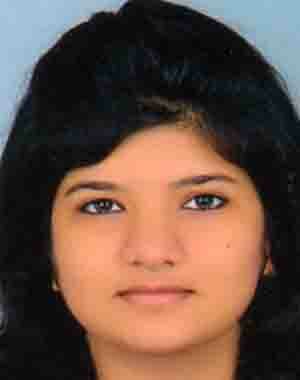 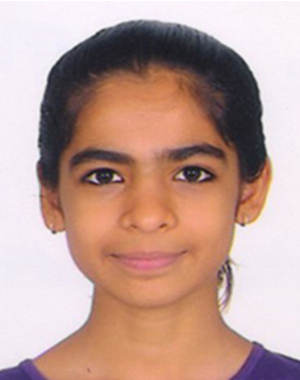 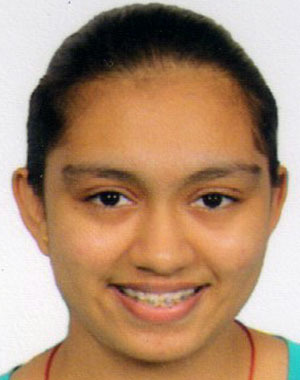 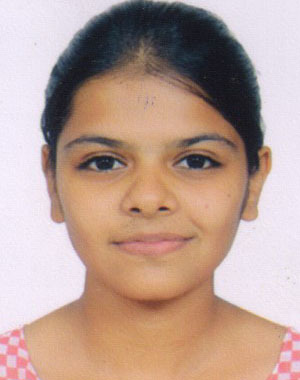 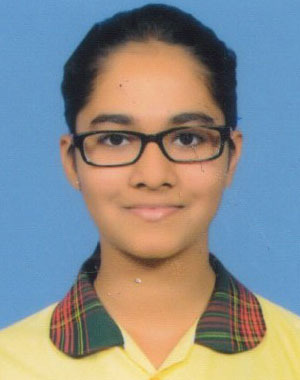 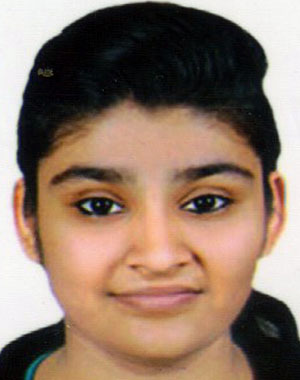 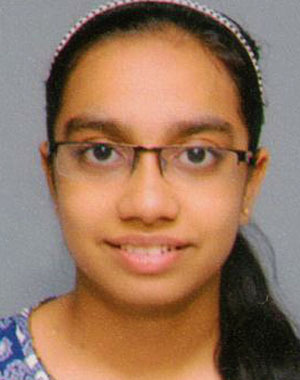 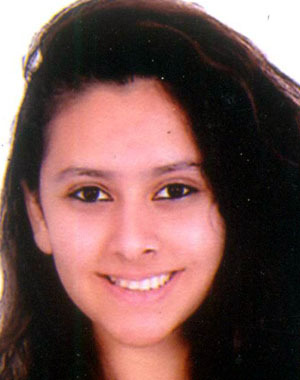 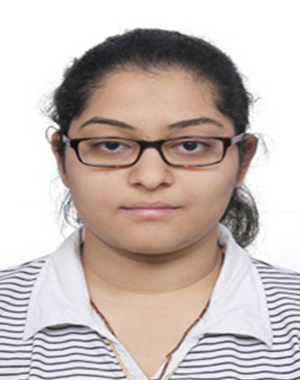 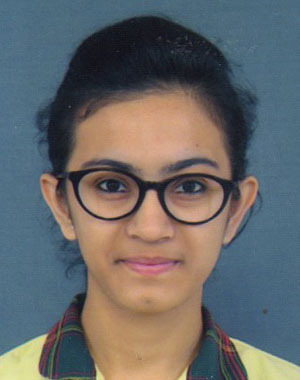 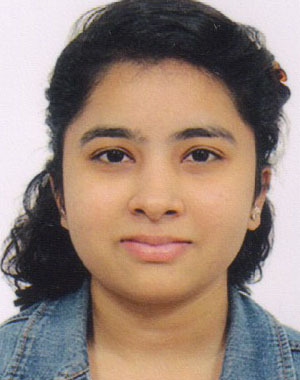 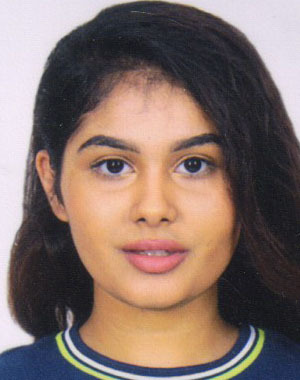 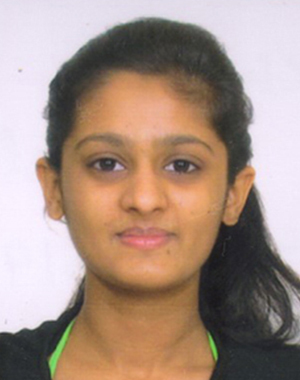 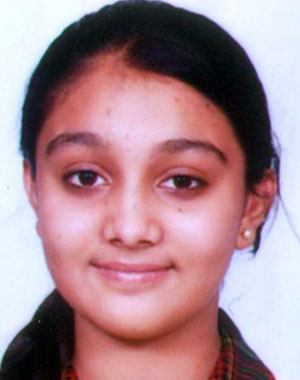 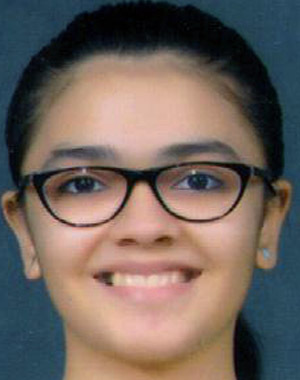 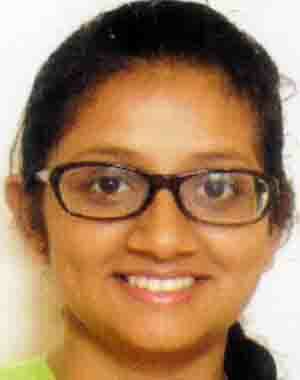 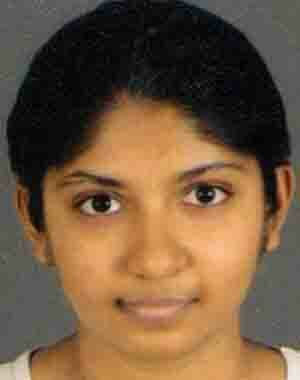 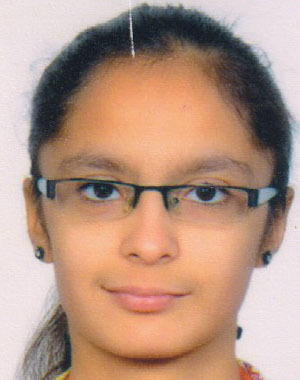 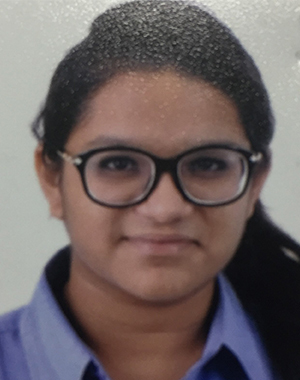 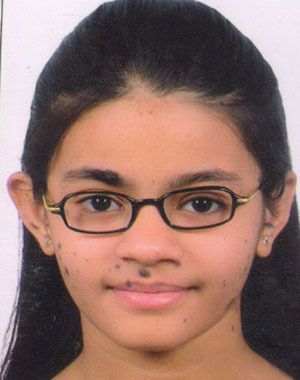 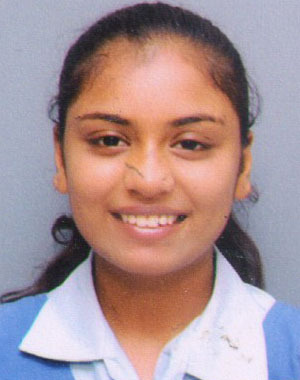 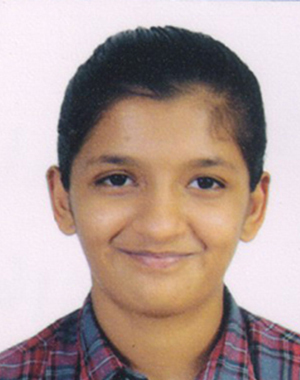 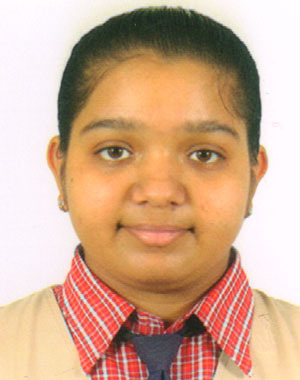 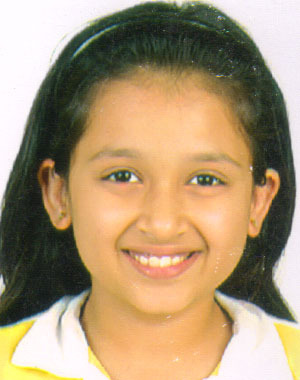 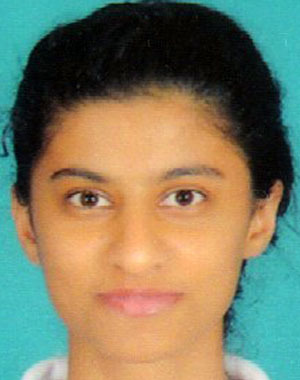 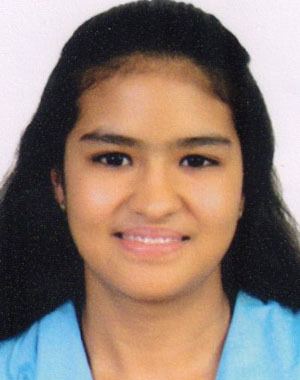 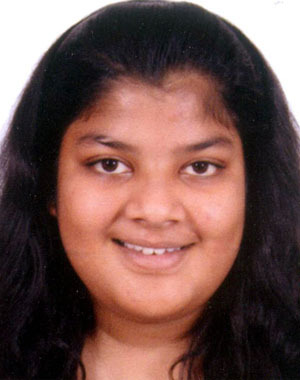 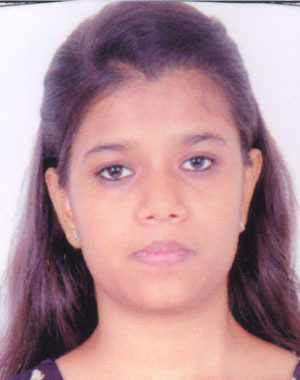 Dhruvi Sodha Sharda Vidyamandir A.U. 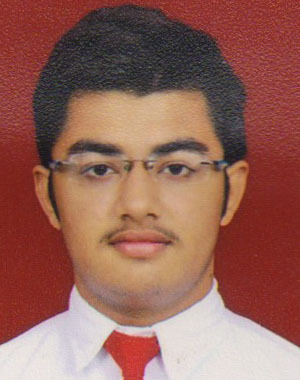 Foram Shah Asia English School A.U. 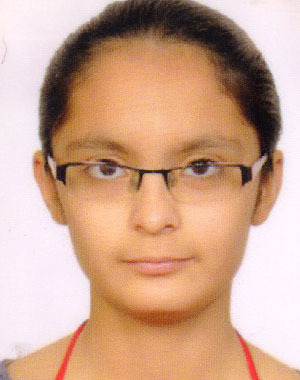 Gursimrankaur Oberoi Shanti Asiatic school A.U. 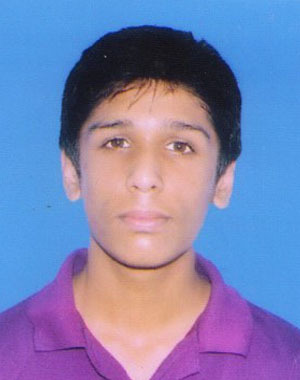 Harshit Trivedi A-One School A.U. 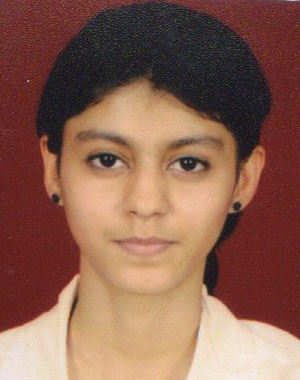 Hasti Modi Fatima Convent A.U. 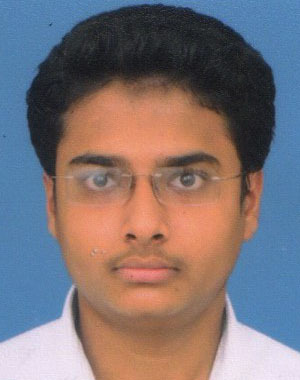 Jeet Patel St. Xavier's School A.U. 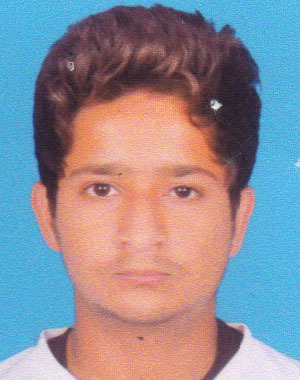 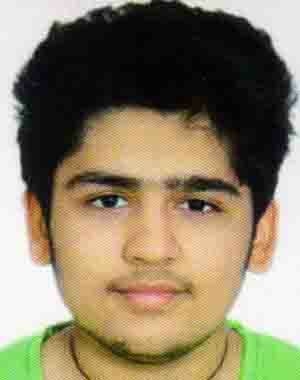 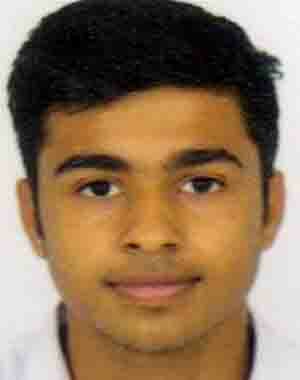 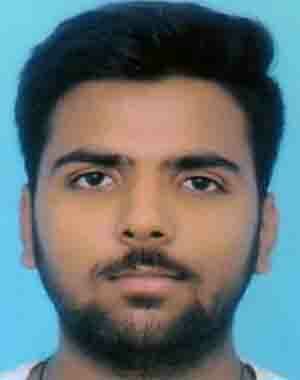 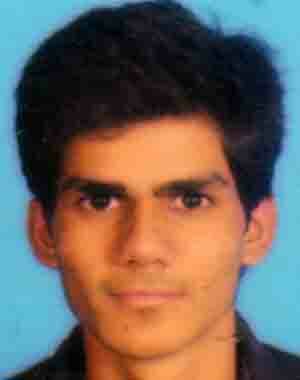 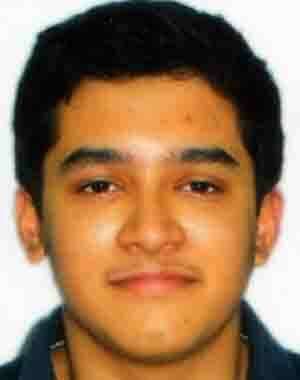 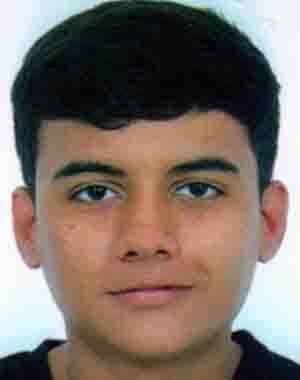 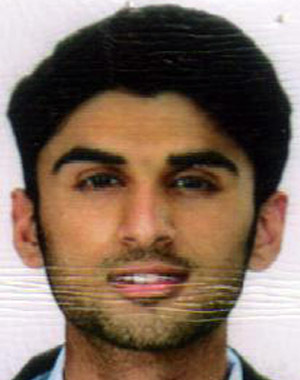 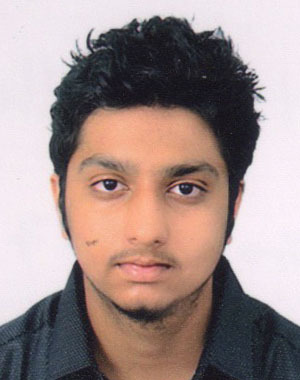 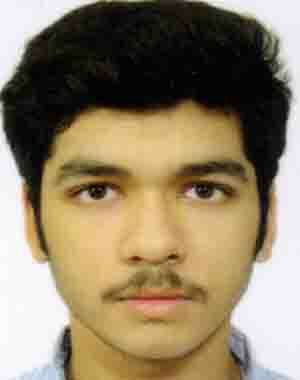 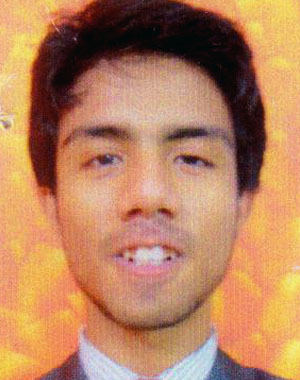 Urvish Shah A-One School A.U. 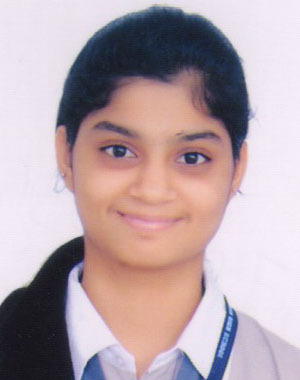 Khushvi Parikh Prakash School A.U. 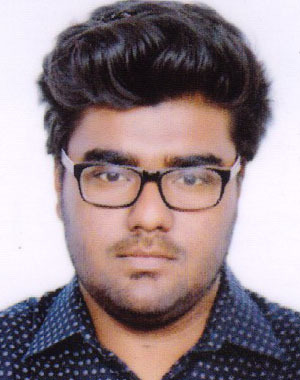 Abhishek Dabgar N. R. School A.U. 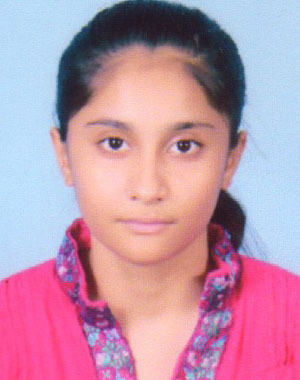 Aashvi Shah Navkar School L.J. 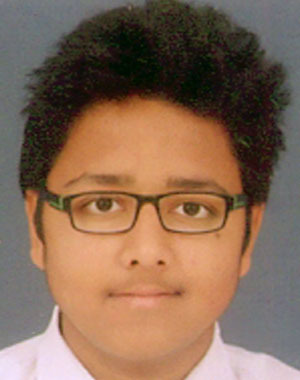 Abhishek Dabgar N. R. School L.J. 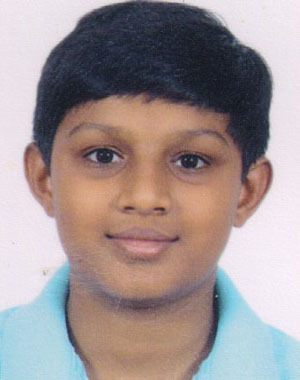 Achala Menon Nirman School L.J. 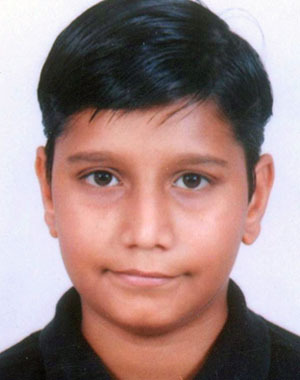 Anmol Dayal St. Kabir School L.J. 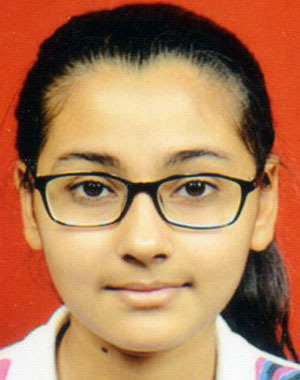 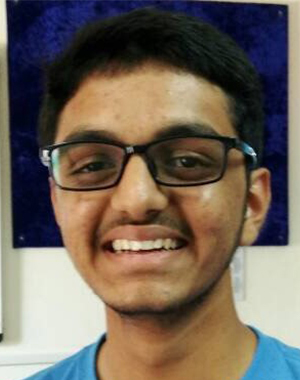 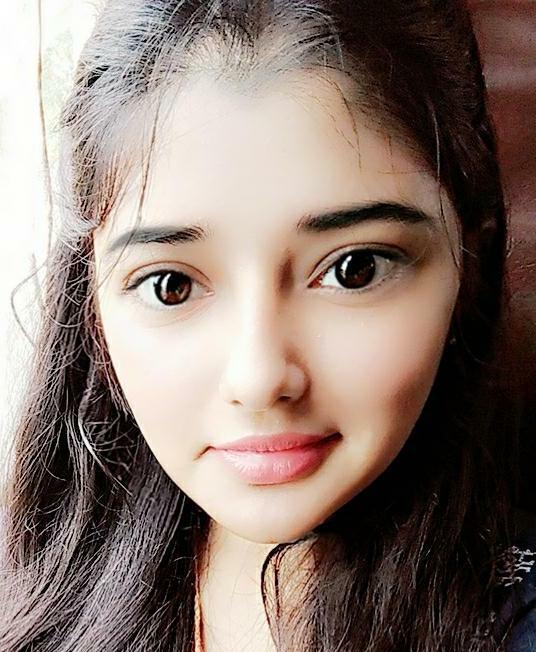 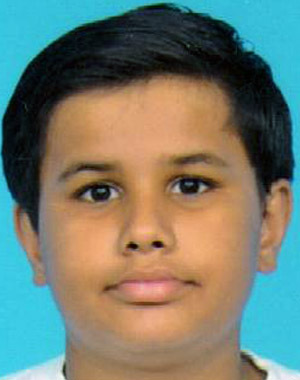 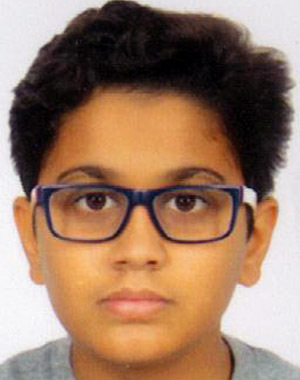 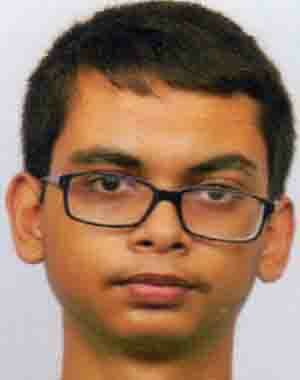 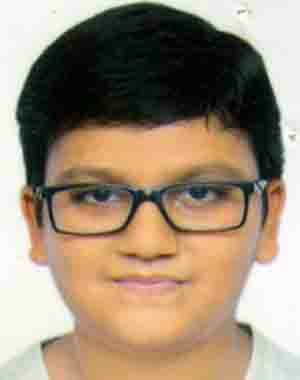 Ayushi Gadoya K G Dholakiya L.J. 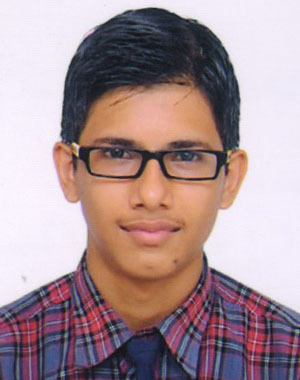 Darshil Kothari M. K. High School L.J. 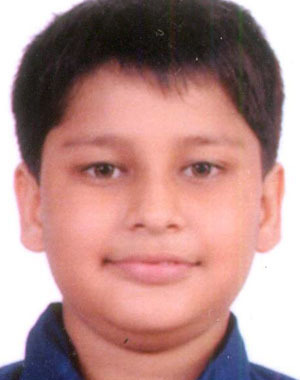 Dhairya Jain St. Kabir School L.J. 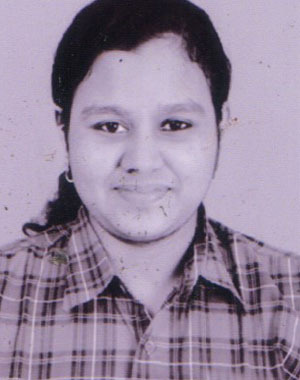 Kanisha Patel M. K. High School L.J. 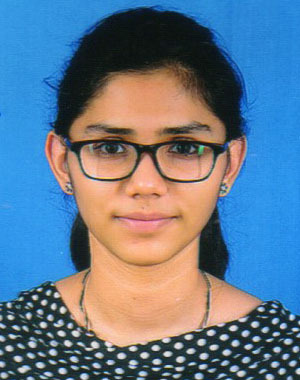 Kavya Thakkar Nirman School L.J. 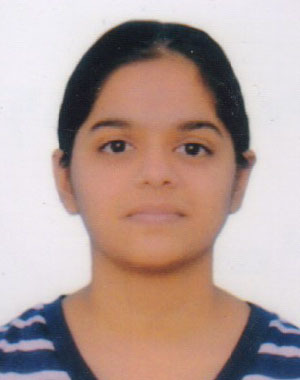 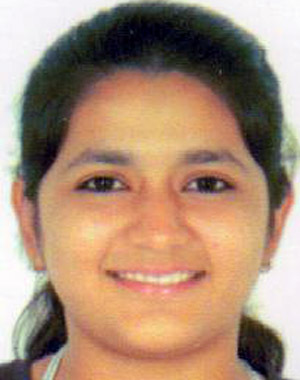 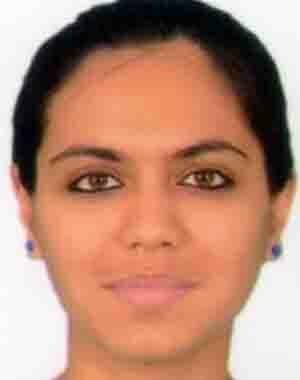 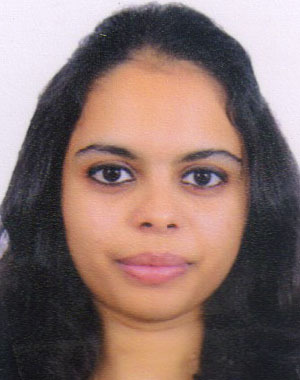 Khushi Kothari R. H. Kapadia L.J. 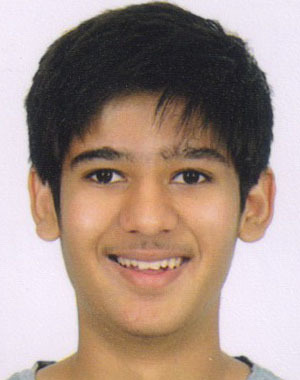 Kritik Churiwala Cosmos Castle L.J. 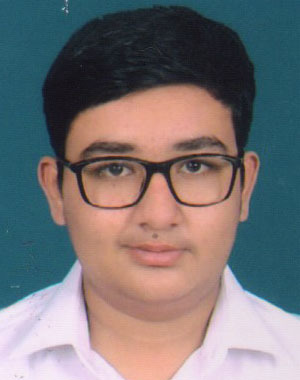 Labdhi Shah V. R. Shah School L.J. 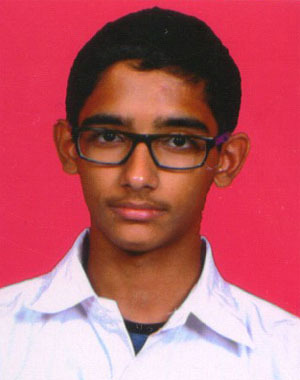 Mudrakshi Parekh Ahmedabad Intl School L.J. 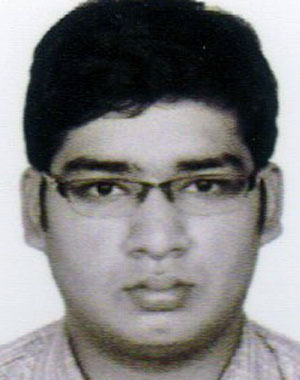 Nirmal Patel Indus University L.J. 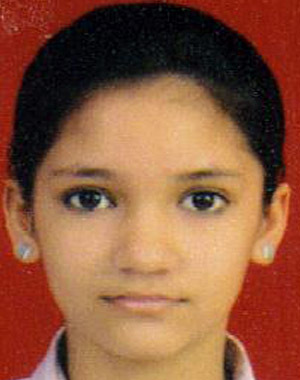 Nisha Khatri St. Kabir School L.J. 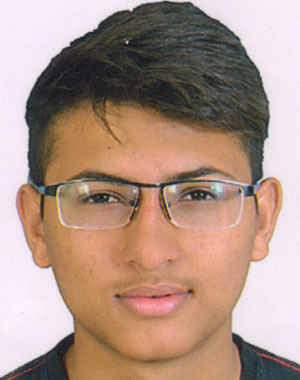 Nishank Shah Nirman School L.J. 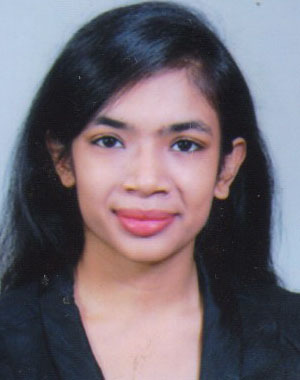 Preya Maniar Mt. 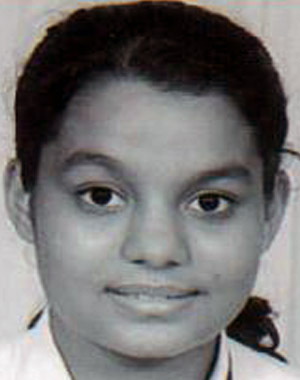 Carmel School L.J. 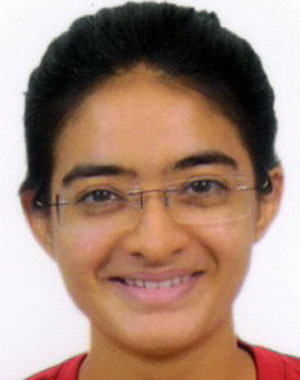 Rajvi Vaghela Mt. 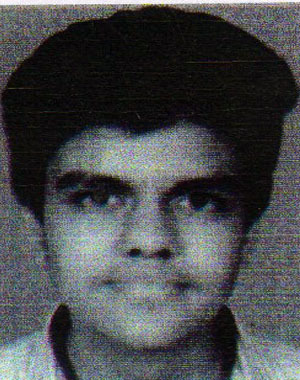 Carmel School L.J. 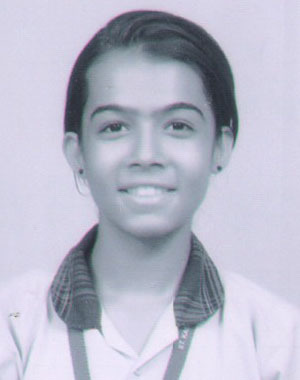 Rakhi Gohel Tulip Intl School L.J. 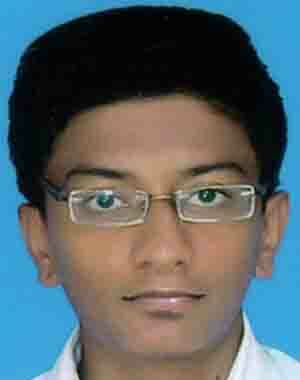 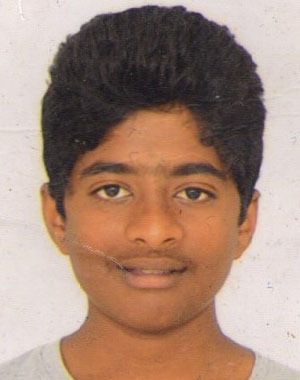 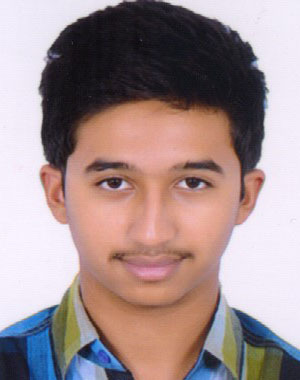 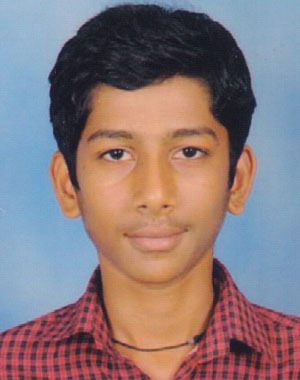 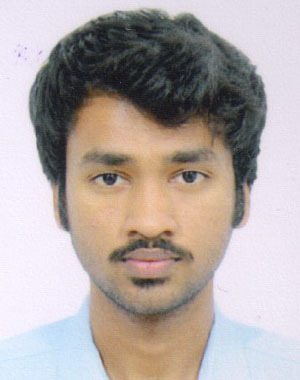 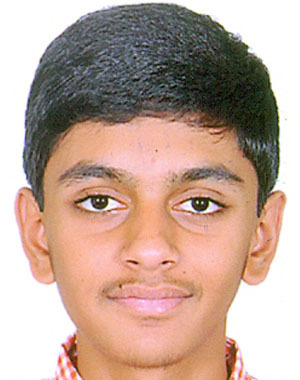 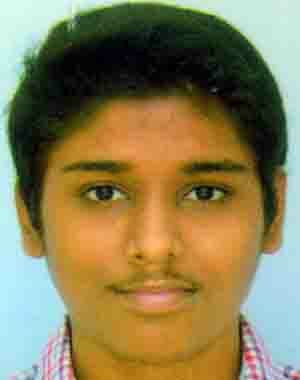 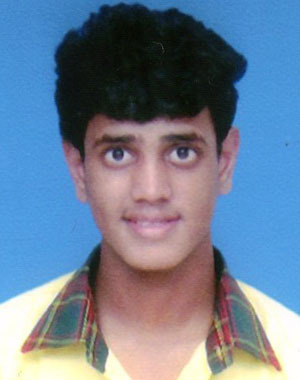 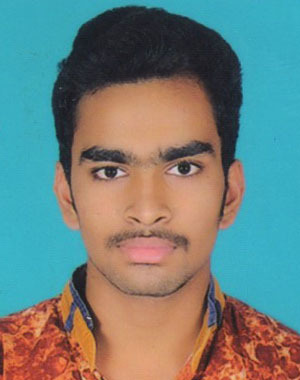 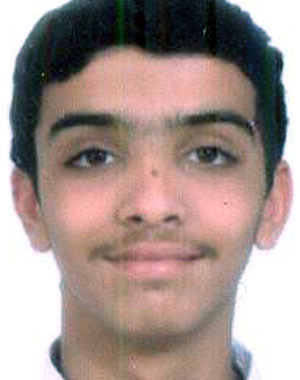 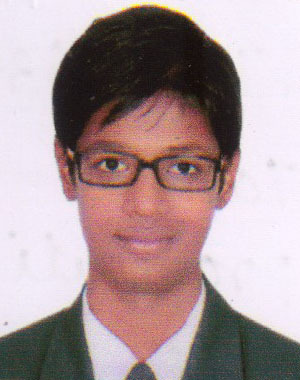 Ritesh Agarwal Udgam School L.J. 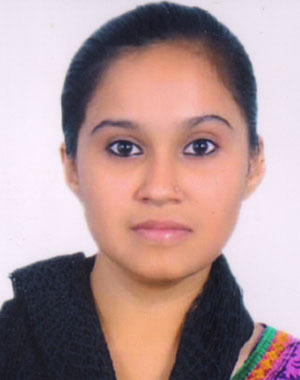 Ritu Mishra Nirman School L.J. 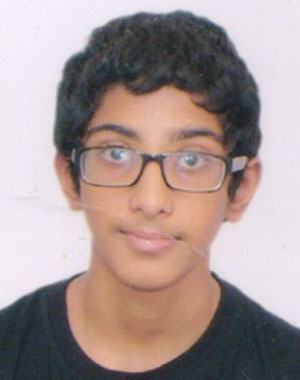 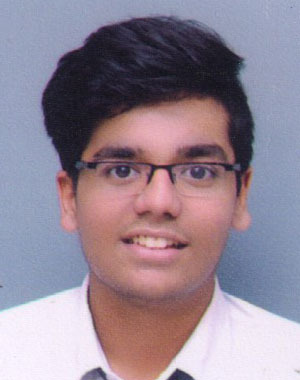 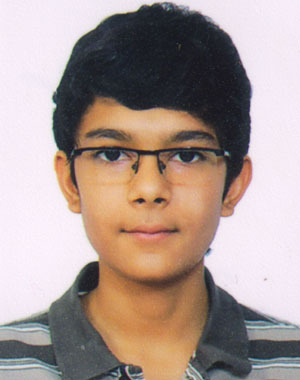 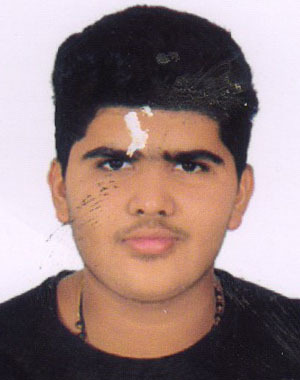 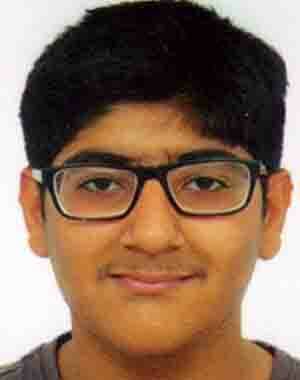 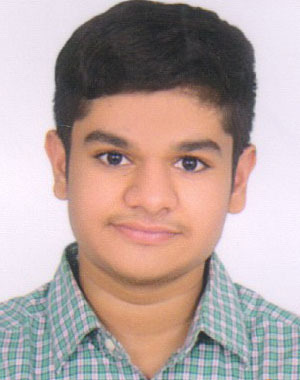 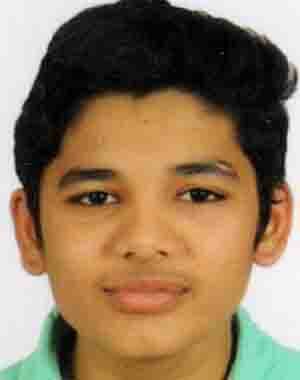 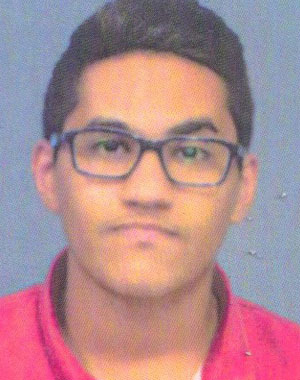 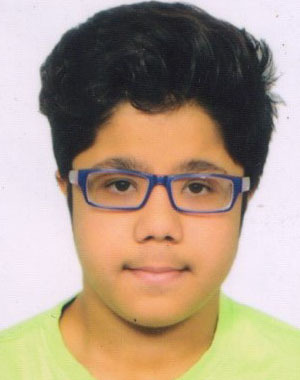 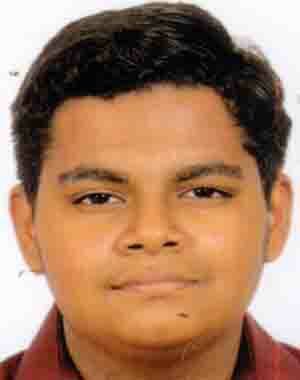 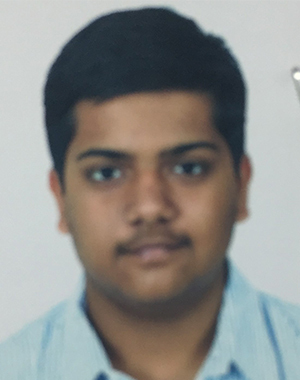 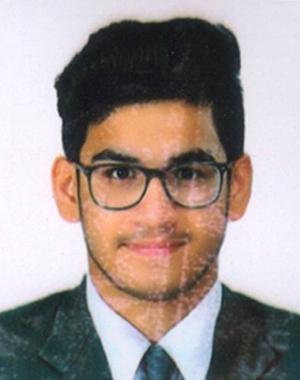 Rohan Shah Asia English School L.J. 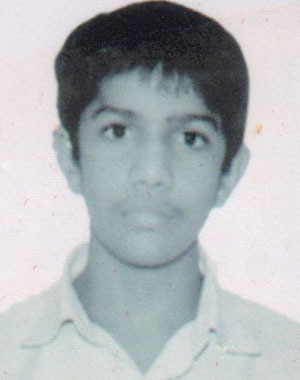 Rushali Kanabar St. Kabir School L.J. 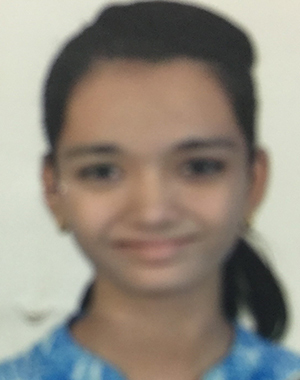 Sanyukta Nandedkar Florescent School L.J. 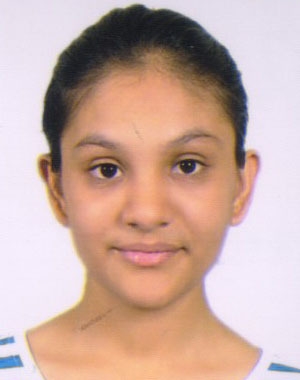 Saumya Kapadia Jain Intl School L.J. 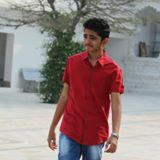 Siddhi Patel Divine Buds L.J. 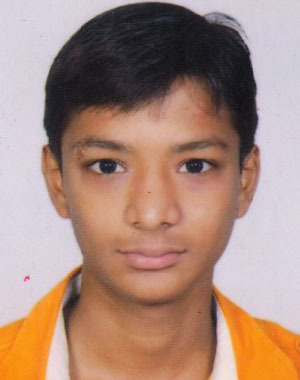 Subhangi Tiwari Nirman School L.J. 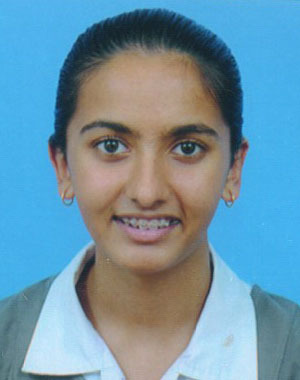 Twisha Patni A-One School L.J. 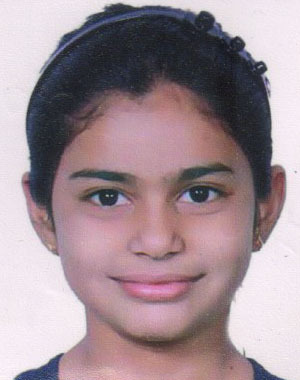 Vaishvi Shah St. Kabir School L.J. 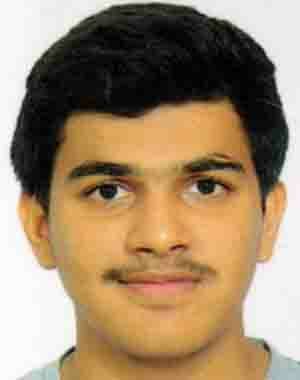 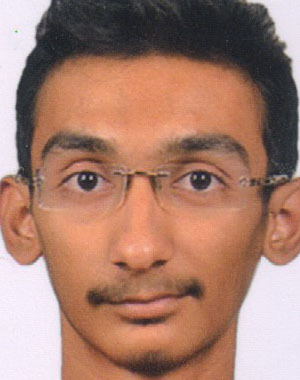 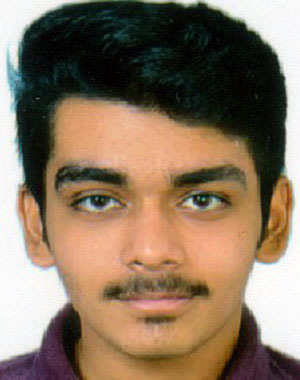 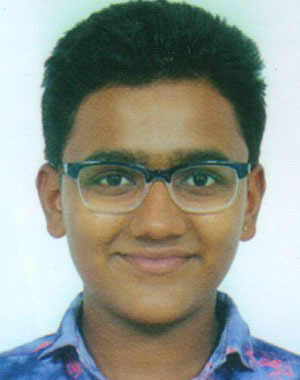 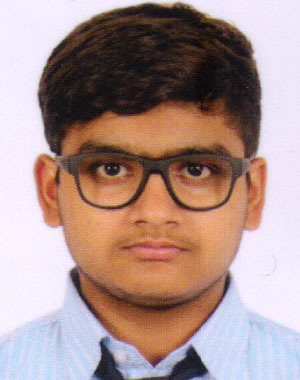 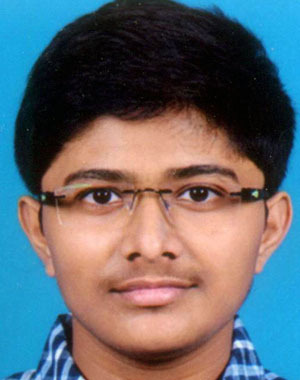 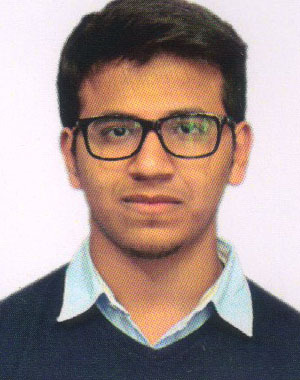 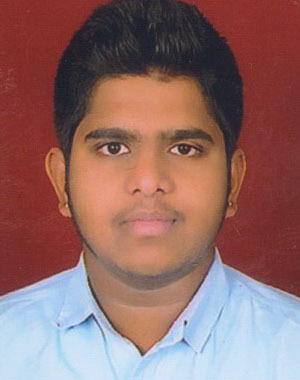 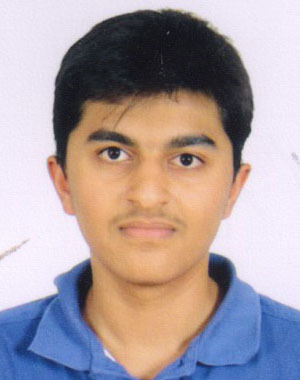 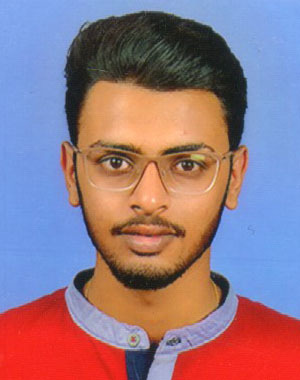 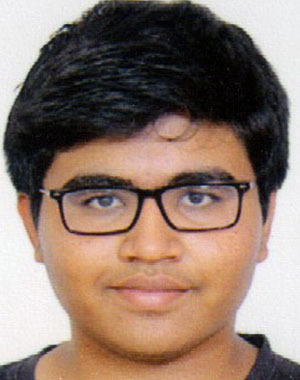 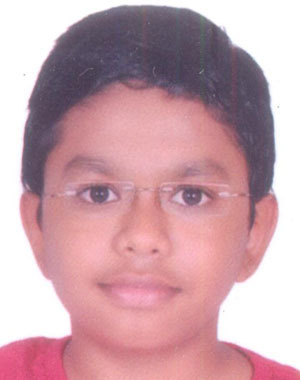 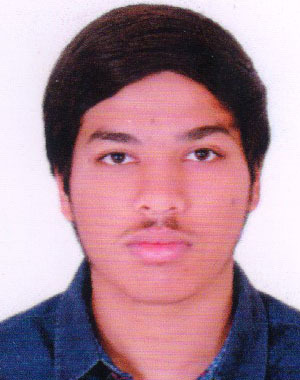 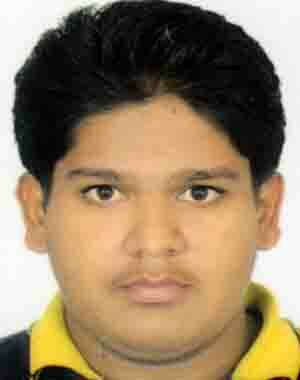 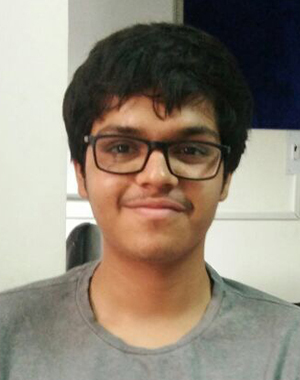 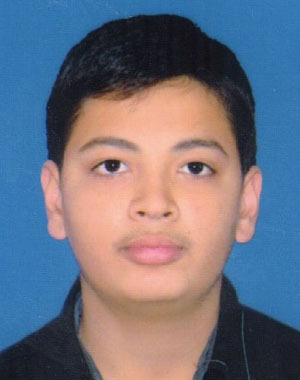 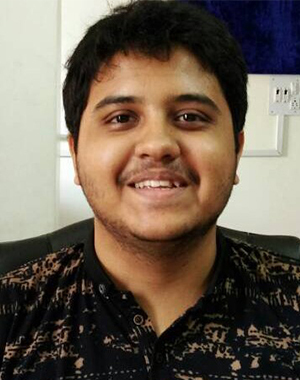 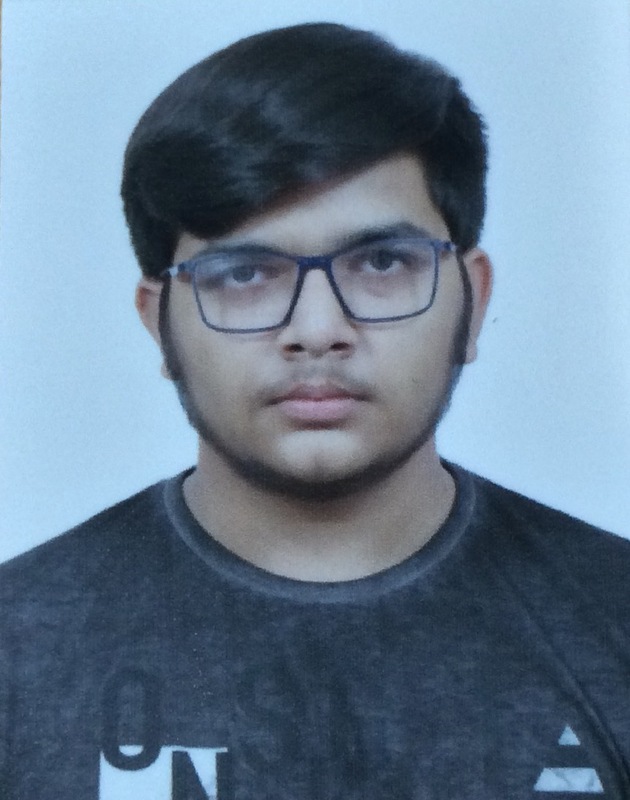 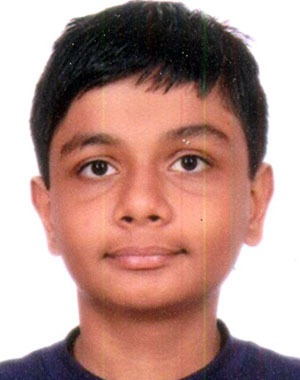 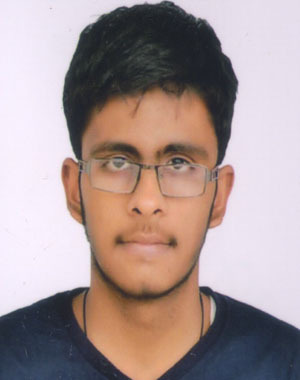 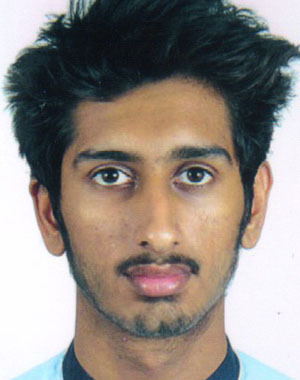 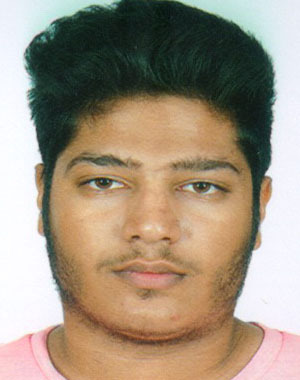 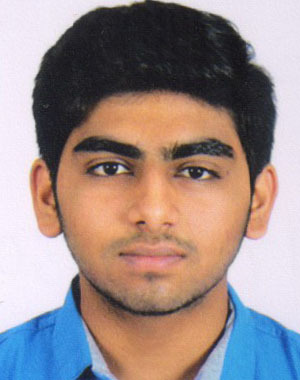 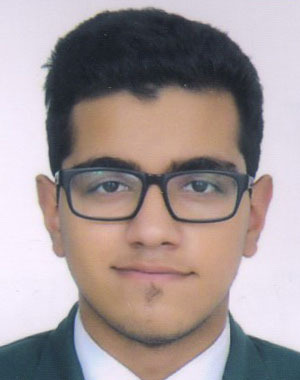 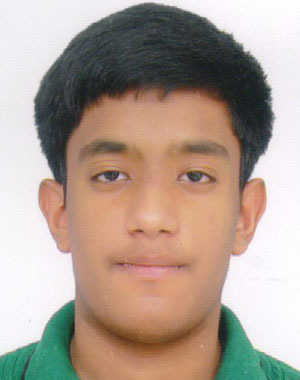 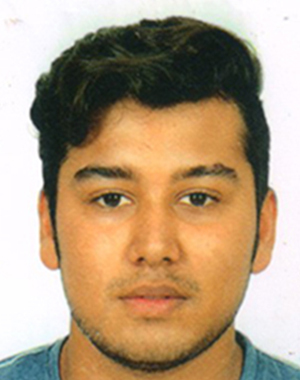 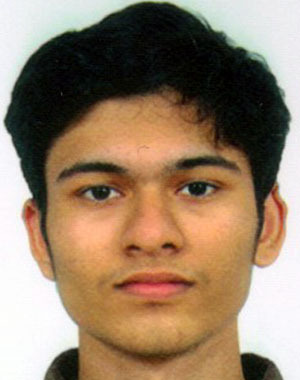 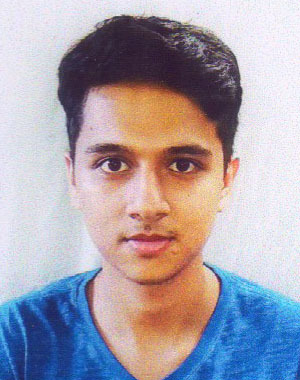 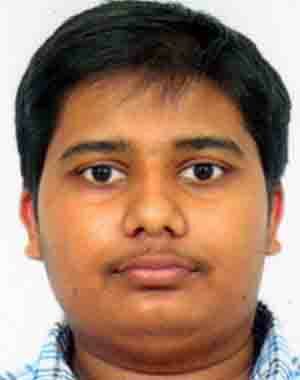 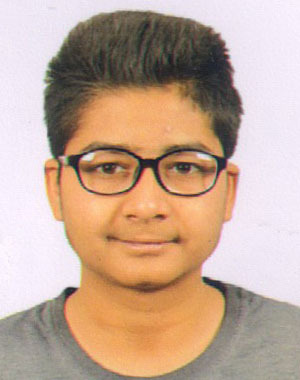 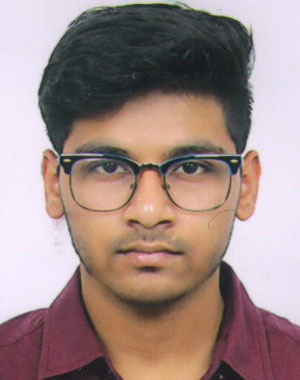 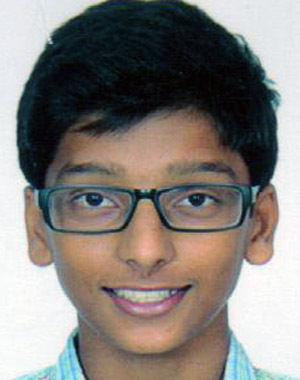 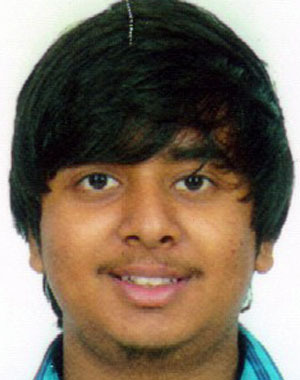 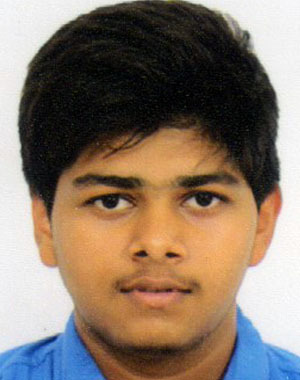 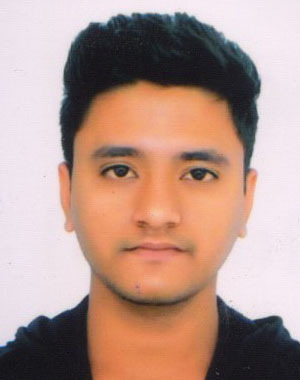 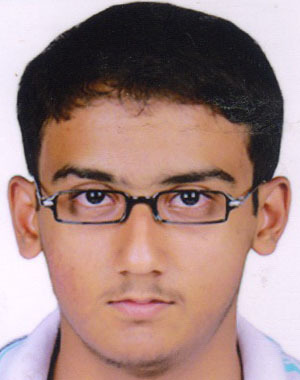 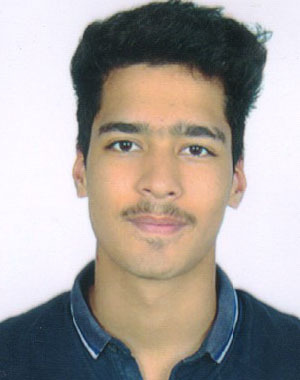 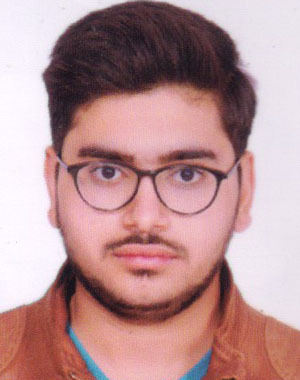 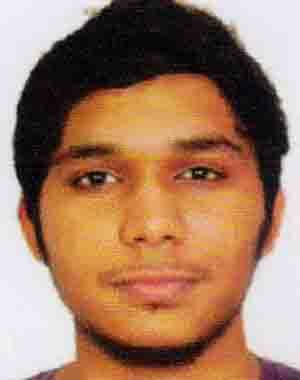 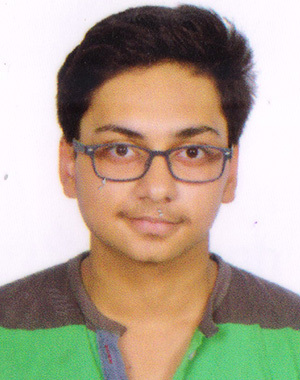 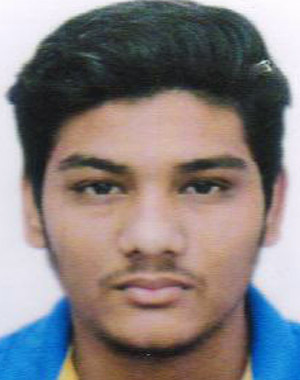 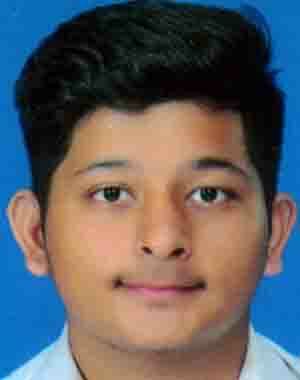 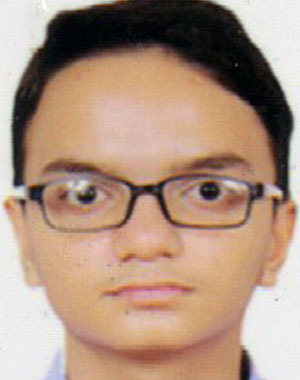 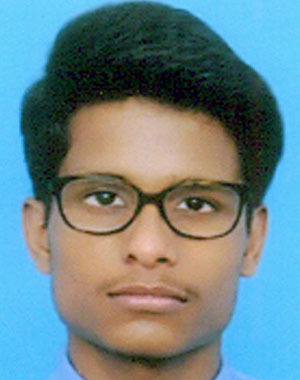 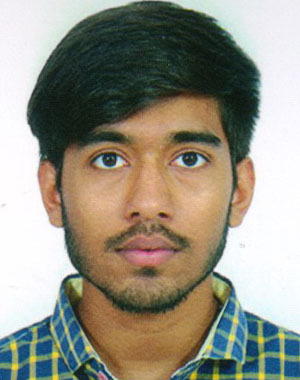 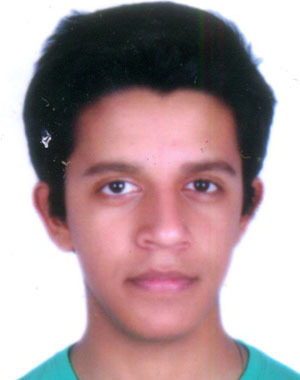 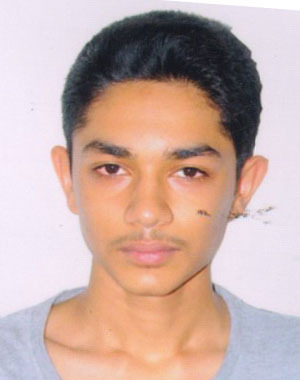 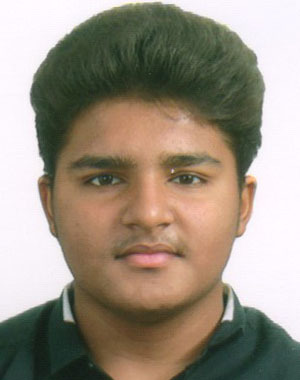 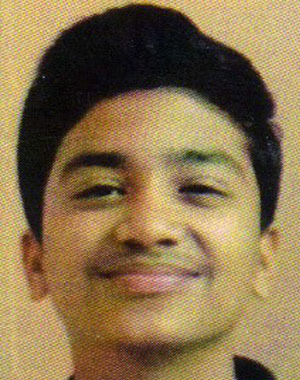 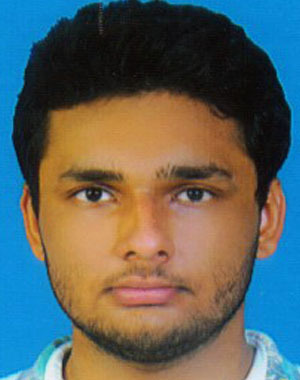 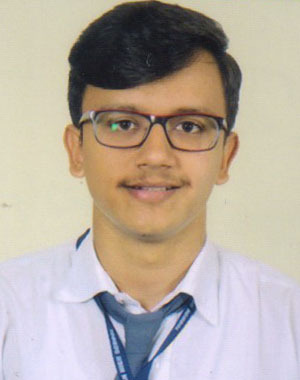 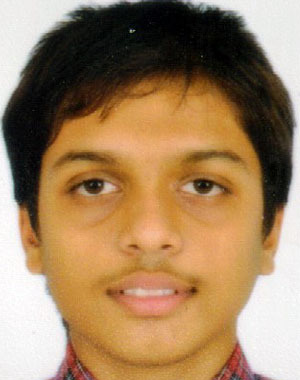 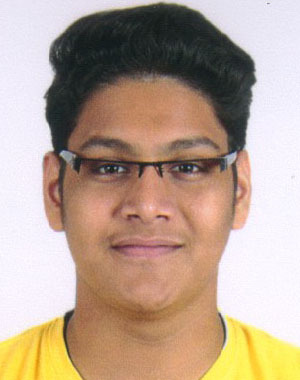 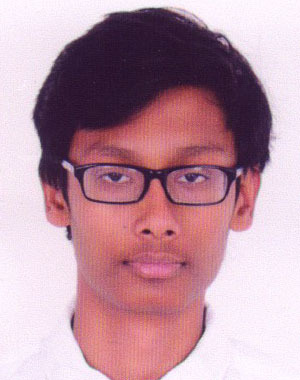 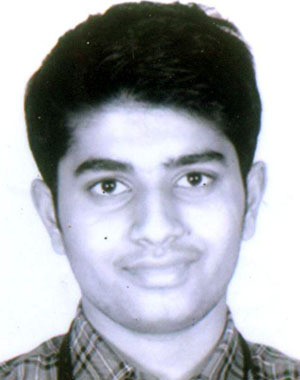 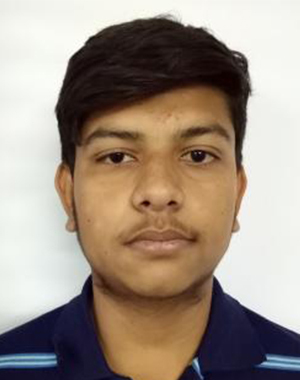 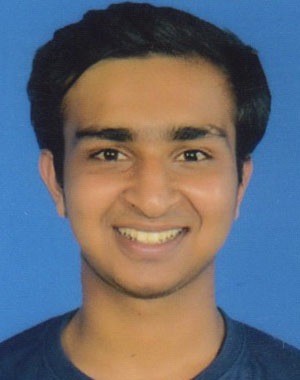 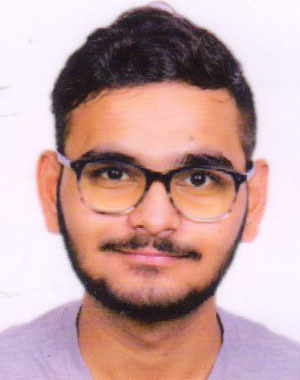 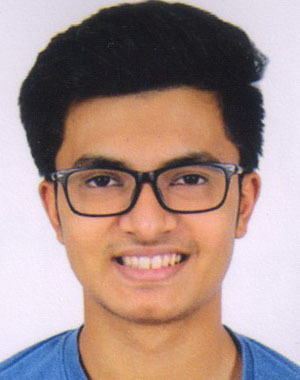 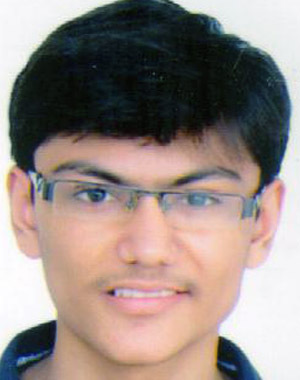 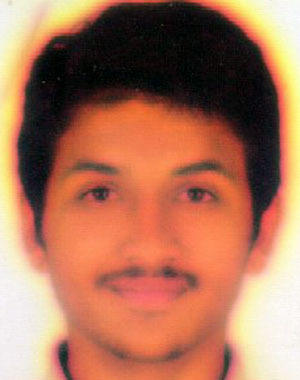 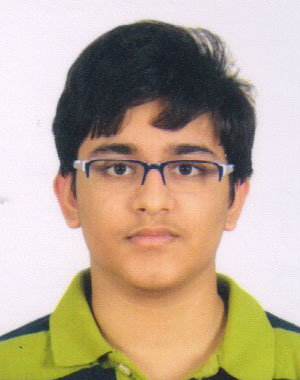 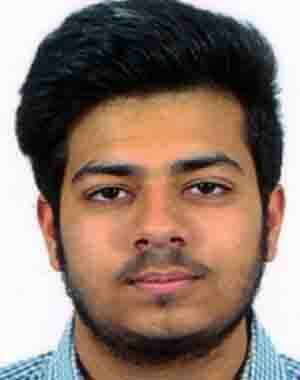 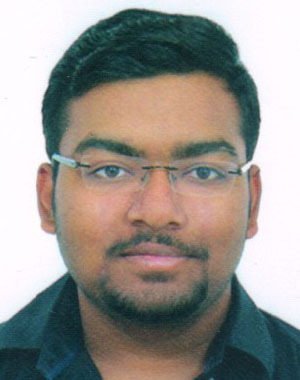 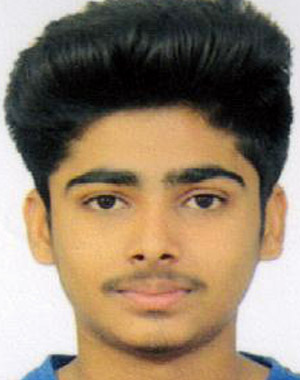 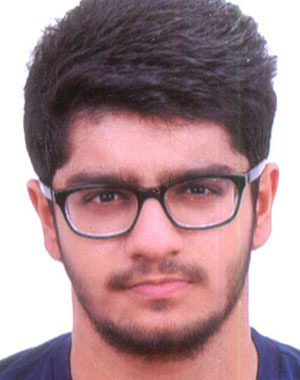 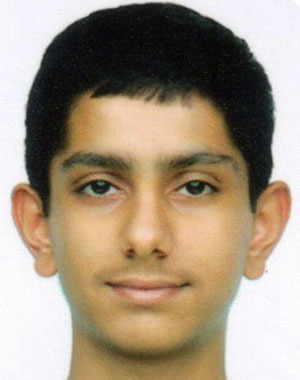 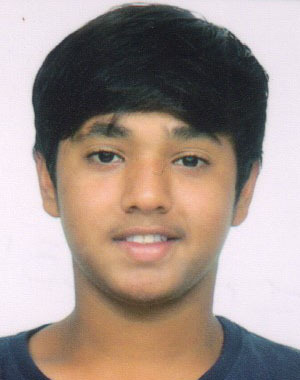 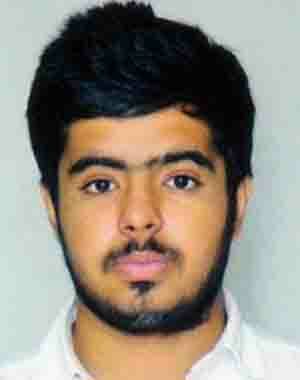 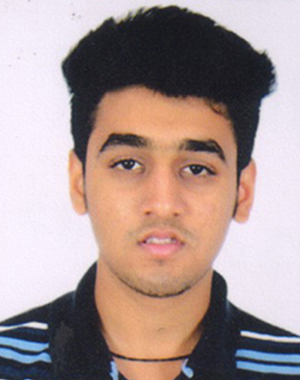 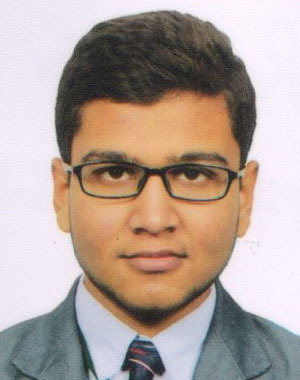 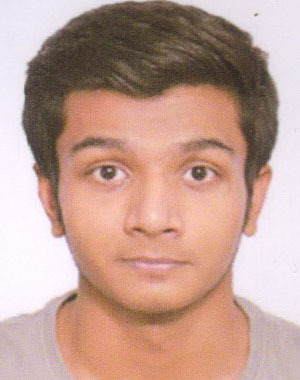 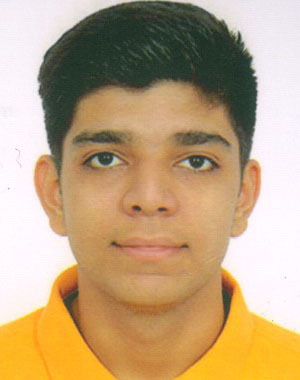 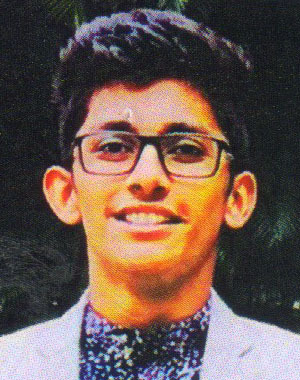 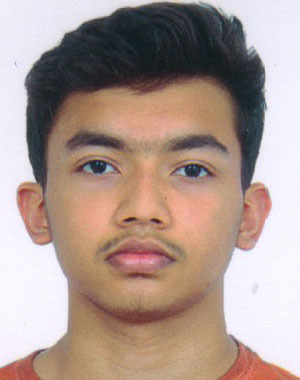 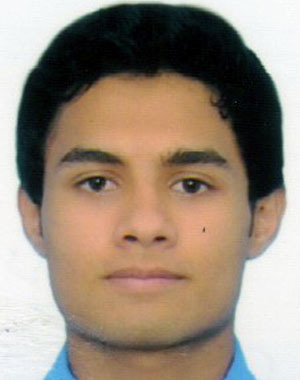 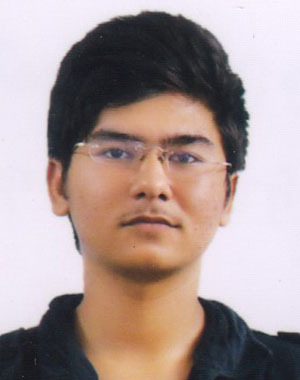 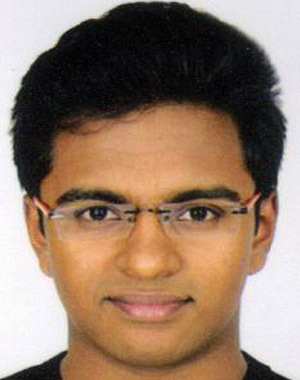 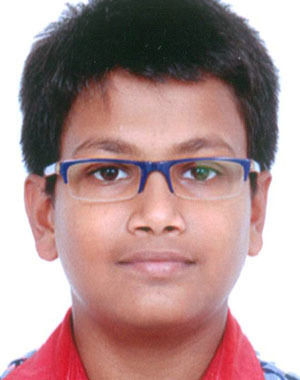 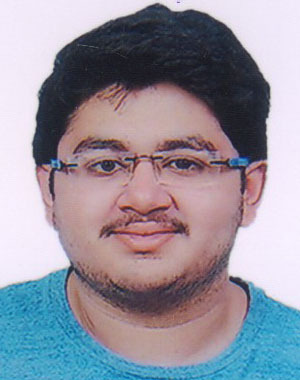 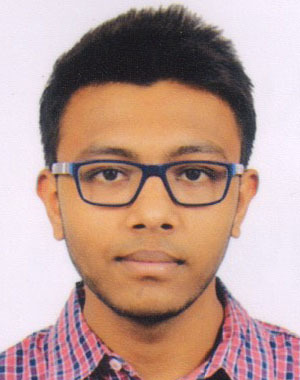 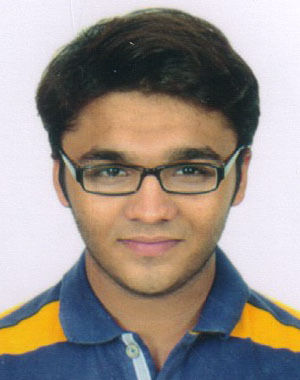 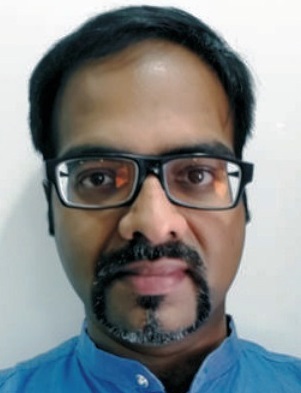 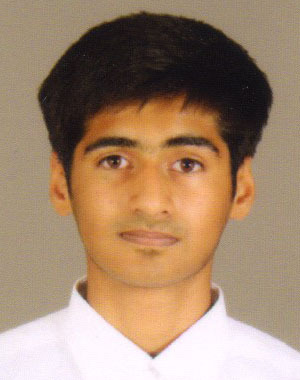 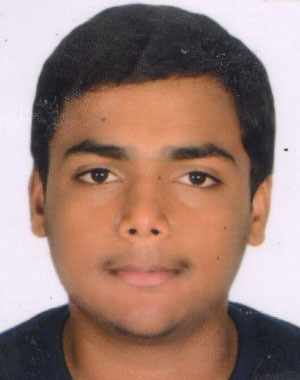 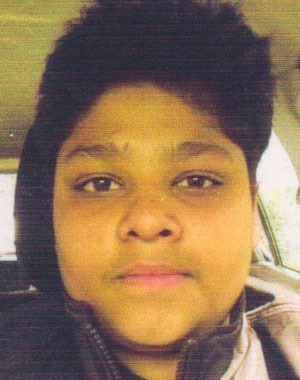 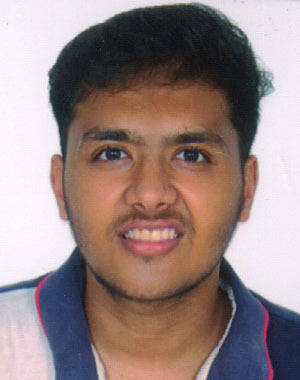 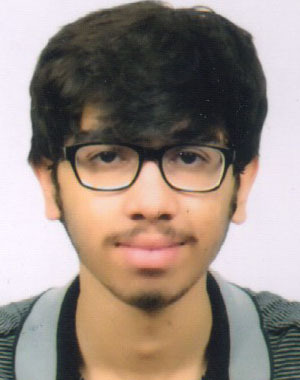 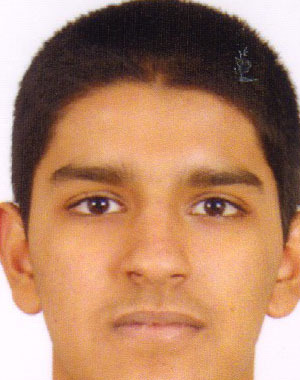 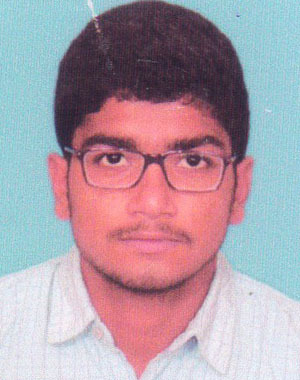 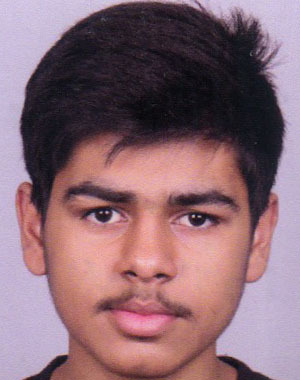 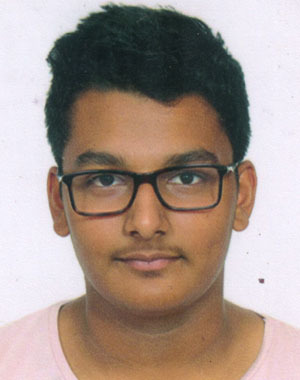 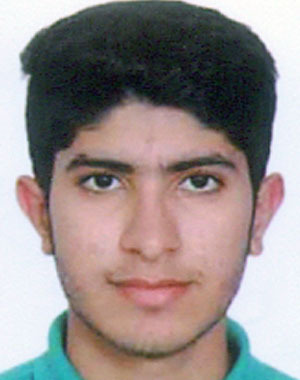 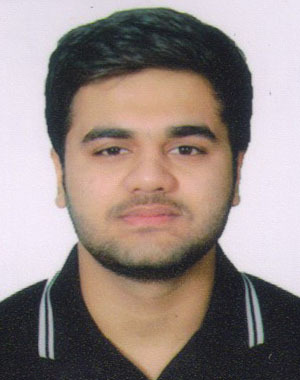 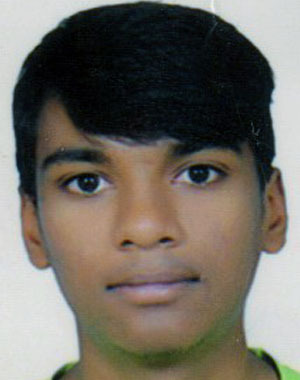 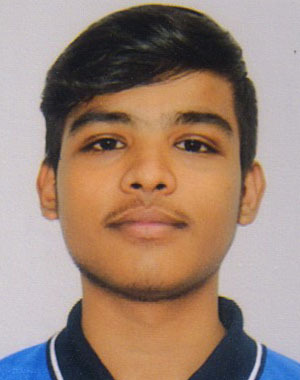 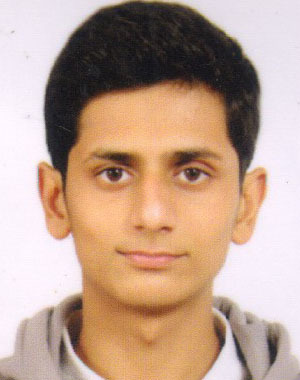 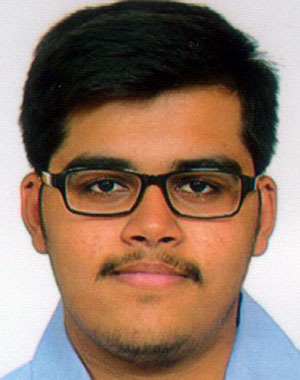 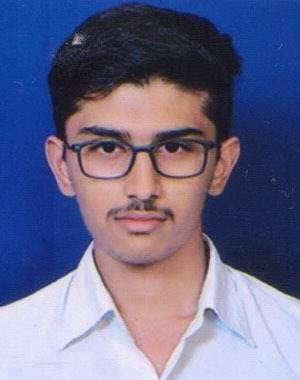 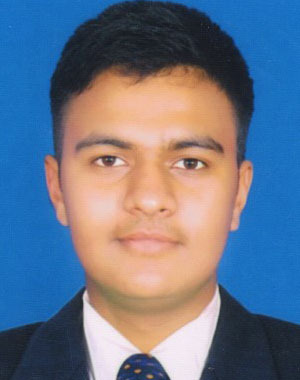 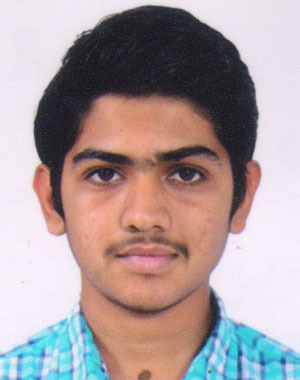 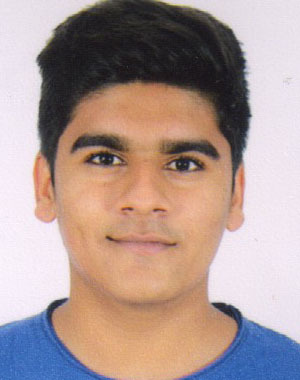 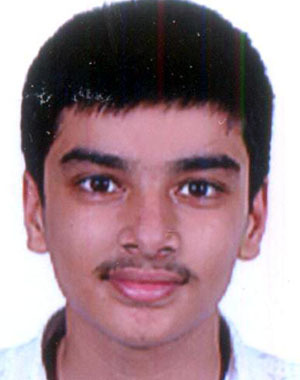 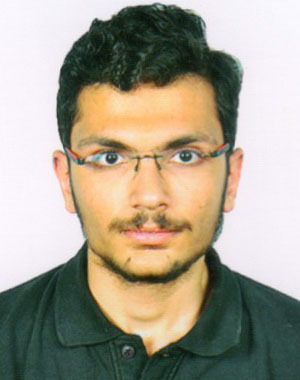 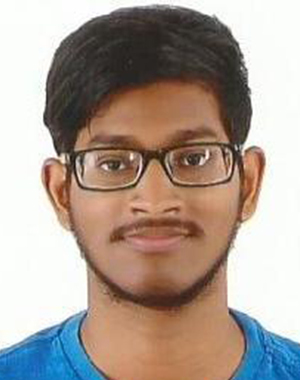 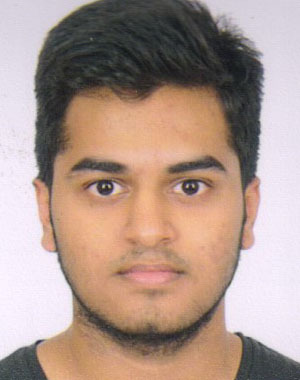 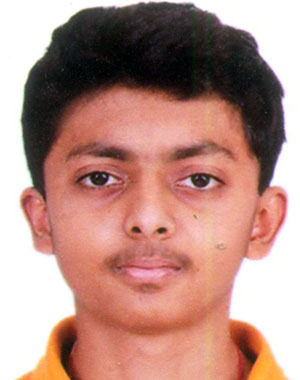 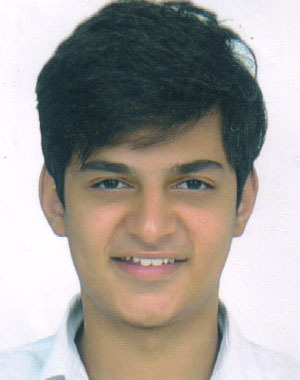 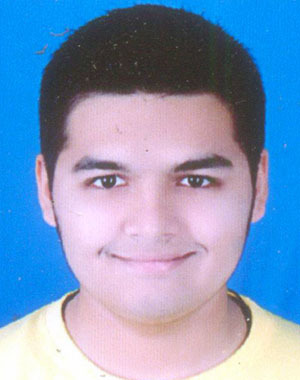 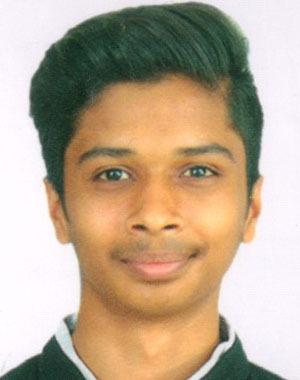 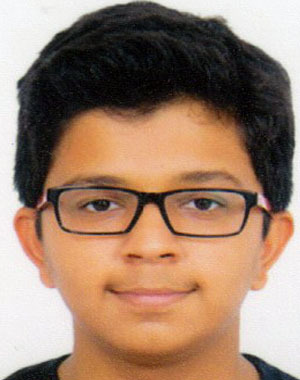 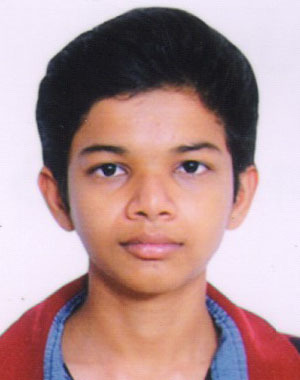 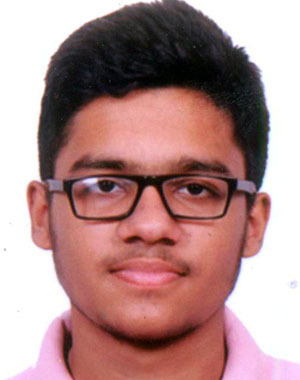 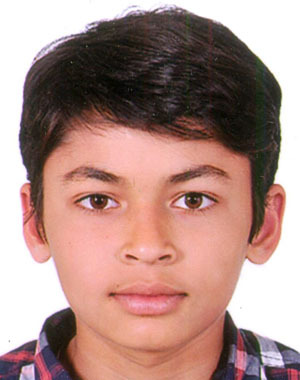 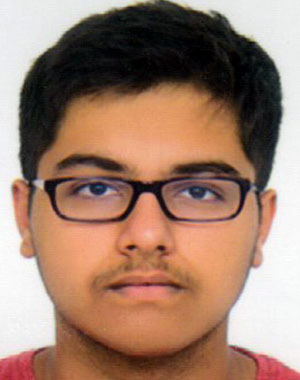 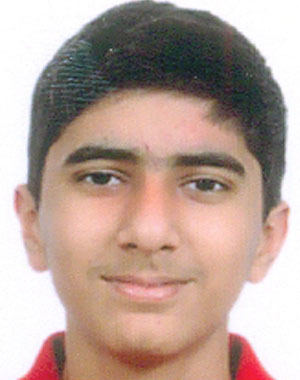 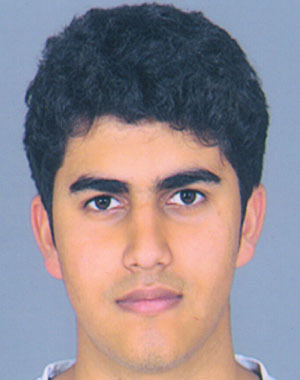 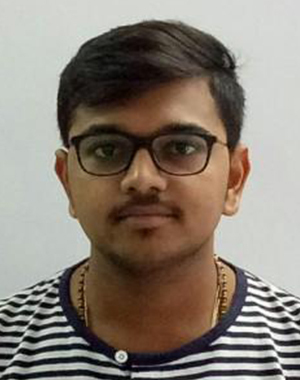 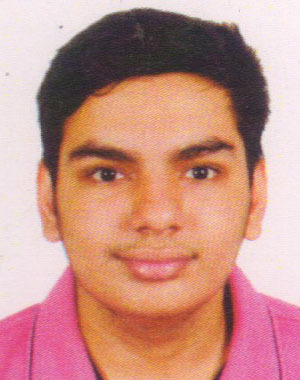 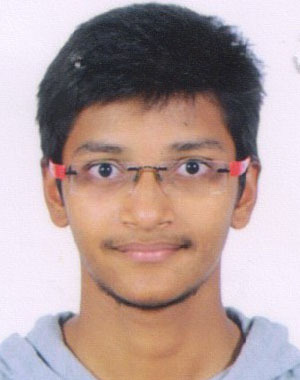 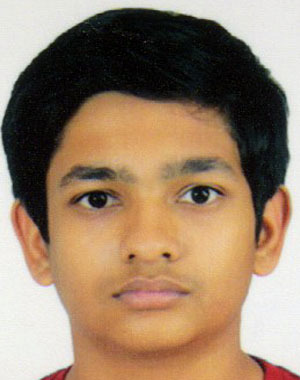 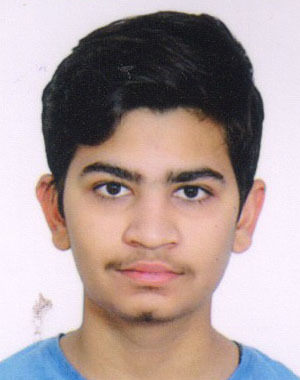 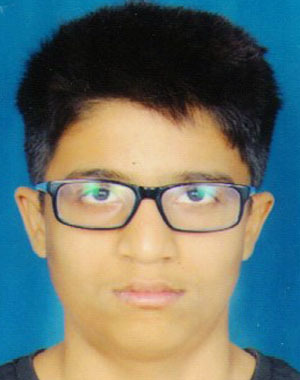 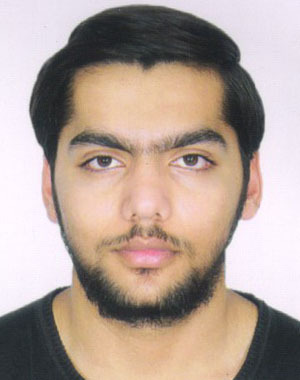 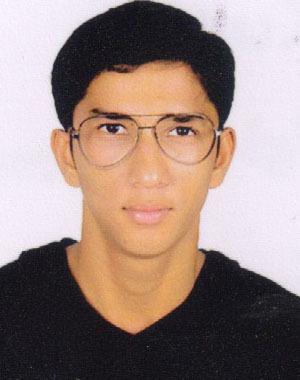 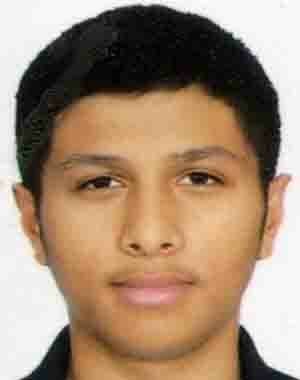 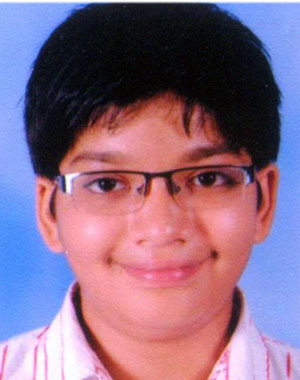 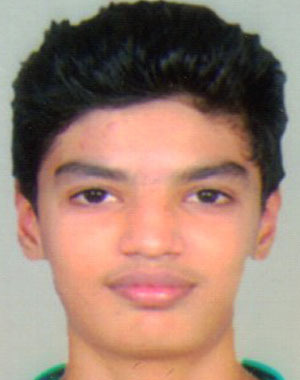 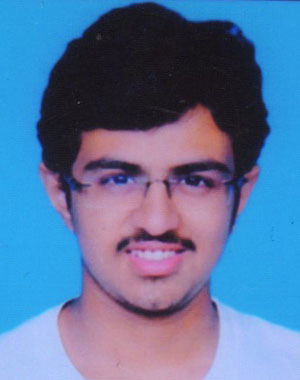 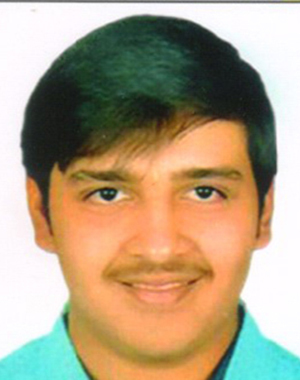 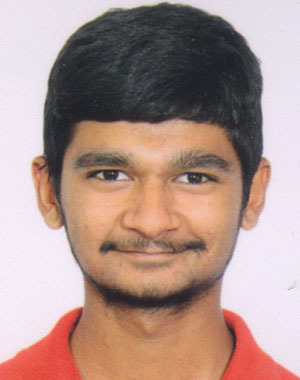 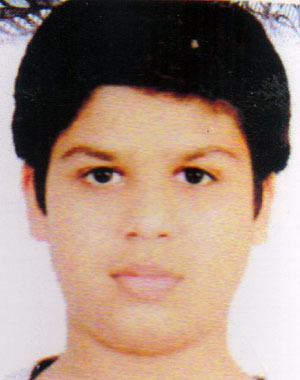 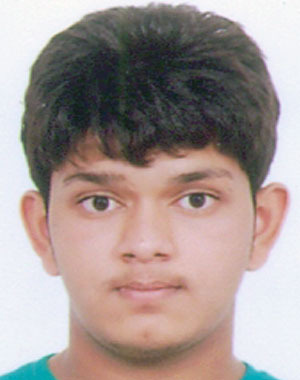 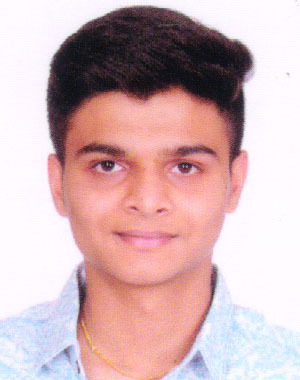 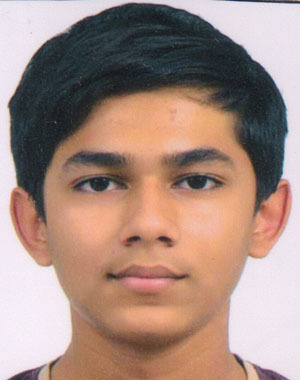 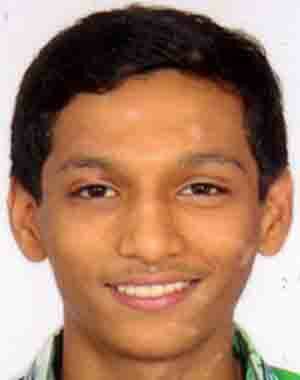 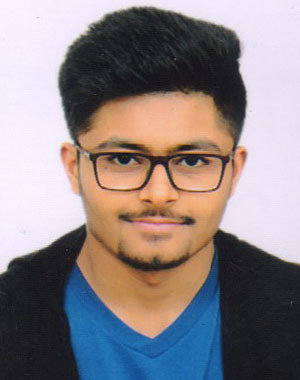 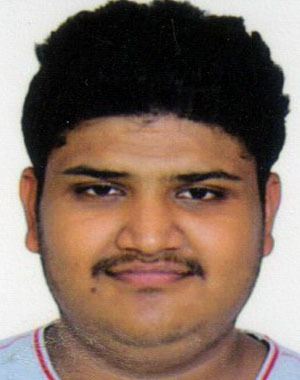 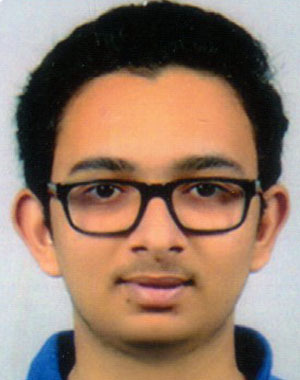 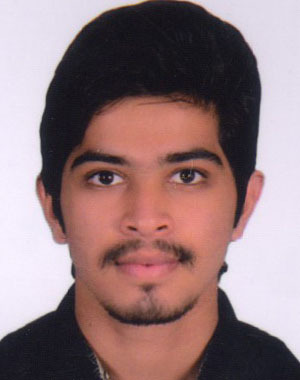 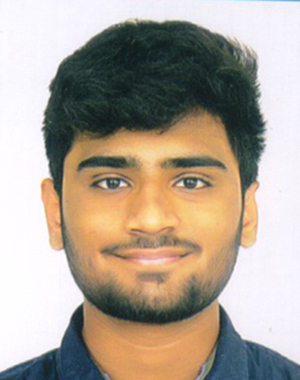 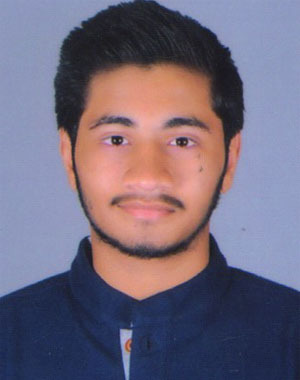 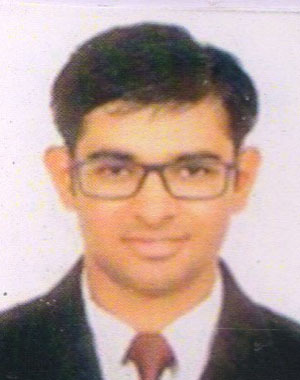 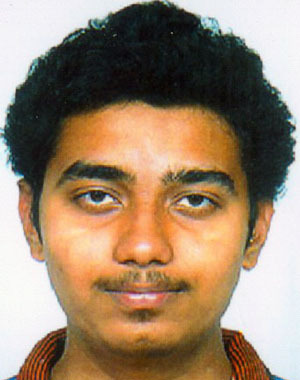 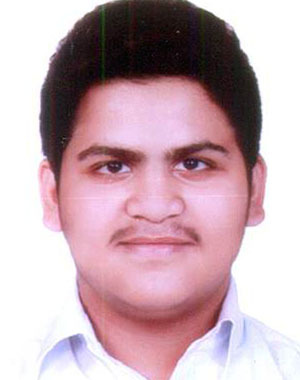 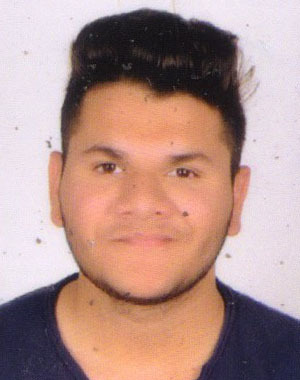 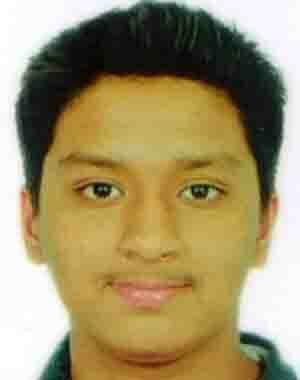 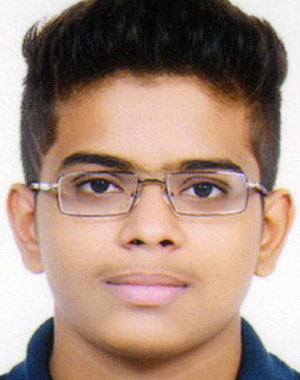 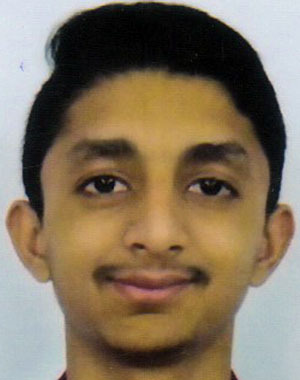 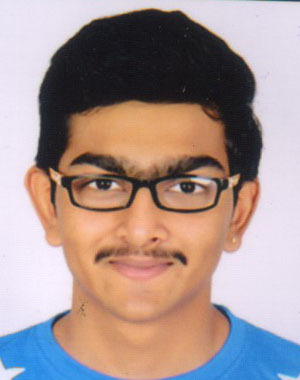 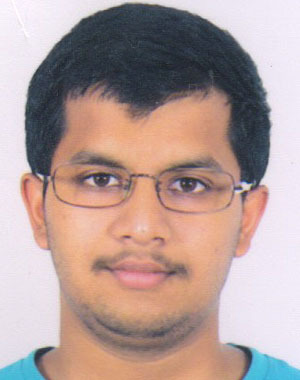 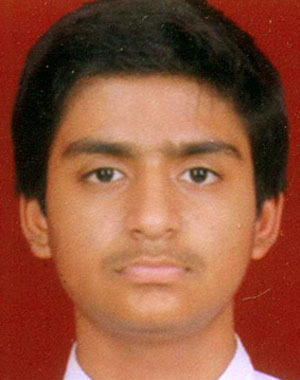 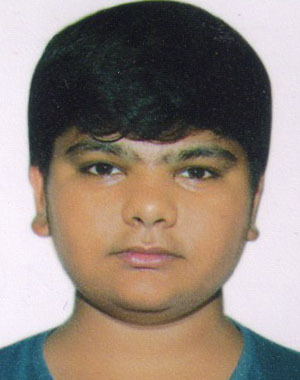 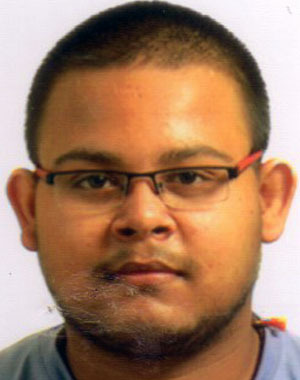 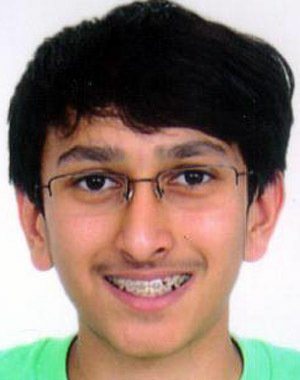 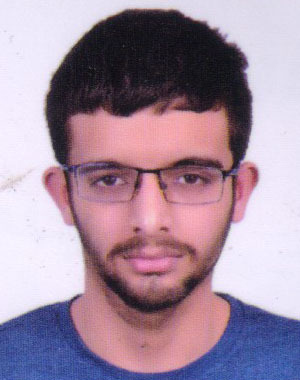 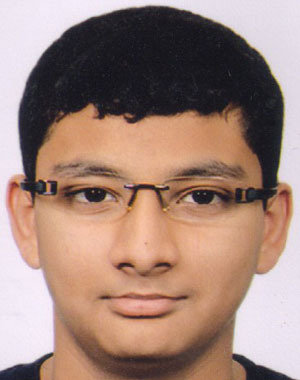 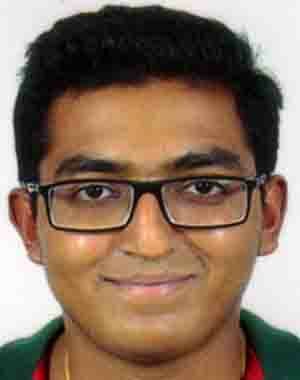 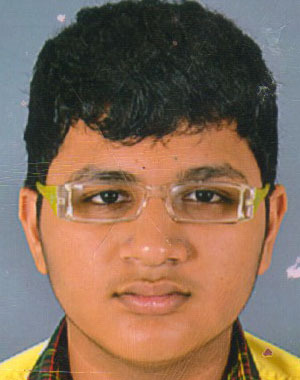 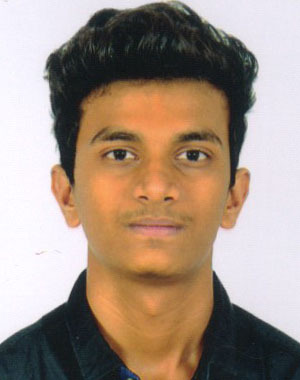 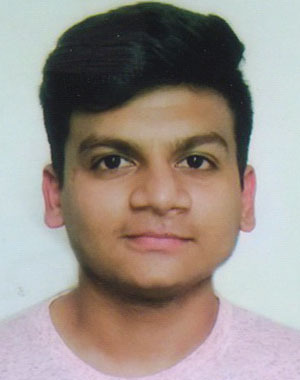 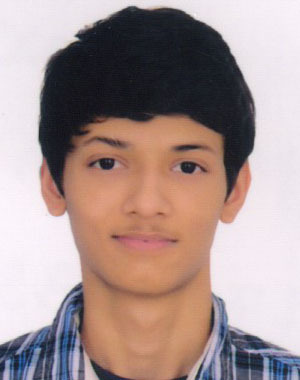 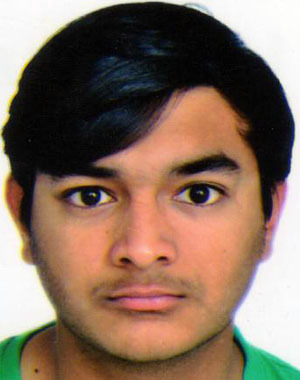 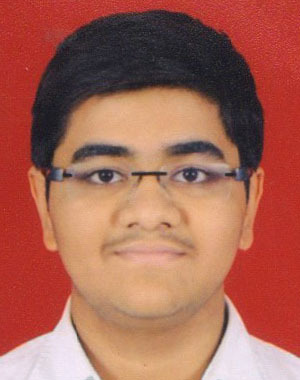 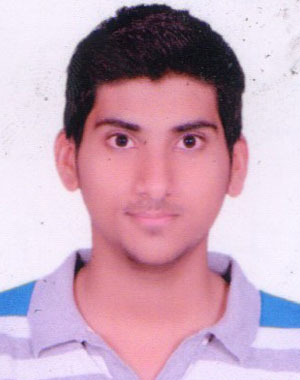 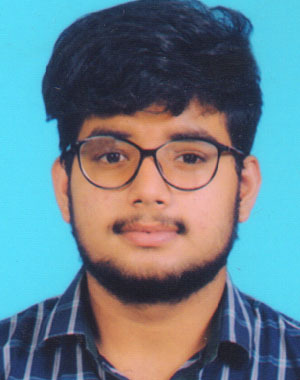 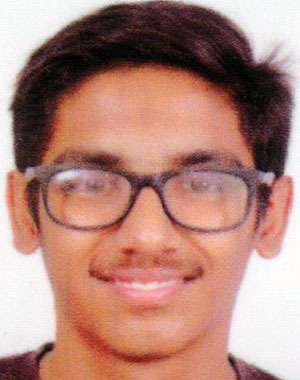 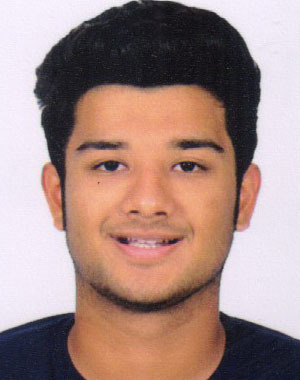 Abhishek Srivastava H. B. Kapadia L.J. 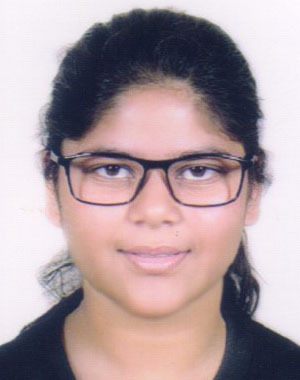 Chitrang Kadia Nirman School L.J. 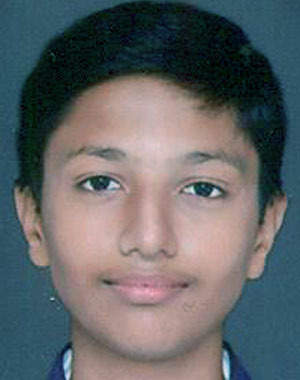 Dhrumil Ambavi Nirman School L.J. 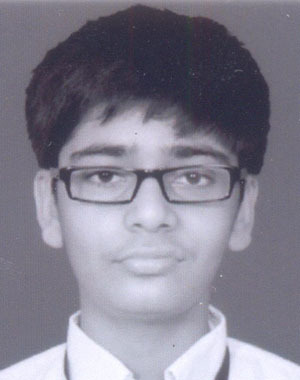 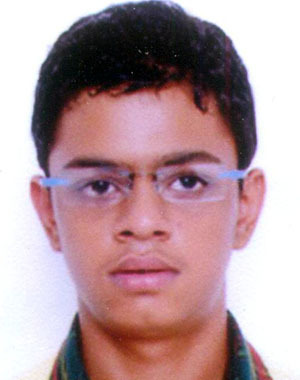 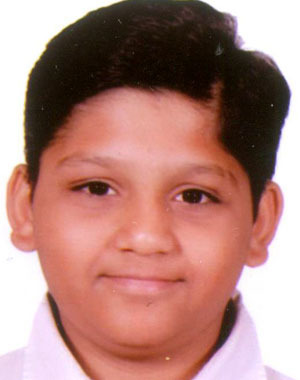 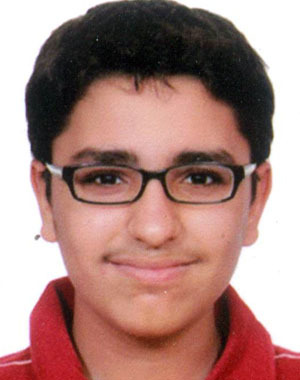 Dhruv Patel Nirma School L.J. 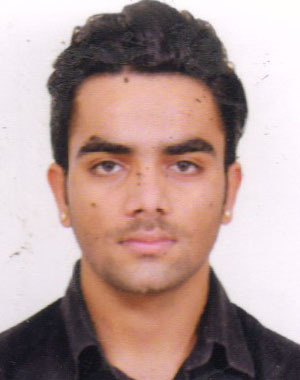 Vinod Choudhary Rajmata KK School D.U.